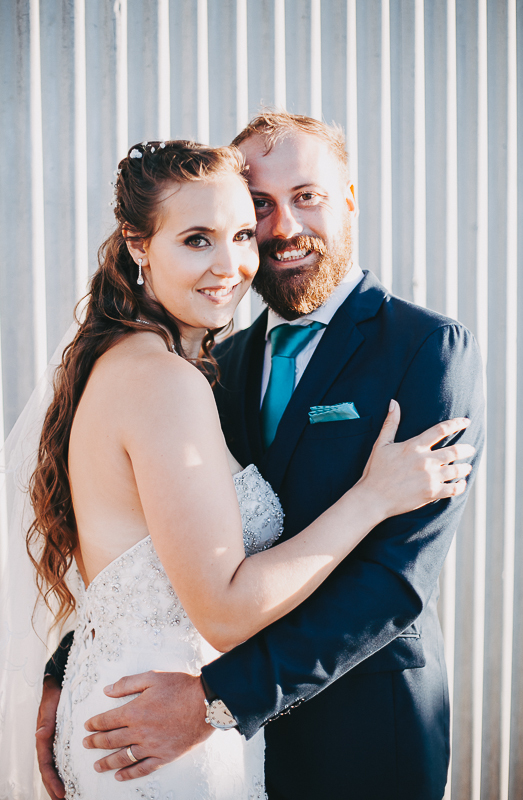 We met in December of 2012 while I was on holiday in Gouritsmond. 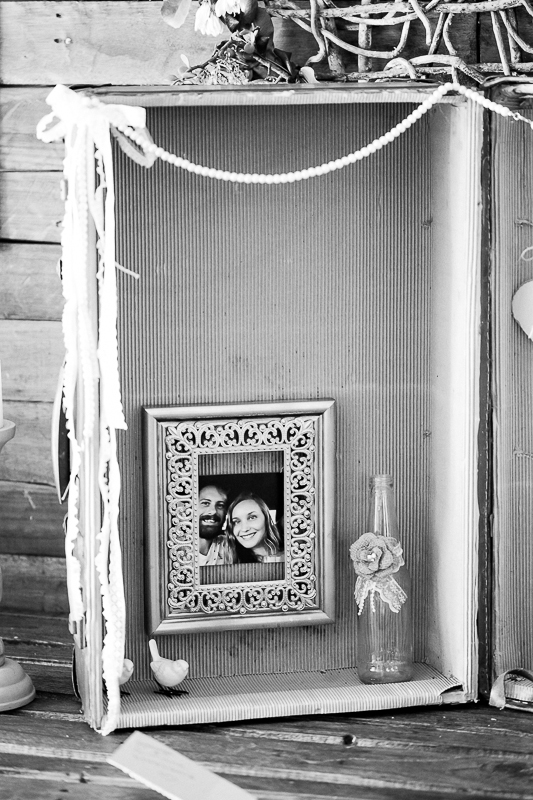 His parents lived there and so did my grandmother. 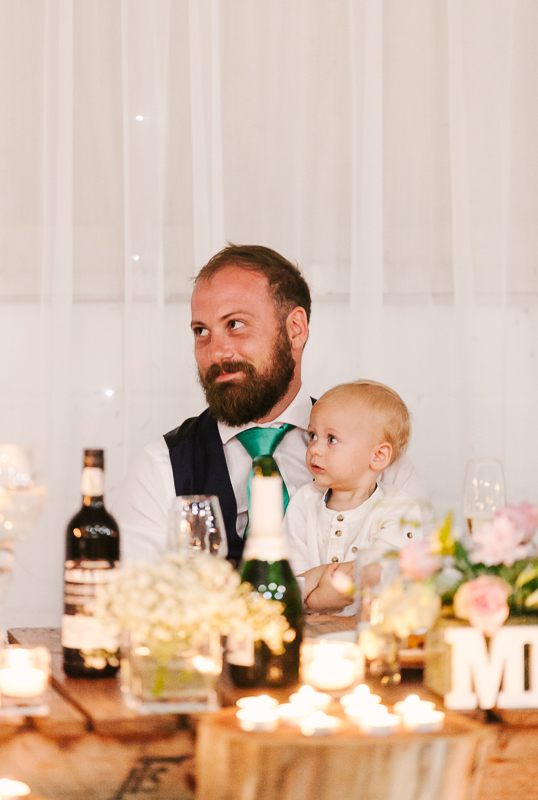 He came to talk to me while I was sitting by myself on the beach while everybody else was chatting. 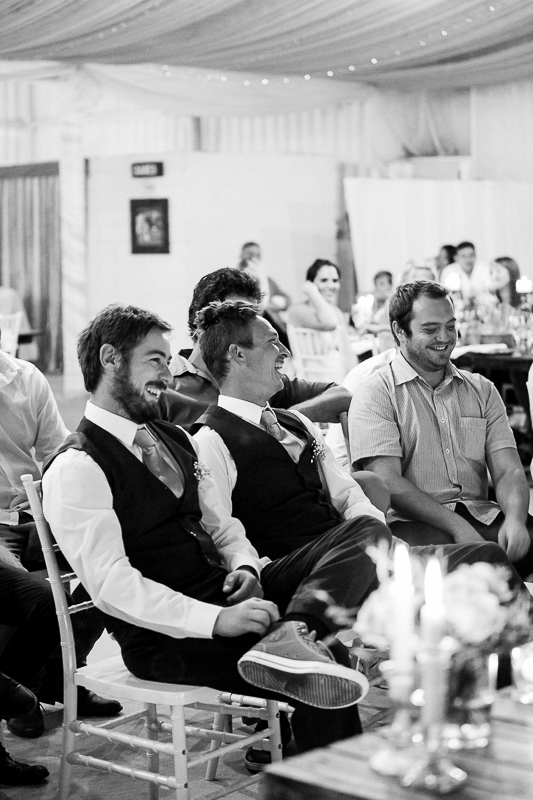 We had so many mutual friends and even knew each others brothers but had never met before. 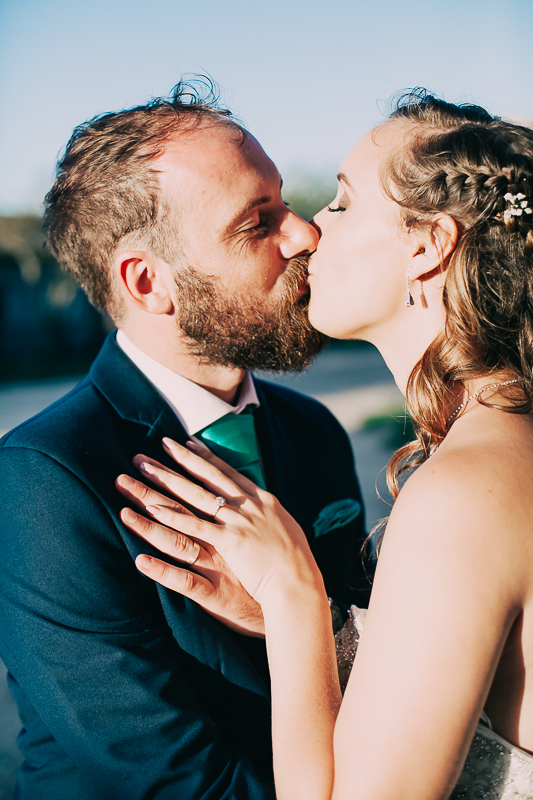 He was 20 and I was 23, and I took a little bit of convincing that he wasn’t too young for me! 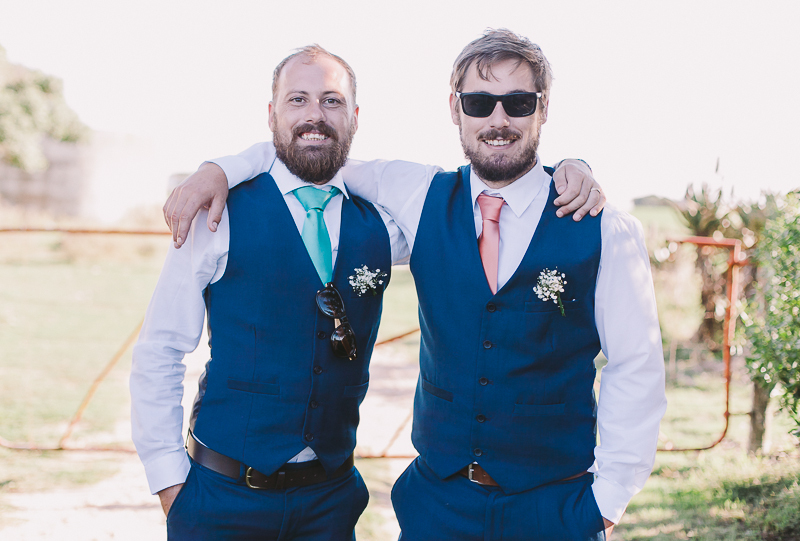 I visited him the week after the holidays, back in Cape Town, and we’ve been together ever since. 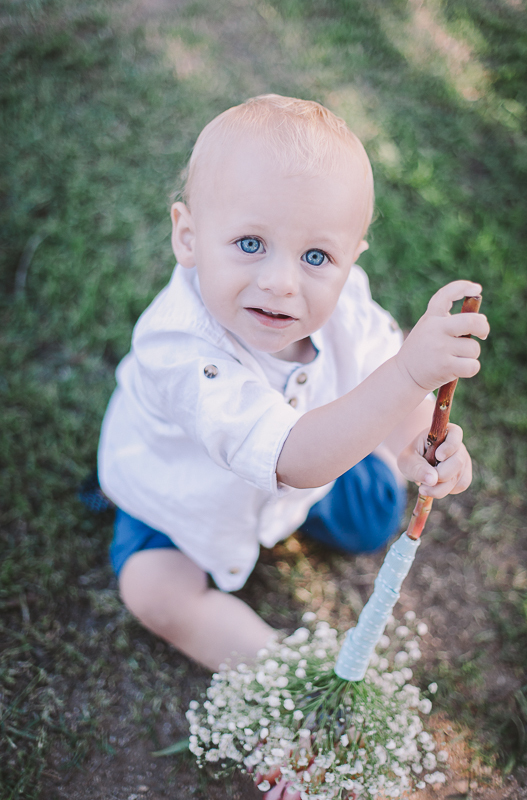 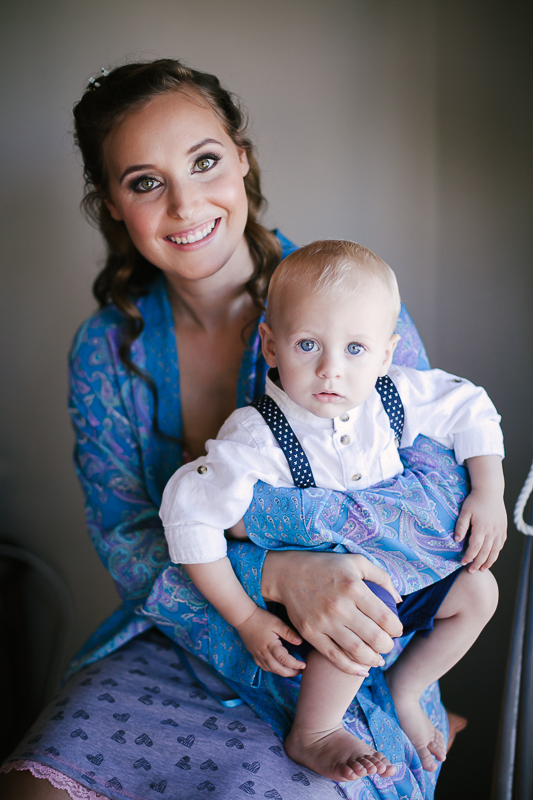 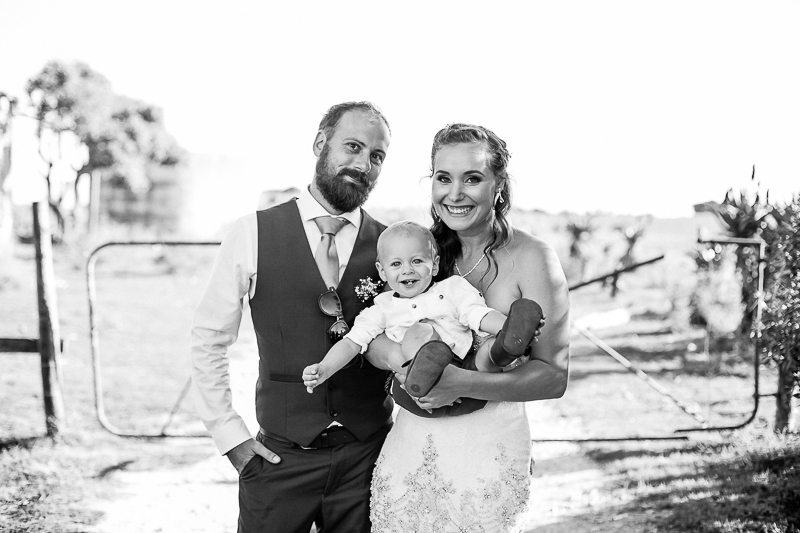 Our son, Noah,was born on 13 February 2017 and he is the absolute love of our lives! 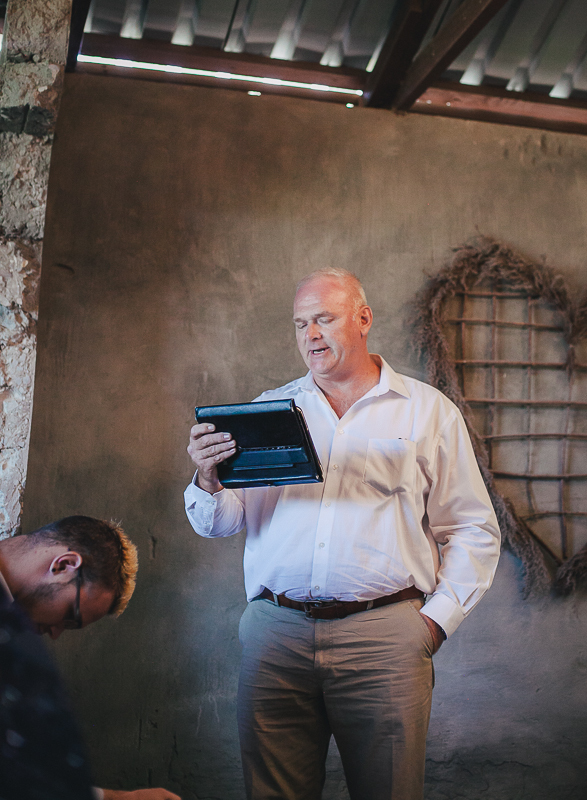 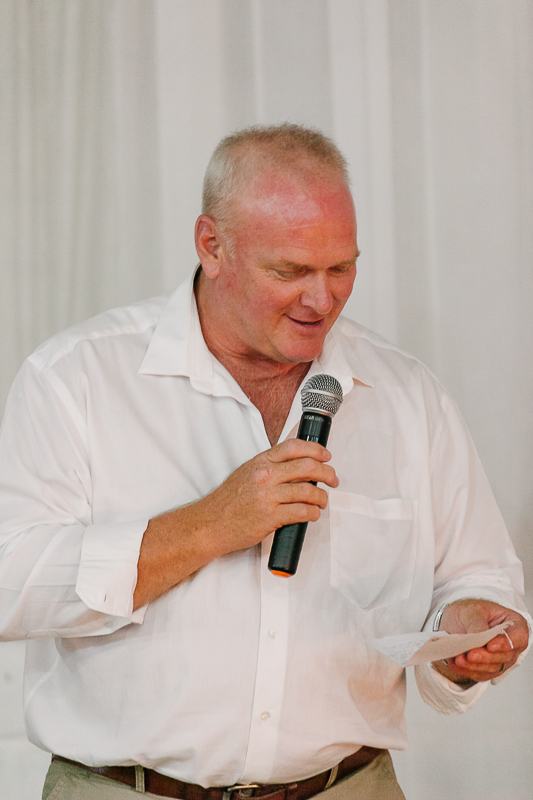 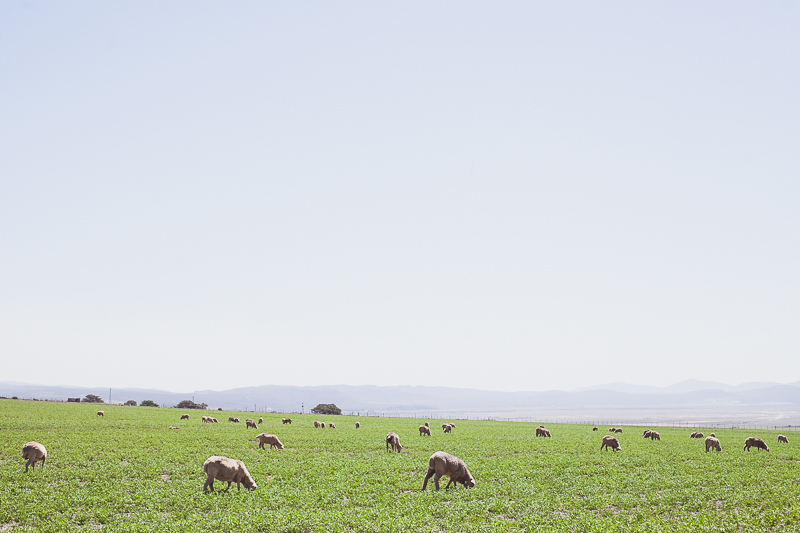 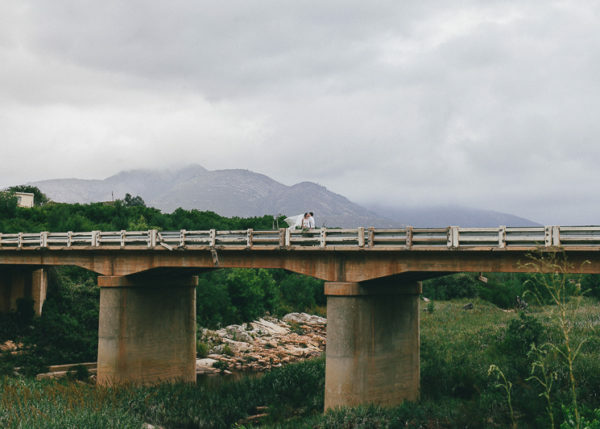 He took me away for a surprise weekend in Tulbagh. 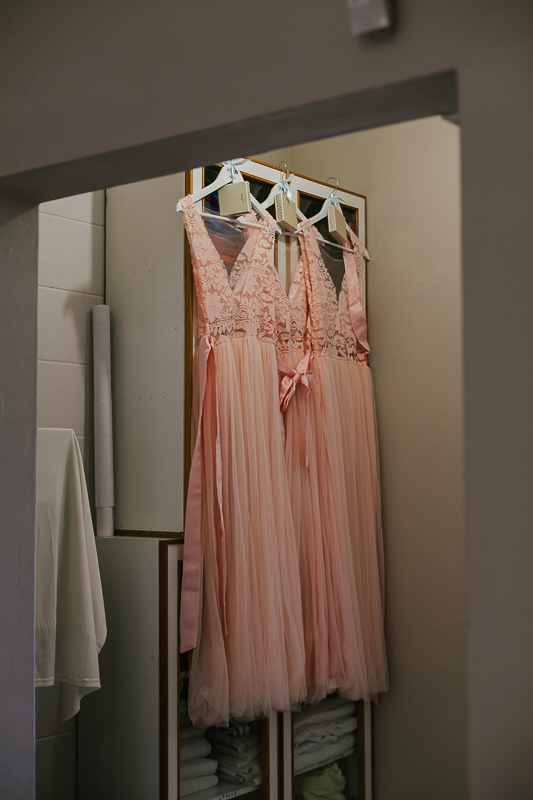 We stayed in a gorgeous honeymoon suite. 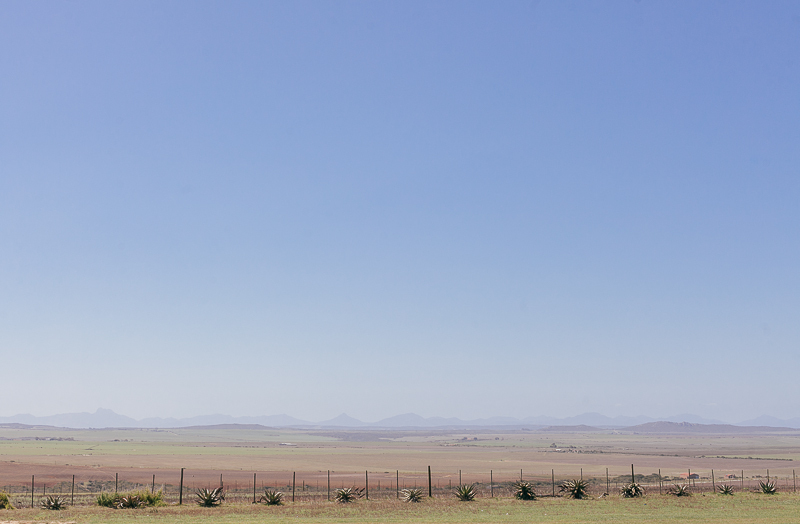 On the Saturday, we had lunch at Waverley Hills and afterwards we went on a short hike. 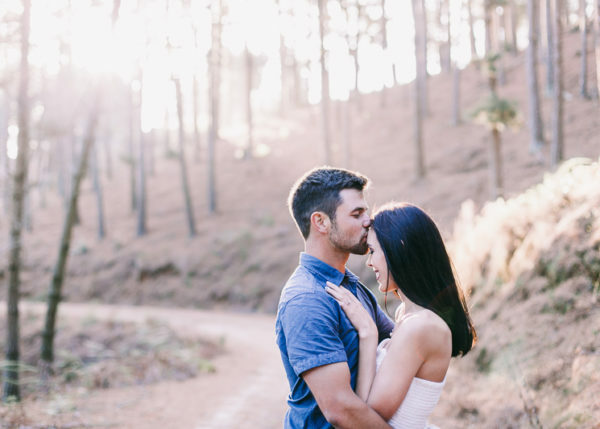 Halfway through, we sat down on a bench and he proposed. 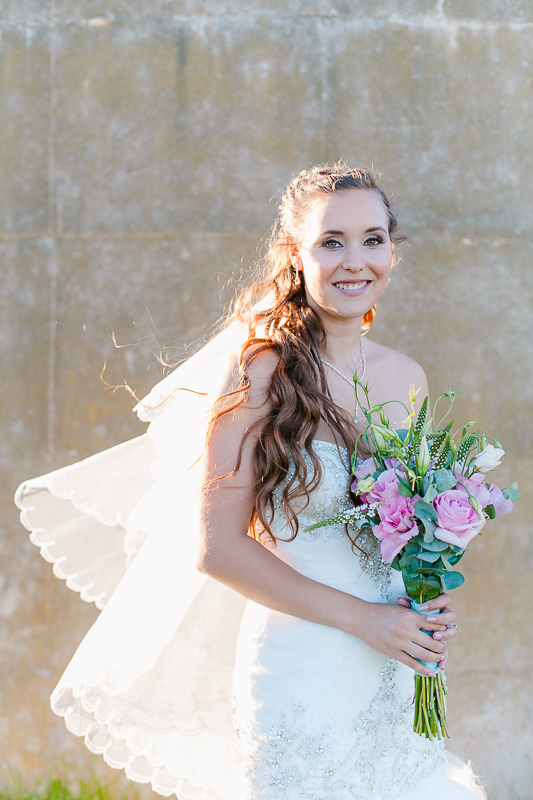 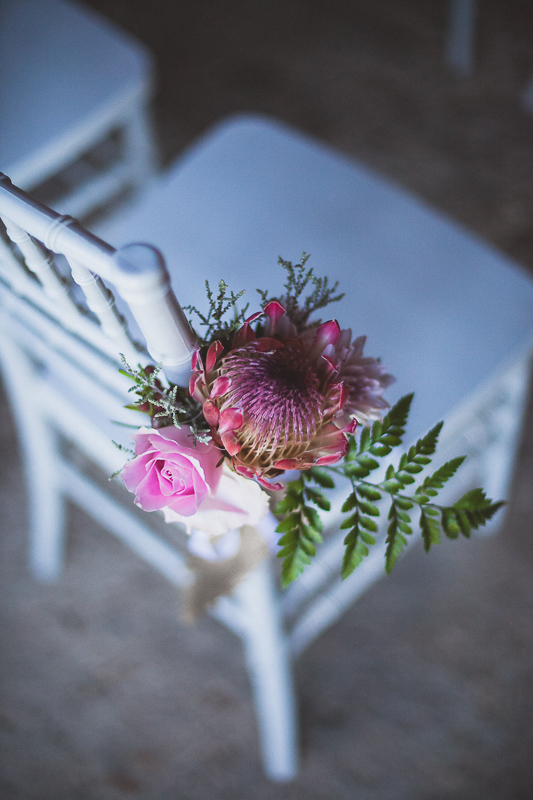 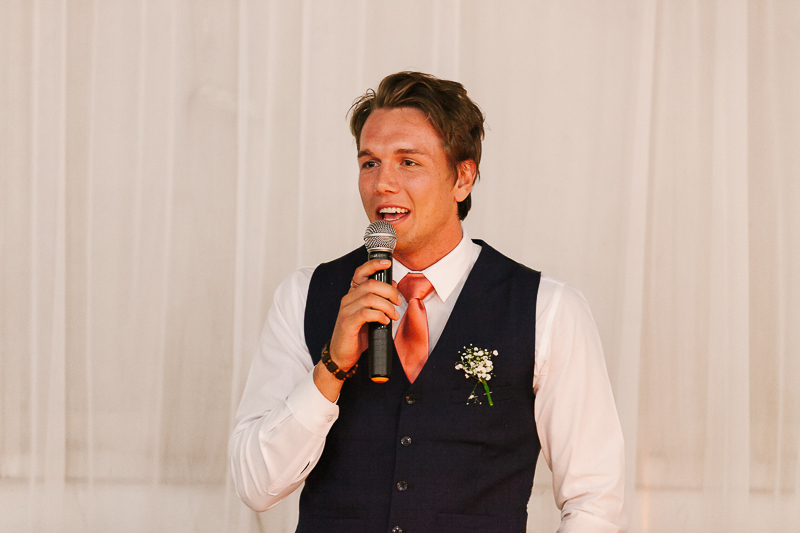 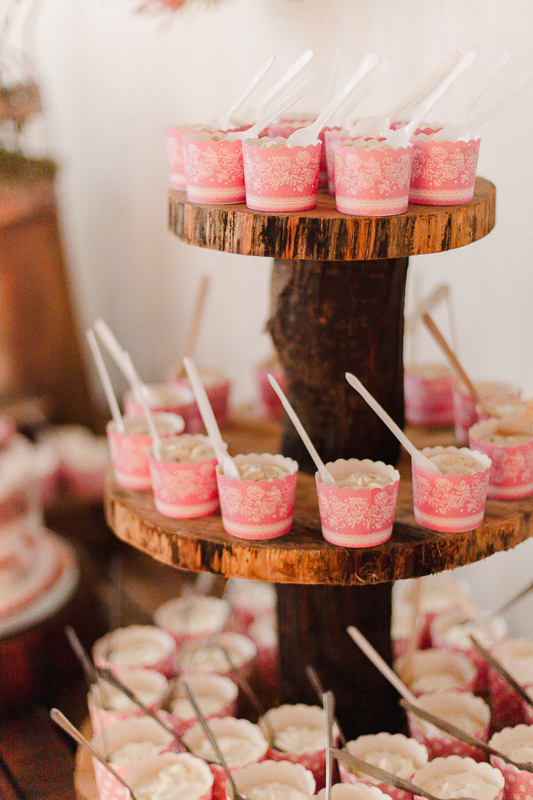 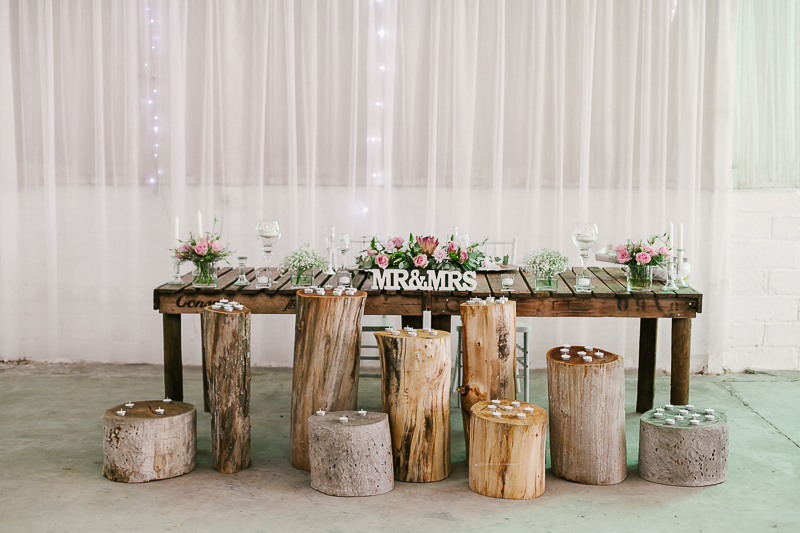 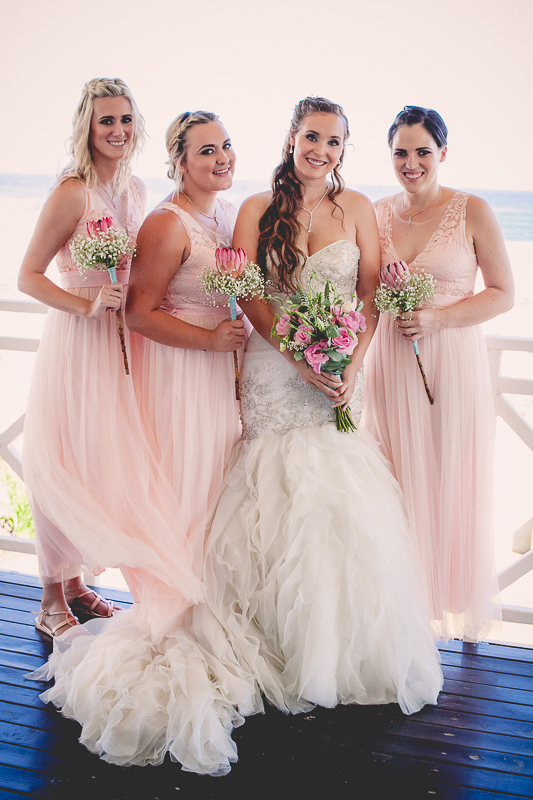 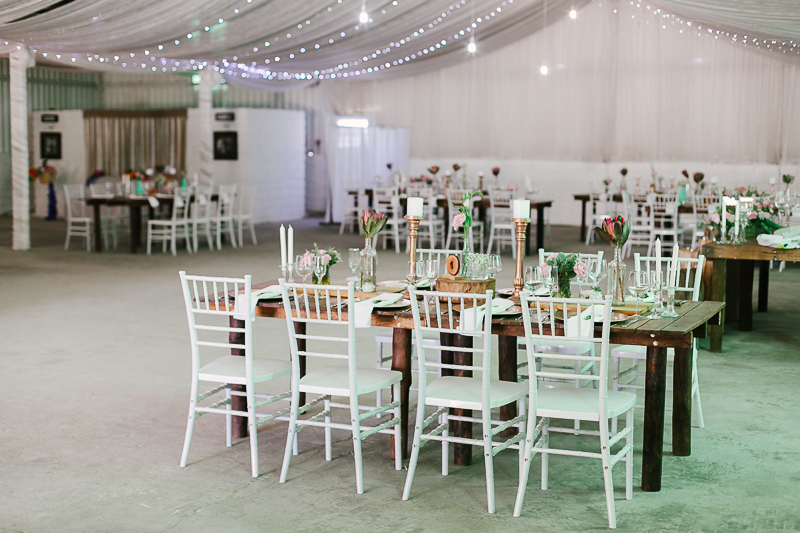 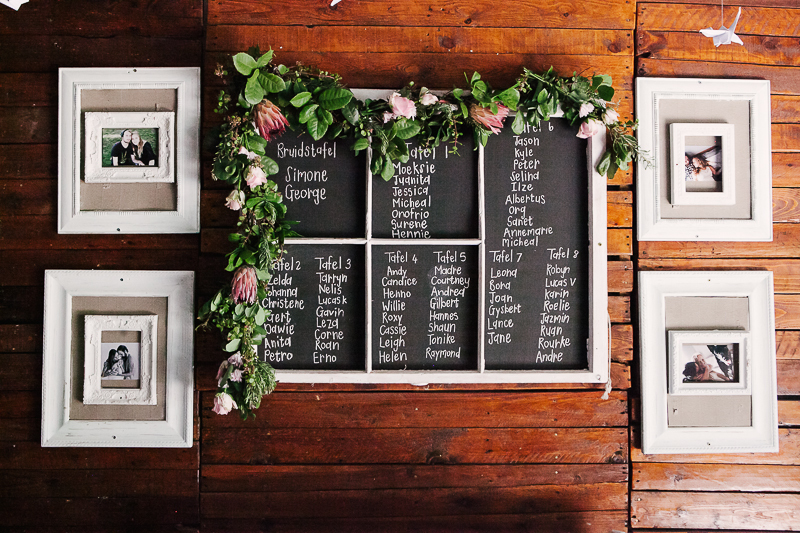 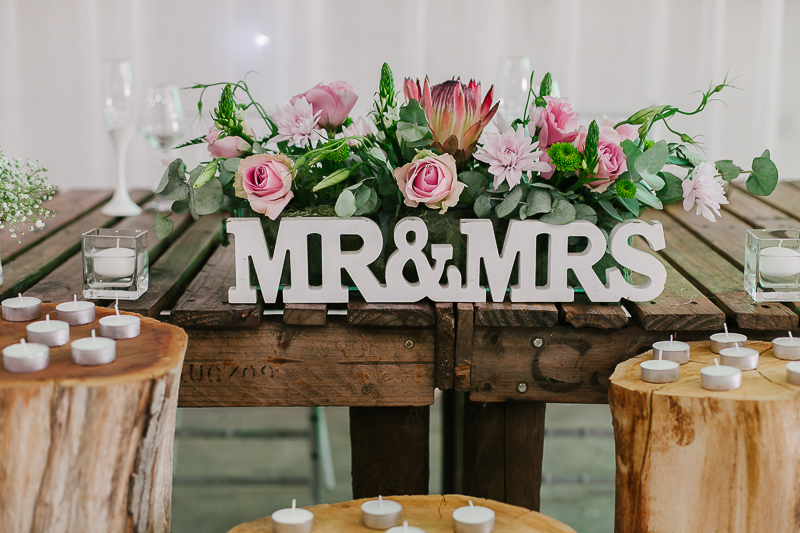 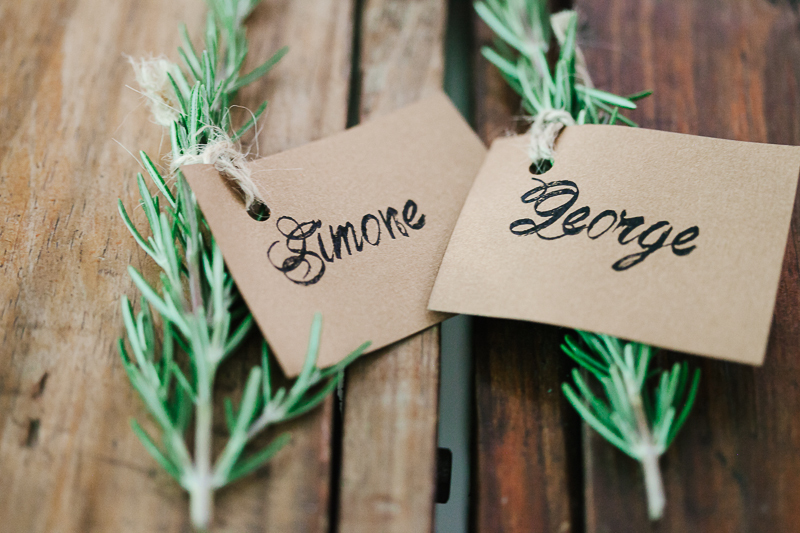 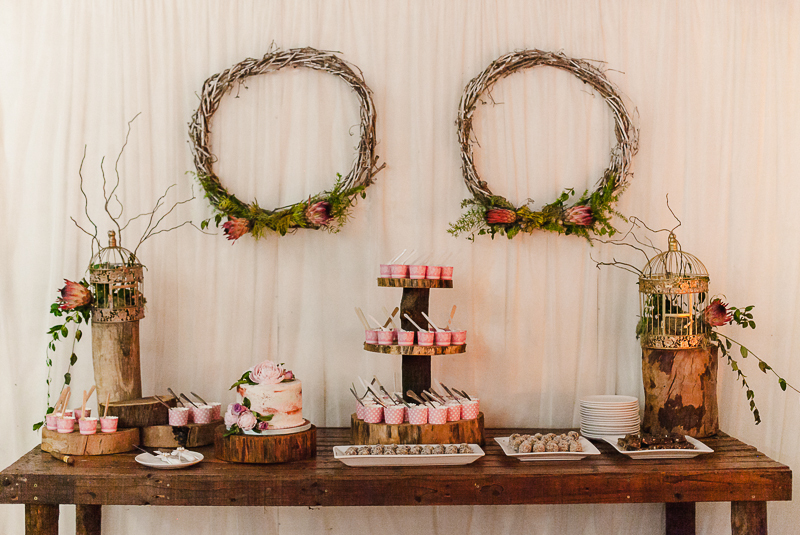 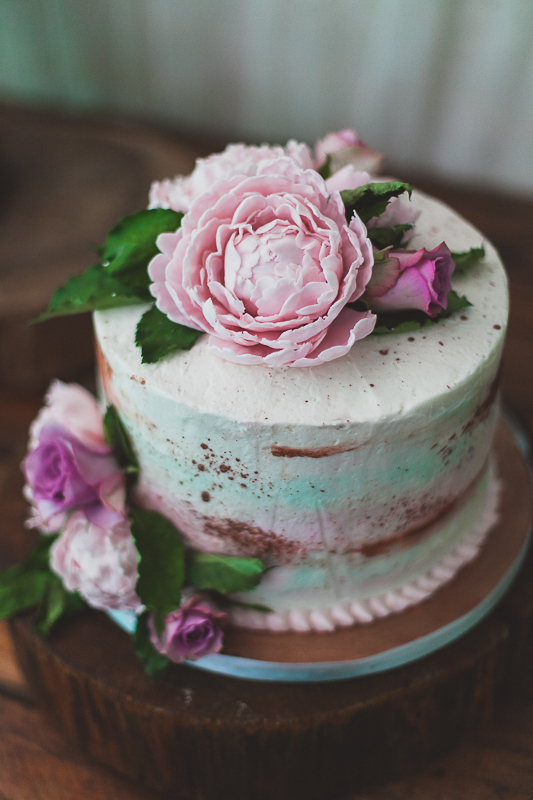 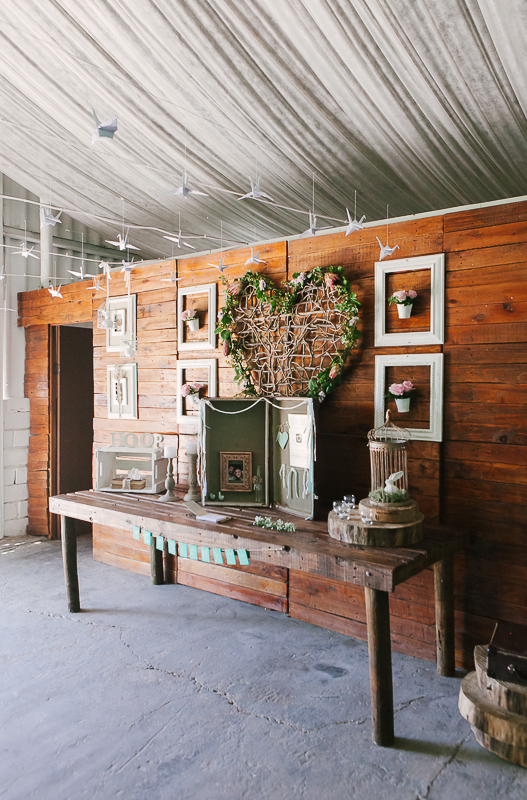 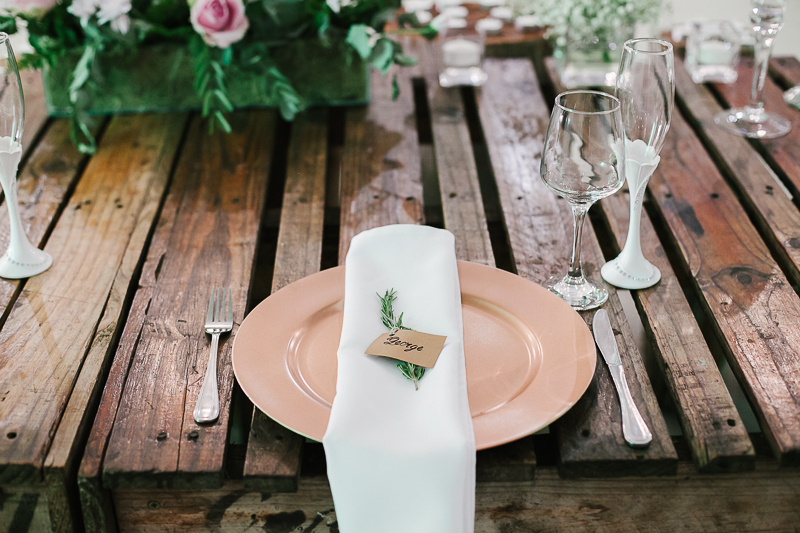 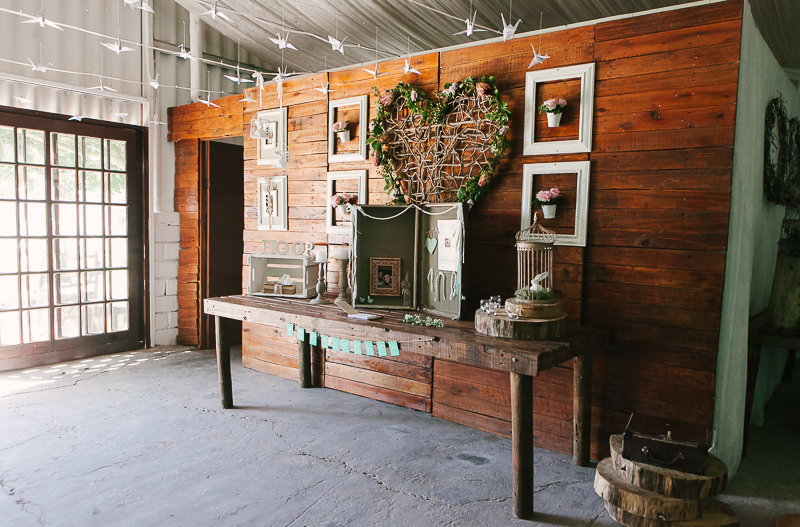 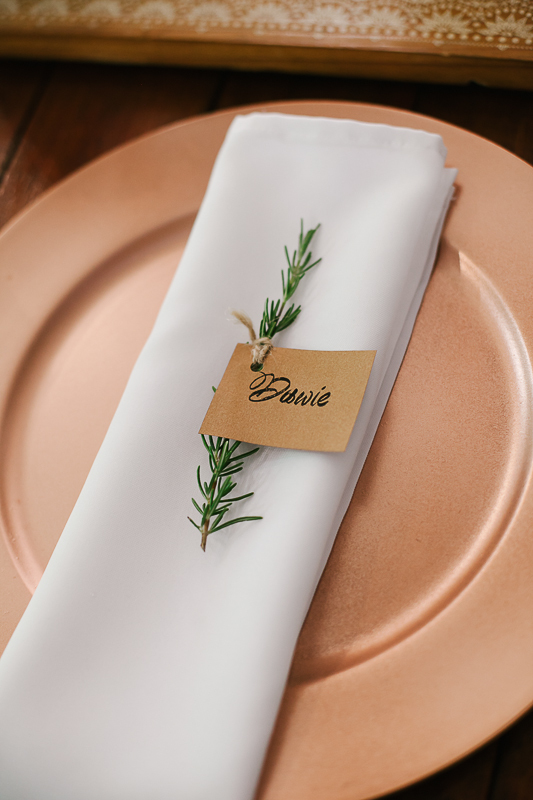 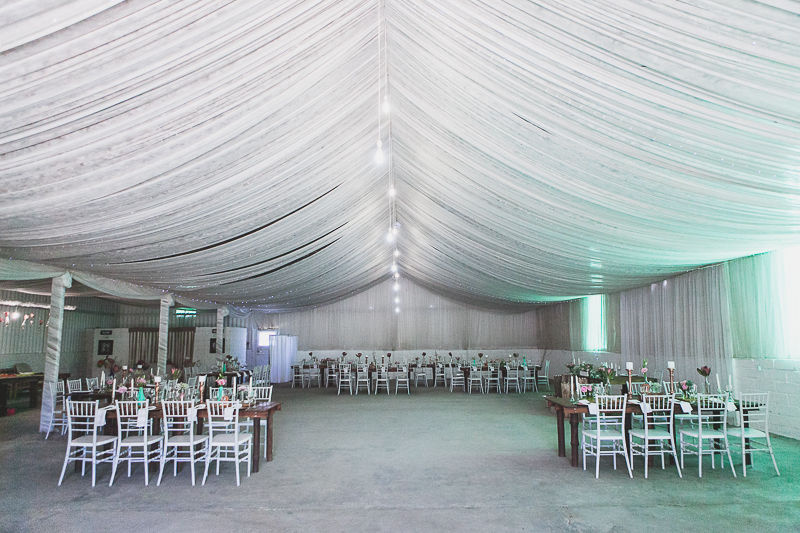 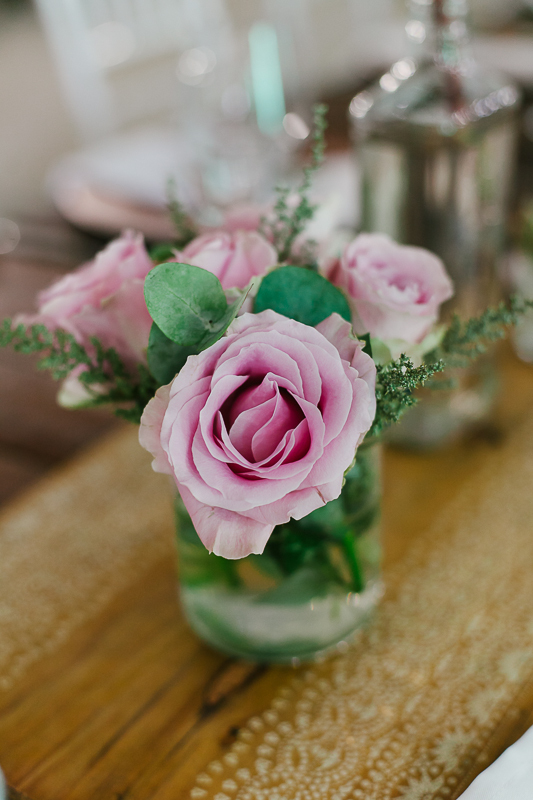 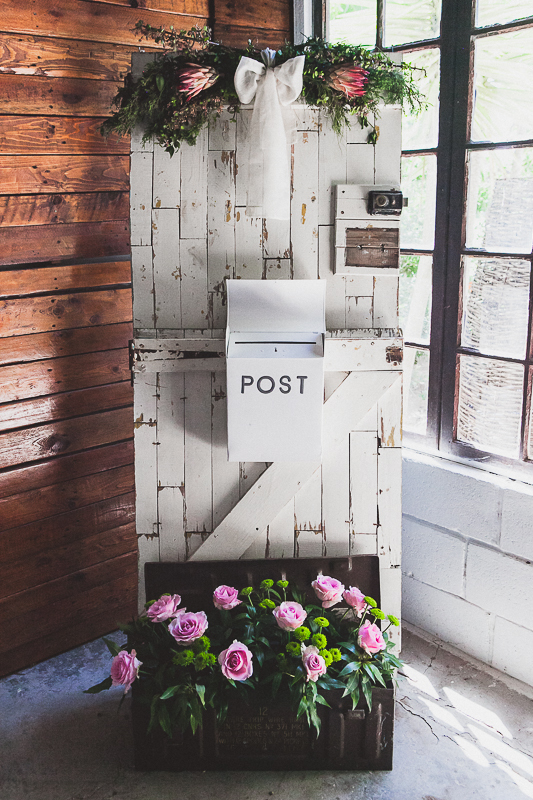 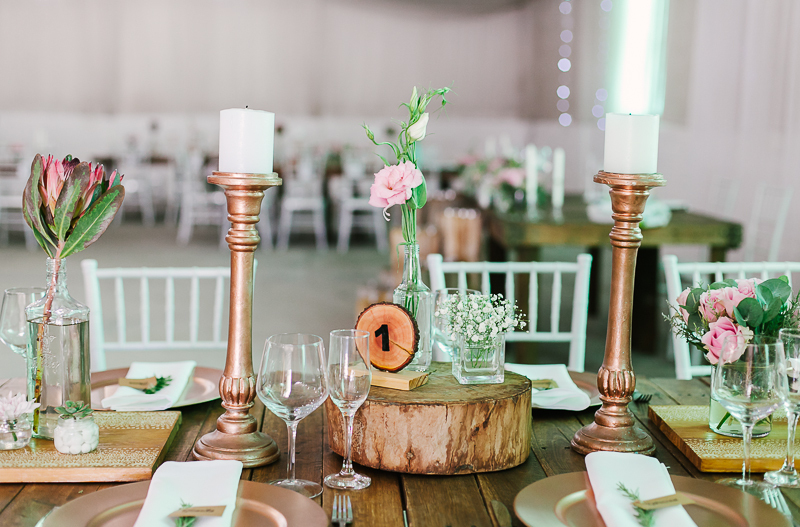 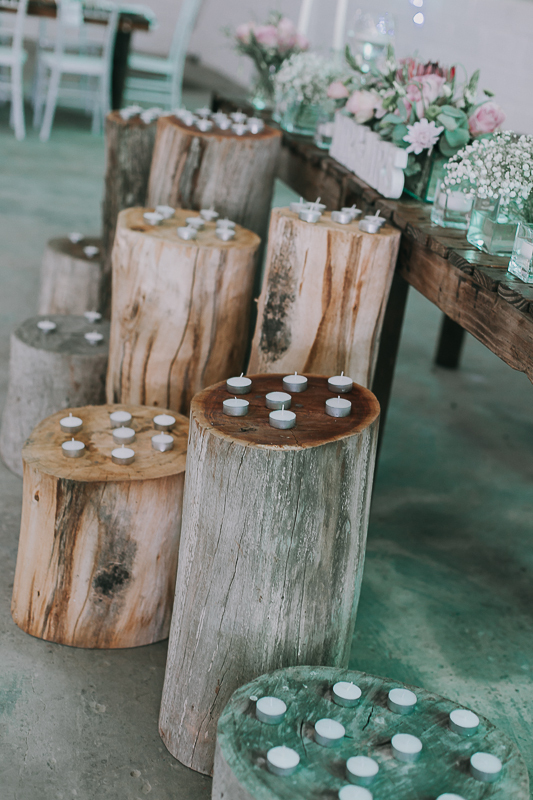 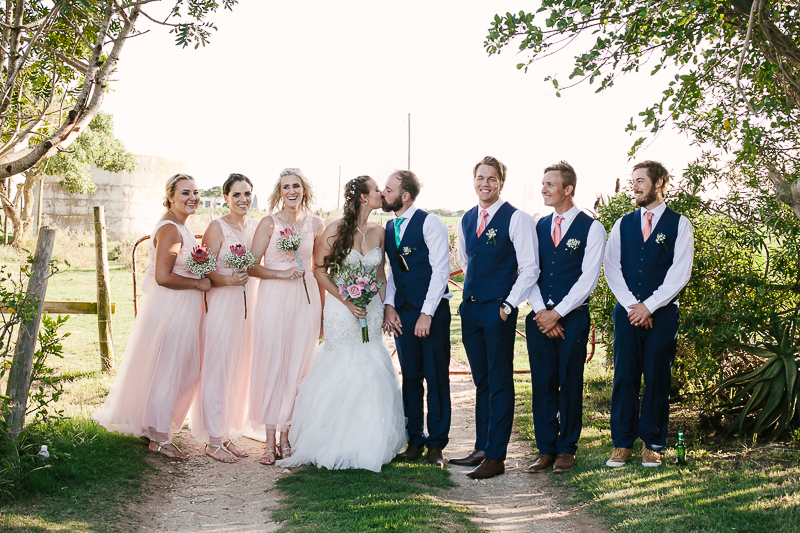 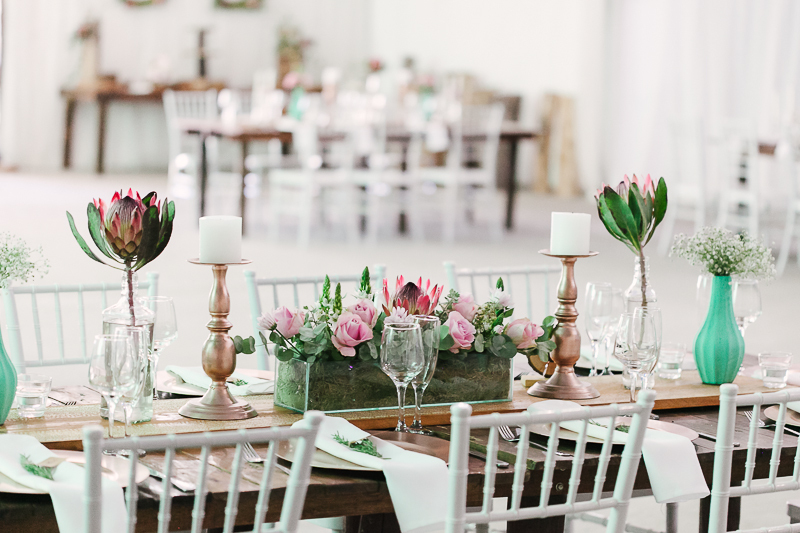 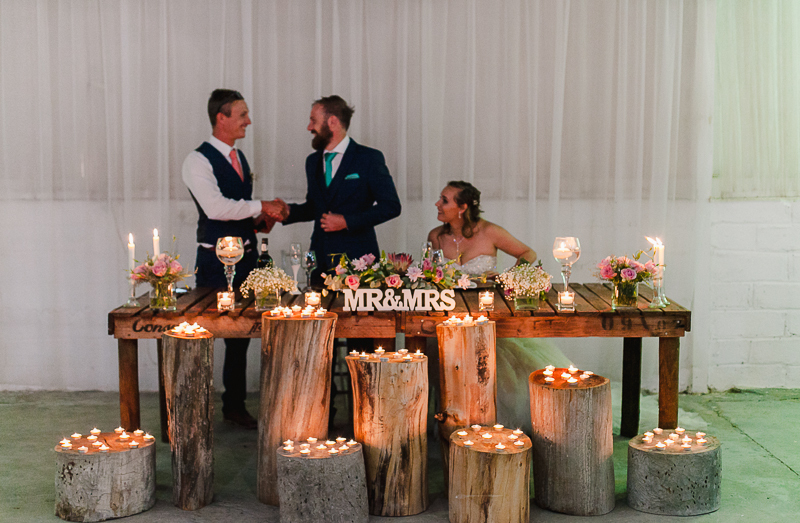 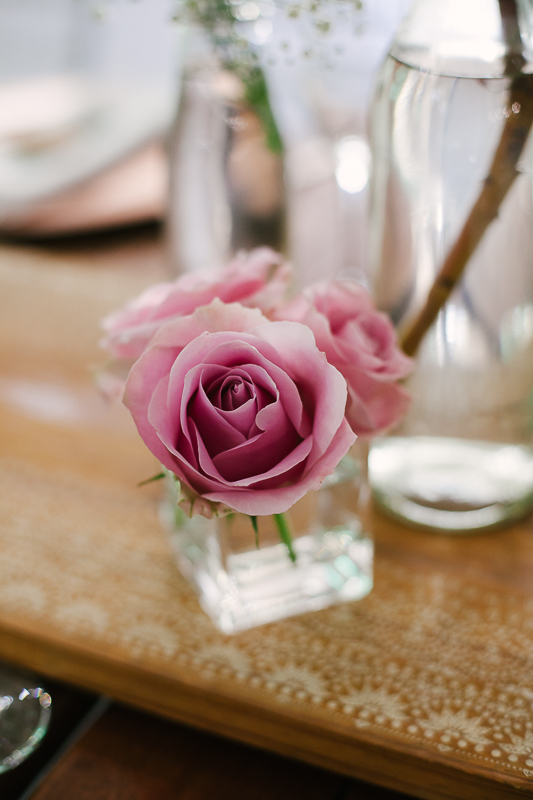 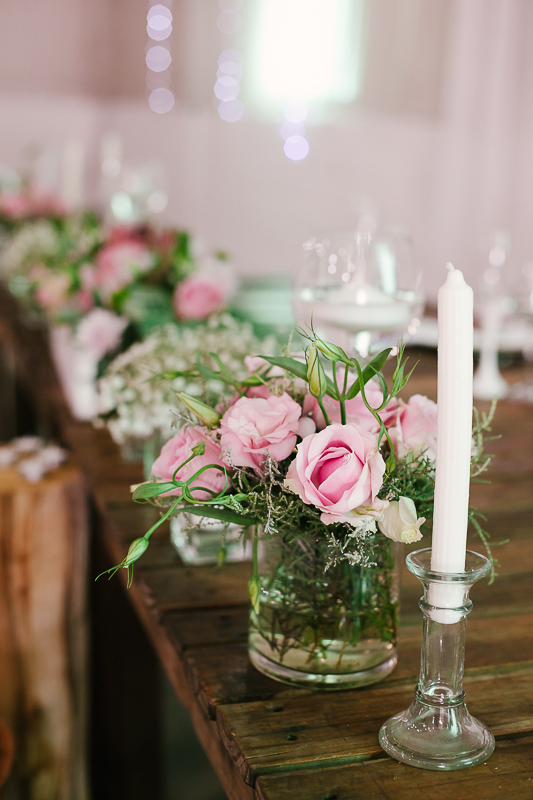 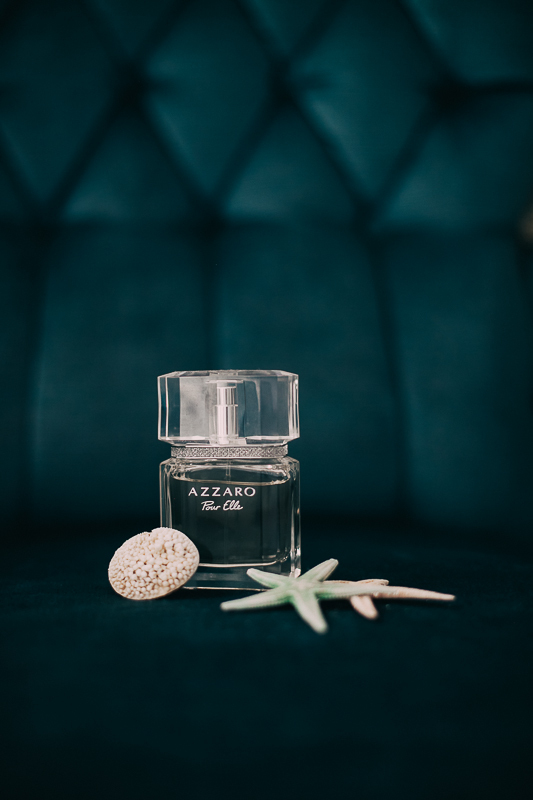 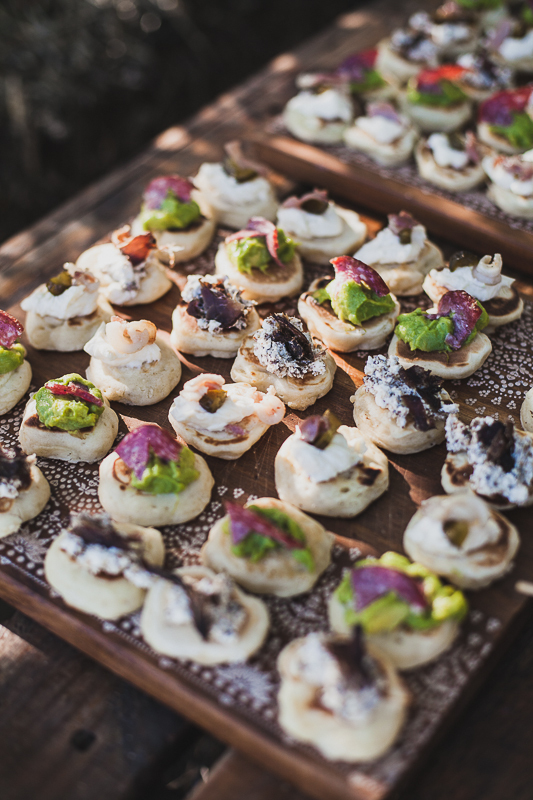 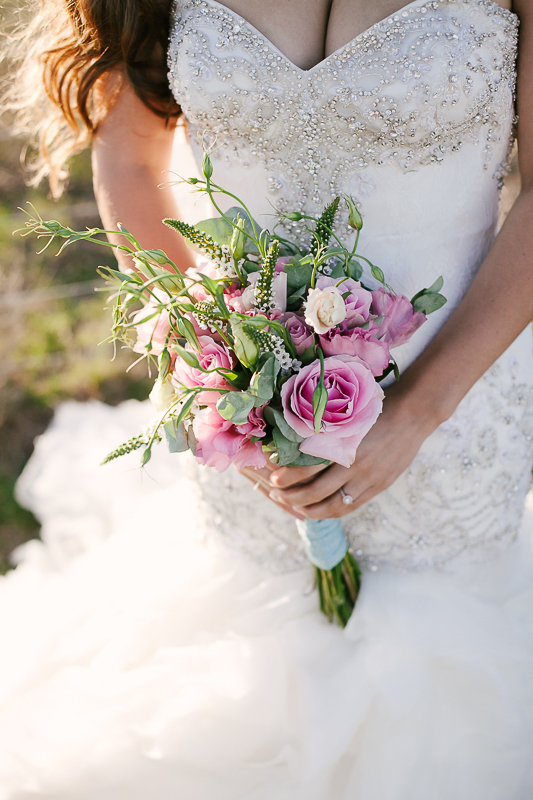 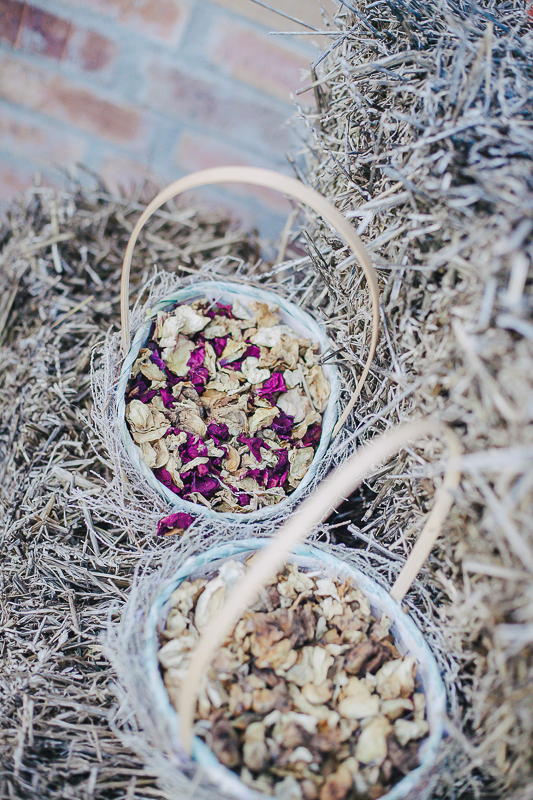 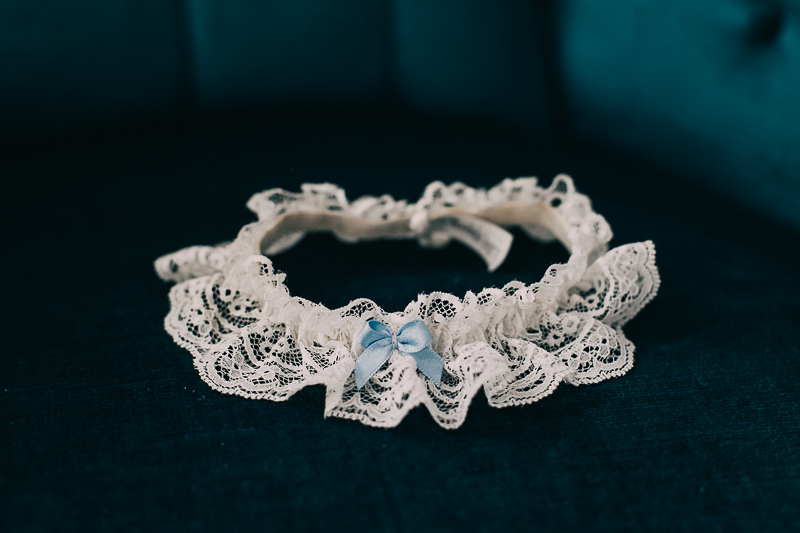 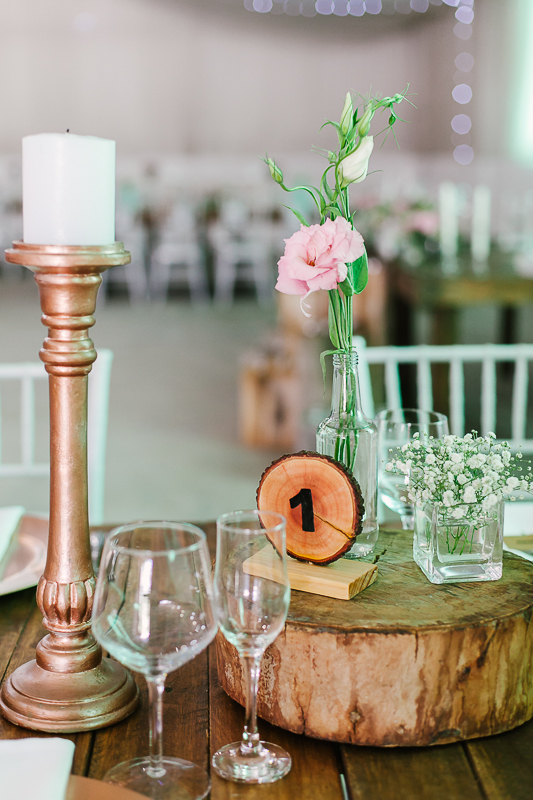 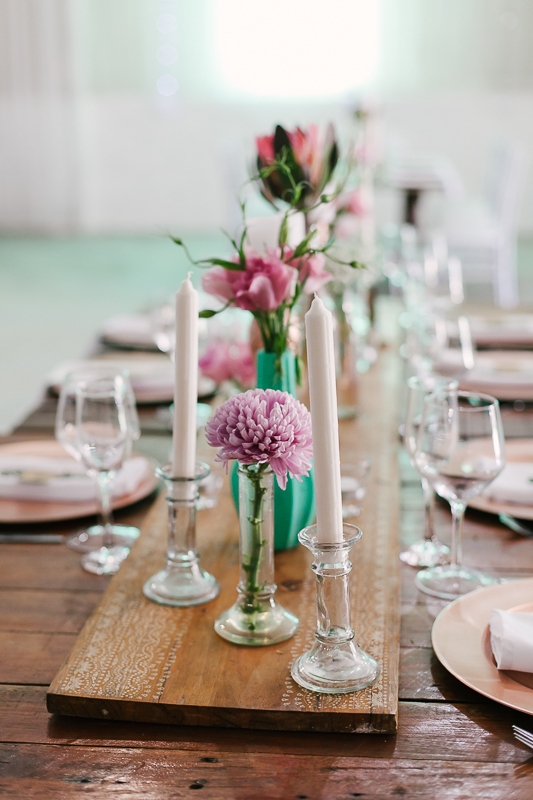 Did your wedding have a theme, if yes please give details: No, I just wanted a lot of wood and glass and the colours were blush pink, minty blue/green and rose gold. 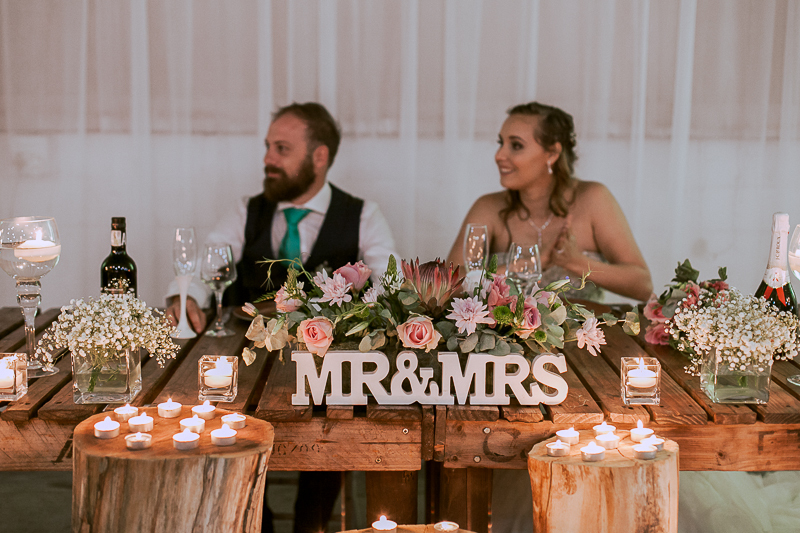 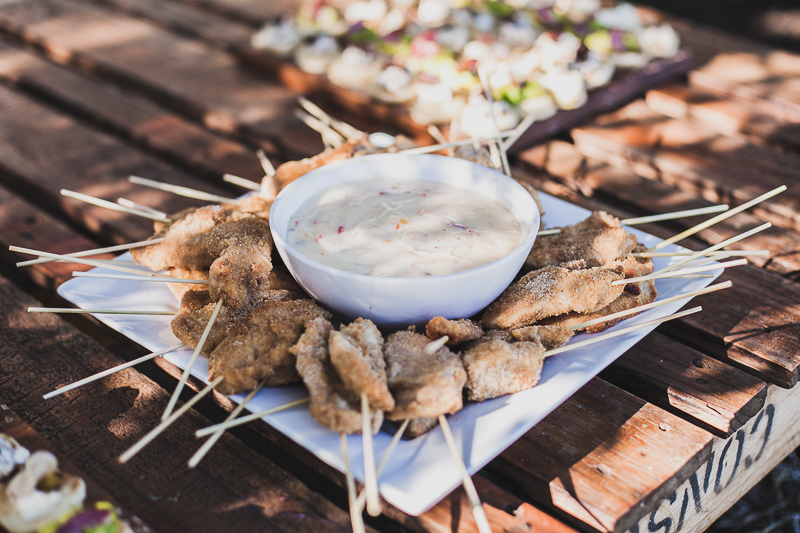 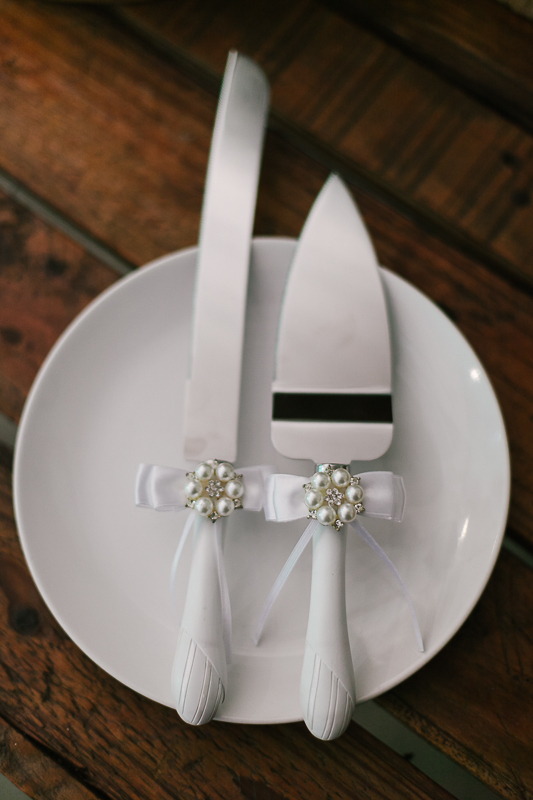 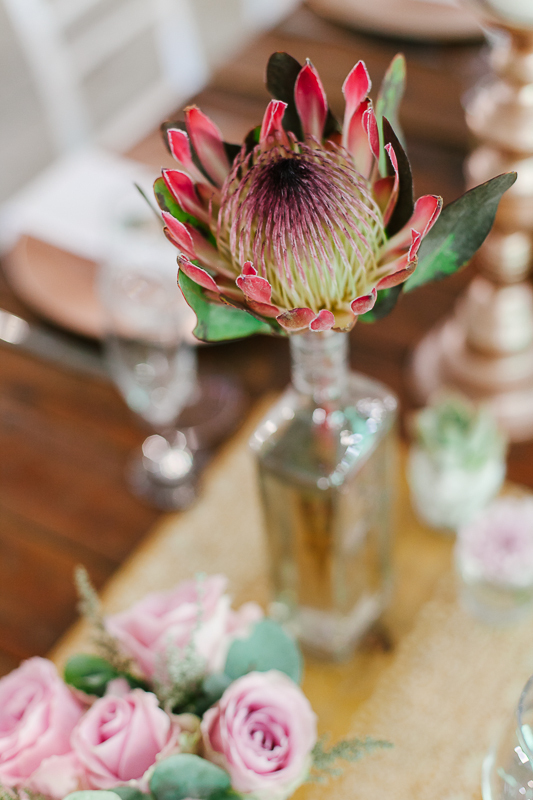 I didn’t have a wedding planner as such, but Pam Fivaz from the venue does everything: food, decor, flowers, even bouquets. 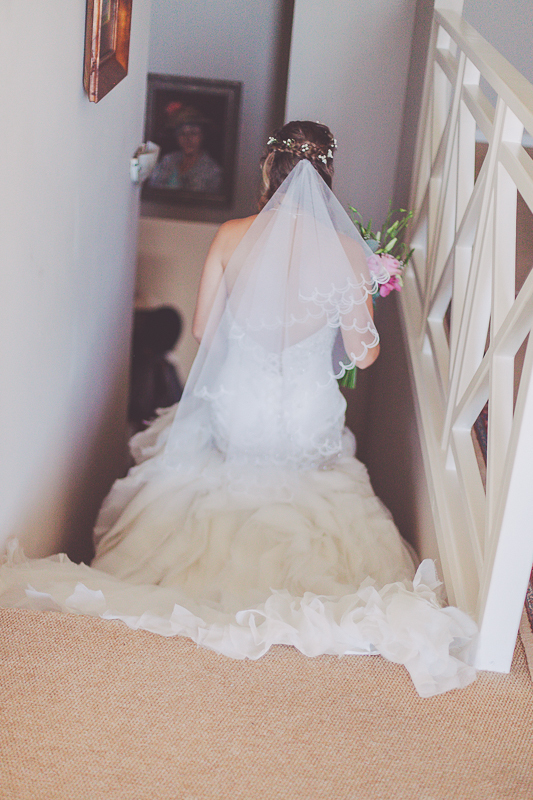 I sent her loads of photos and ideas and the rest was up to her. 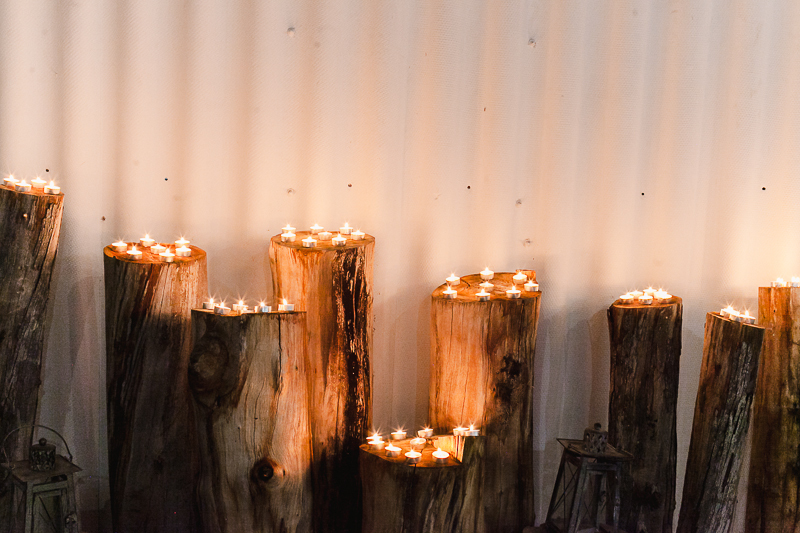 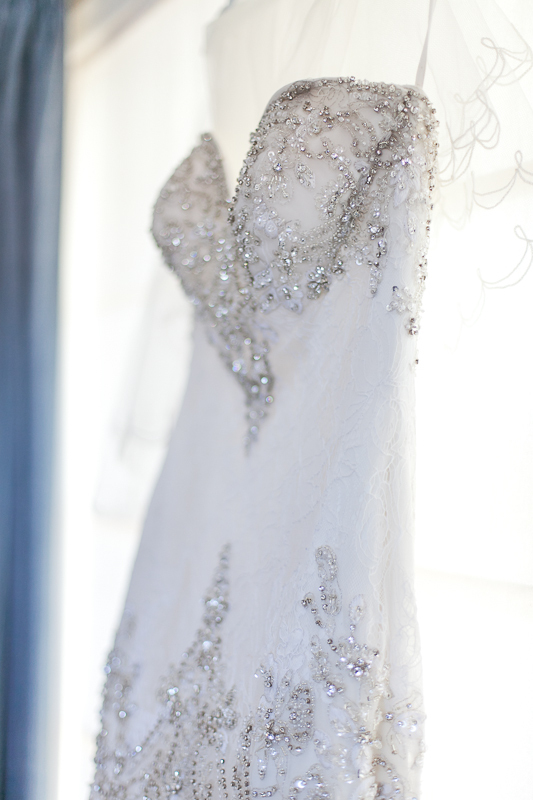 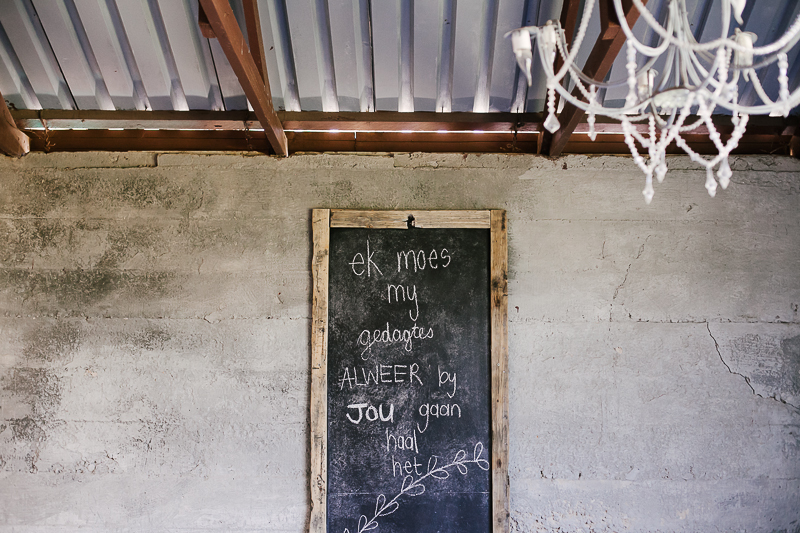 Place where Bride got ready: My MIL’s dear friend, Petro, offered us her beautiful home in Gouritsmond to use. 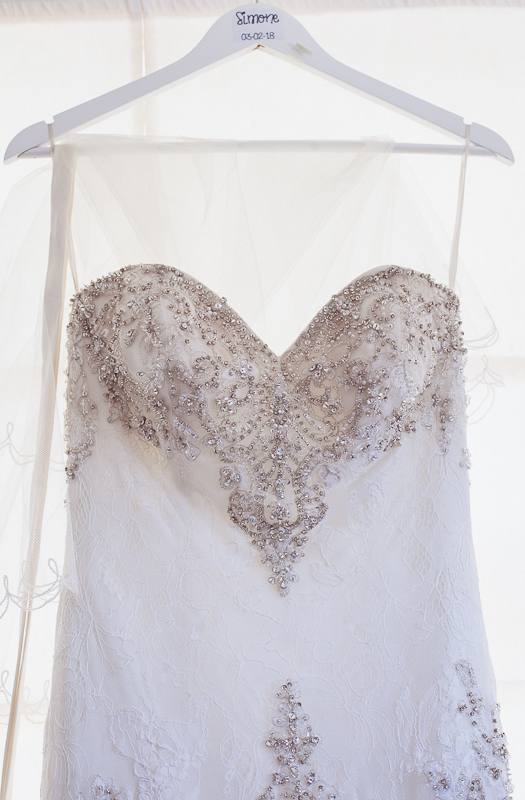 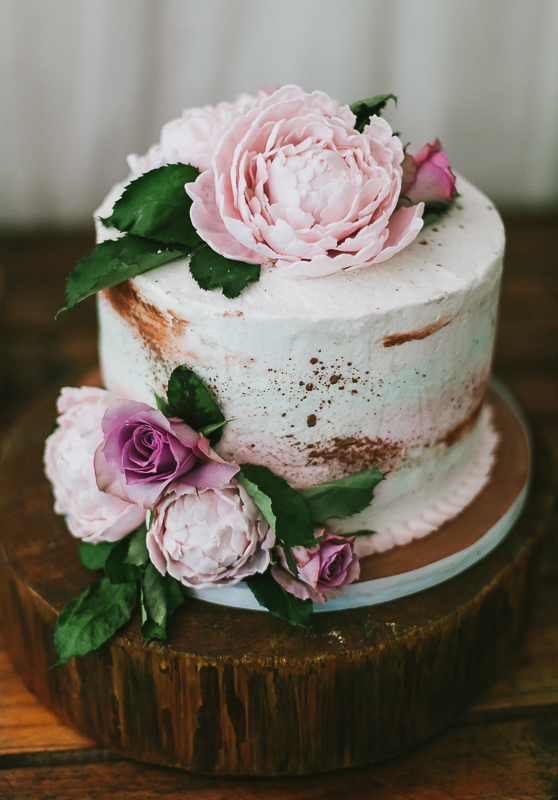 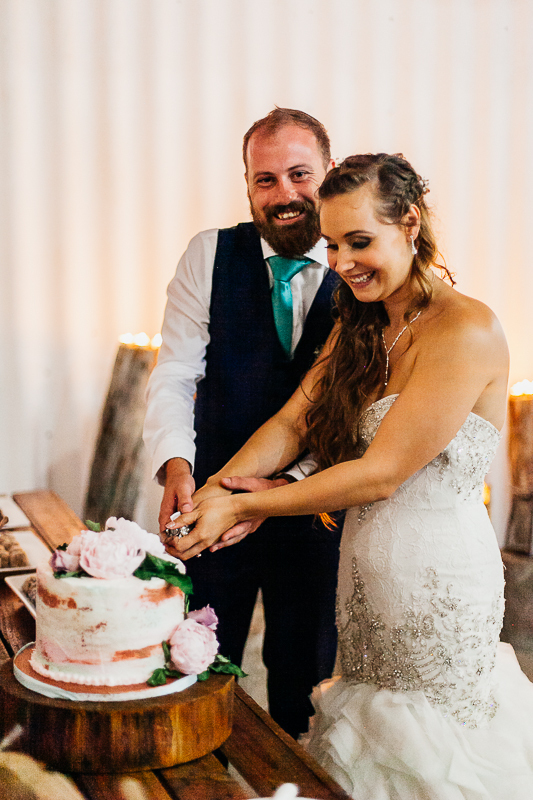 Who made your Wedding Cake: I did! 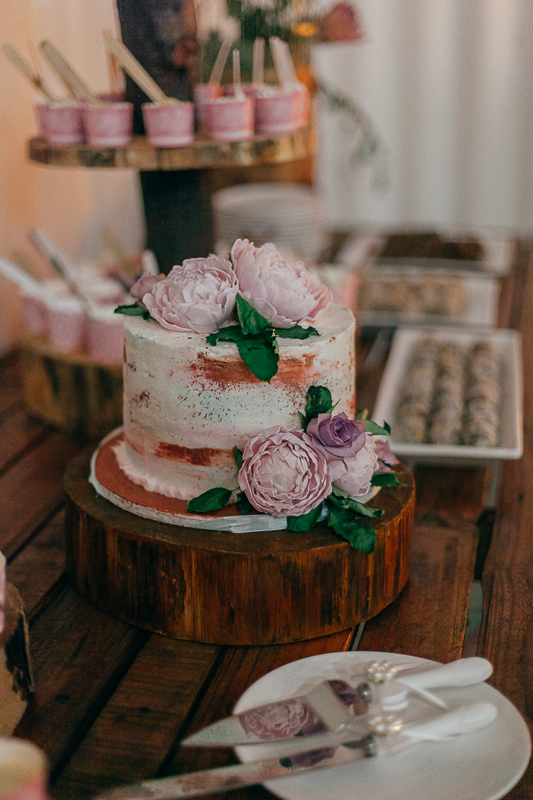 Cake topper: Gum paste peonies that I spent hours handcrafting (with a toddler on one hip) the week before the wedding, and roses that I put on at the last minute, which my mom had actually bought for my MIL. 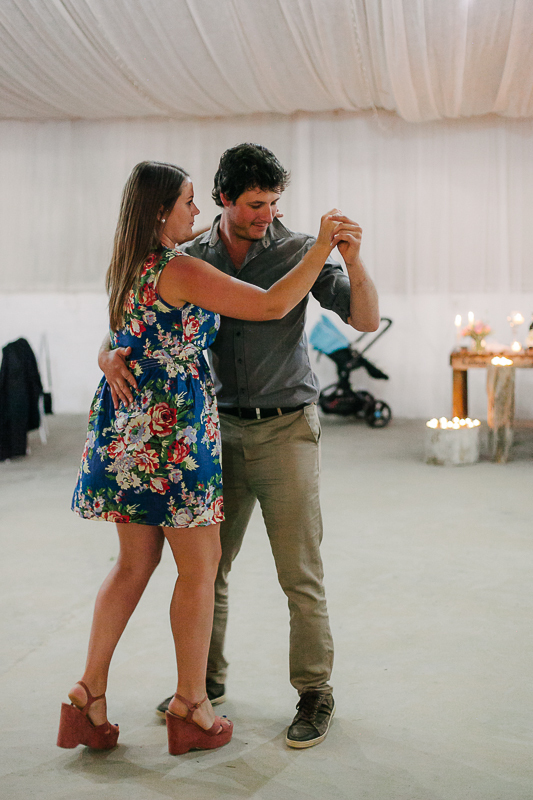 First Dance Song & if there is a story attached to your choice: We are both not dancers and agonised about our first dance. 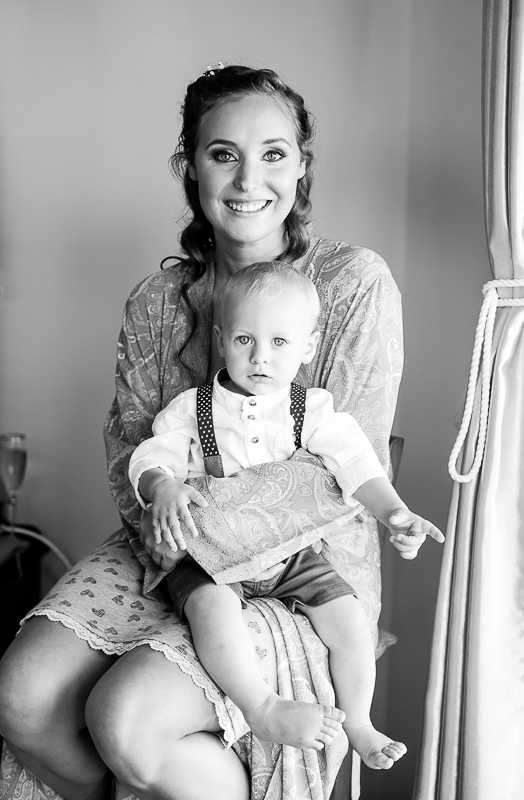 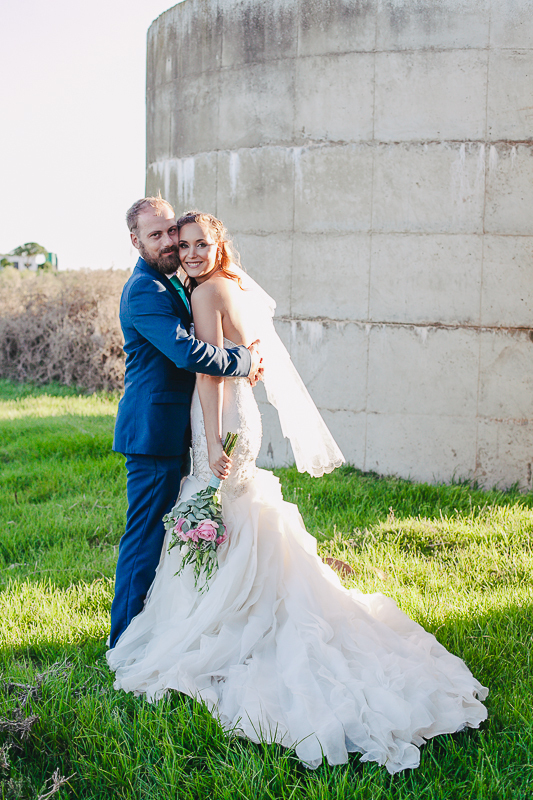 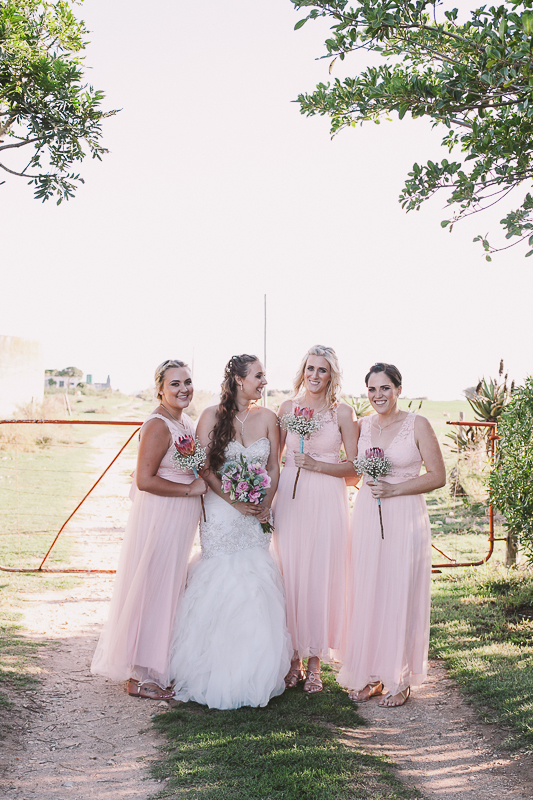 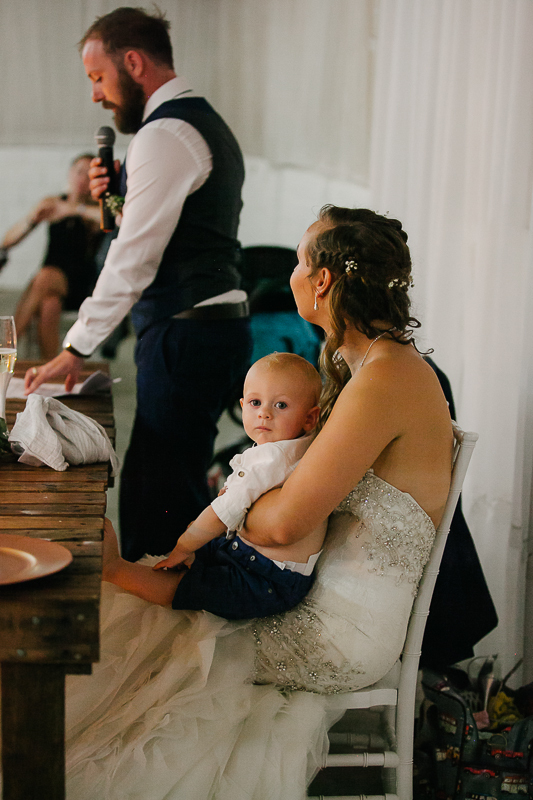 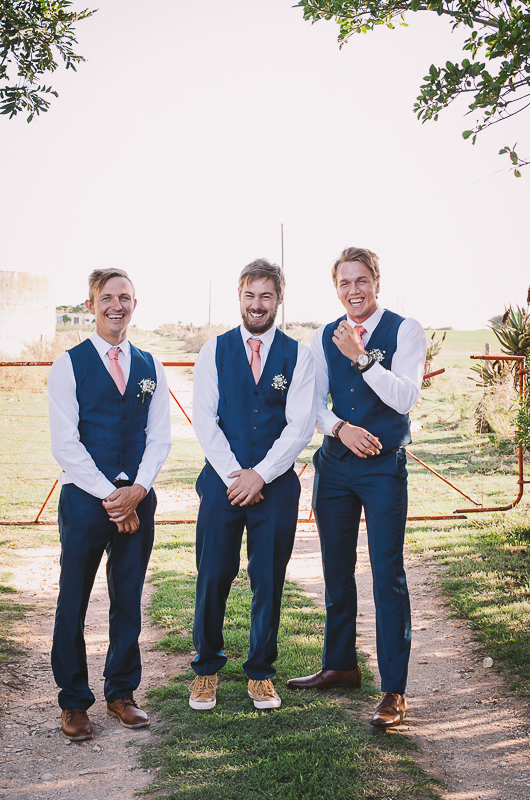 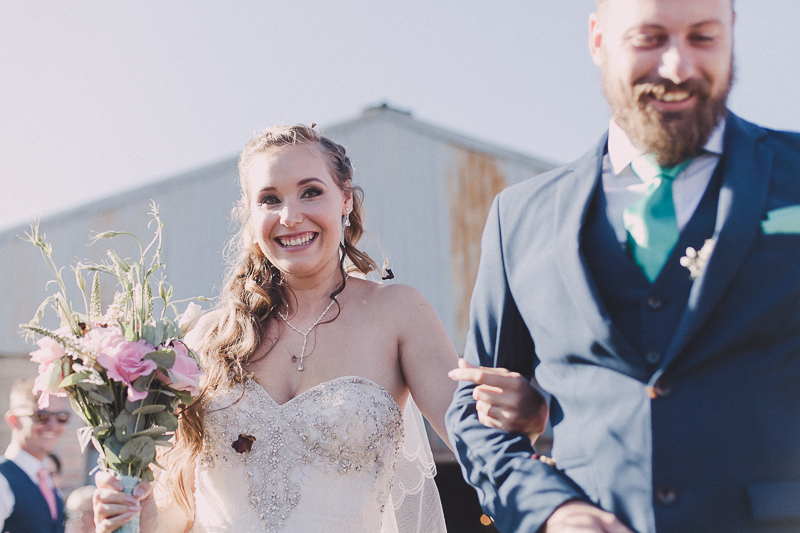 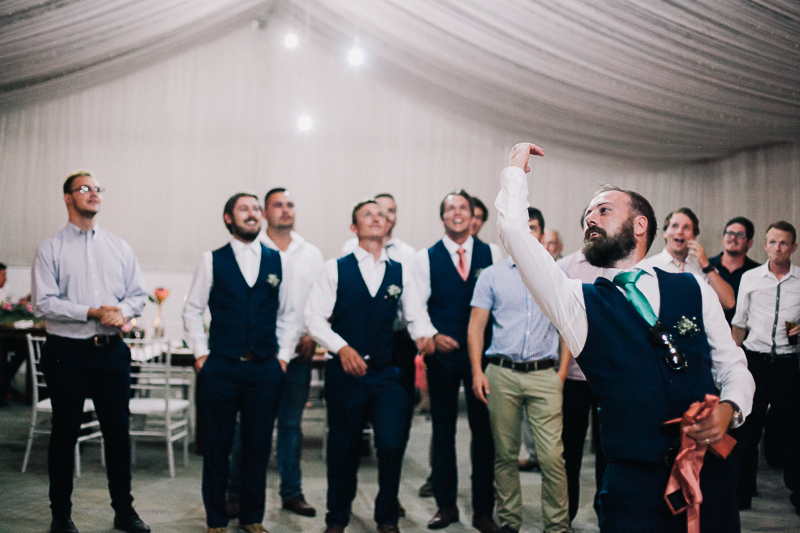 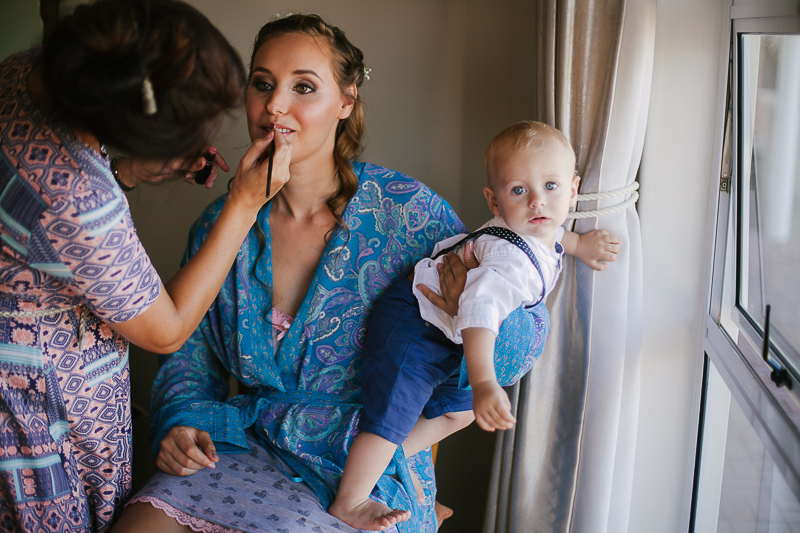 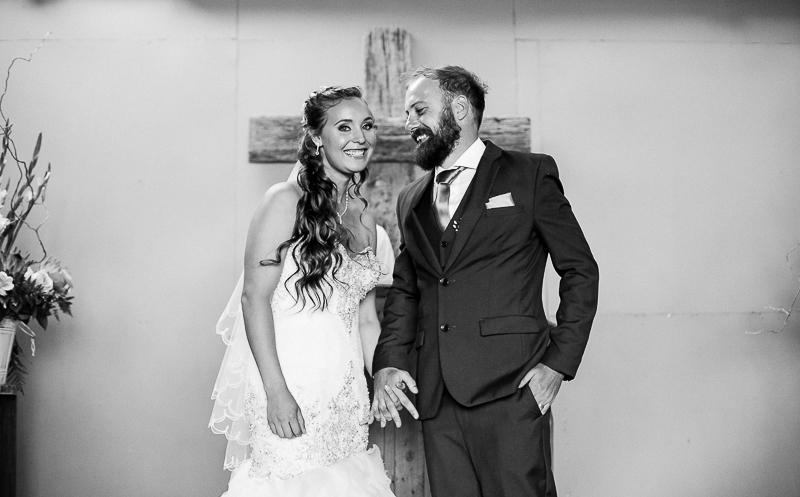 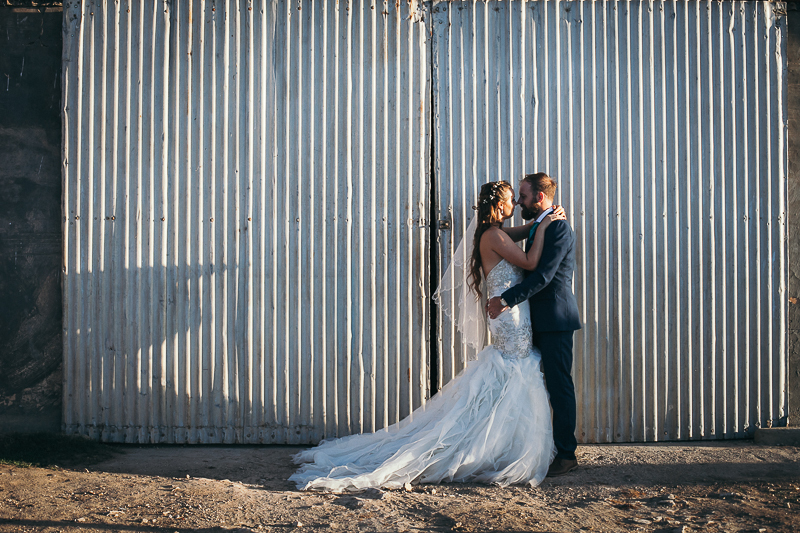 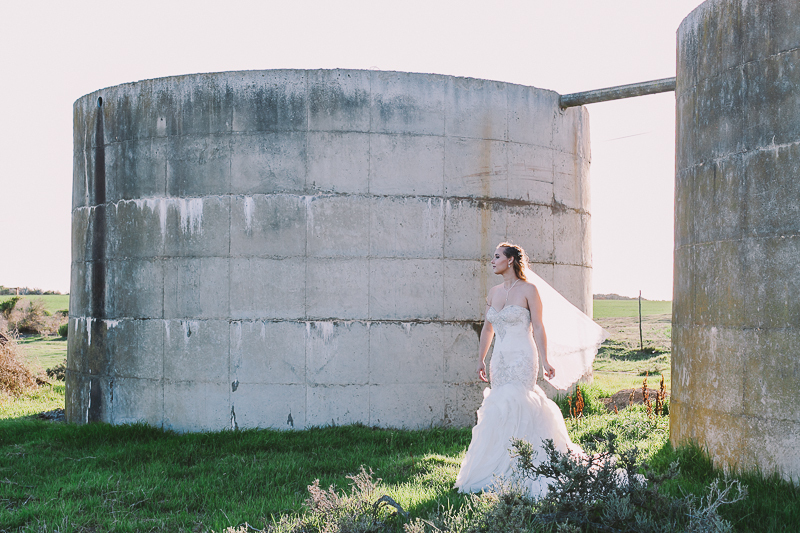 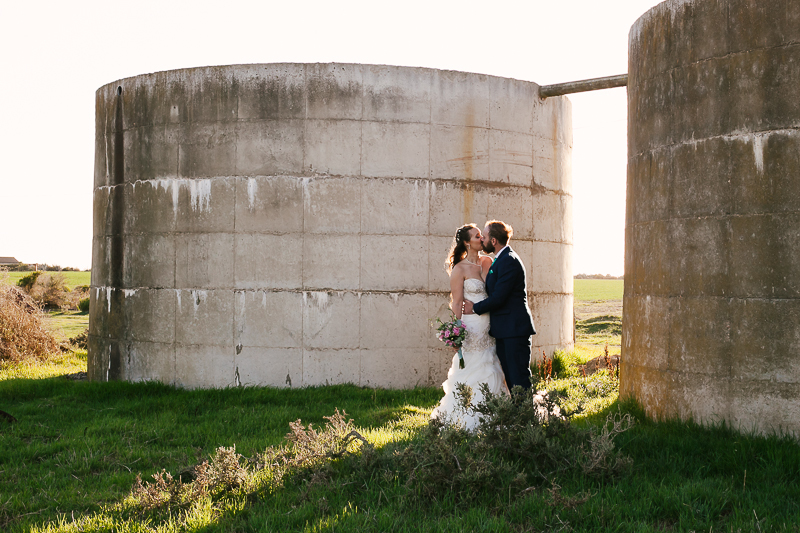 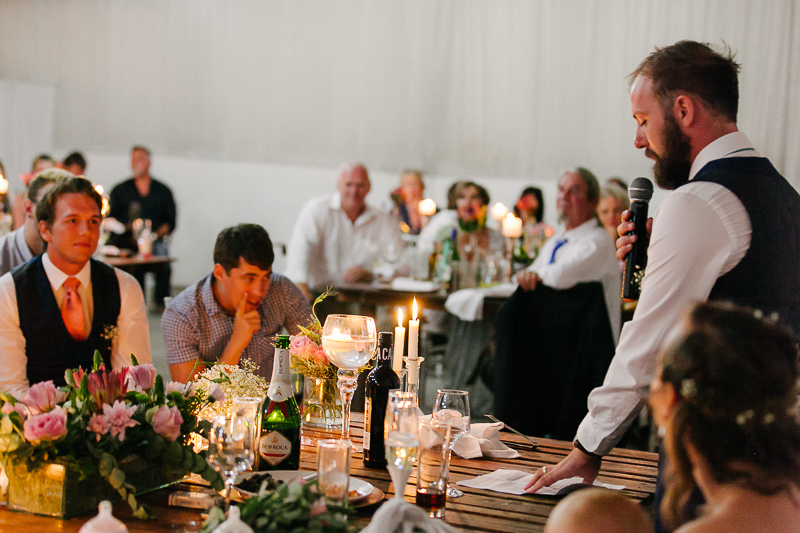 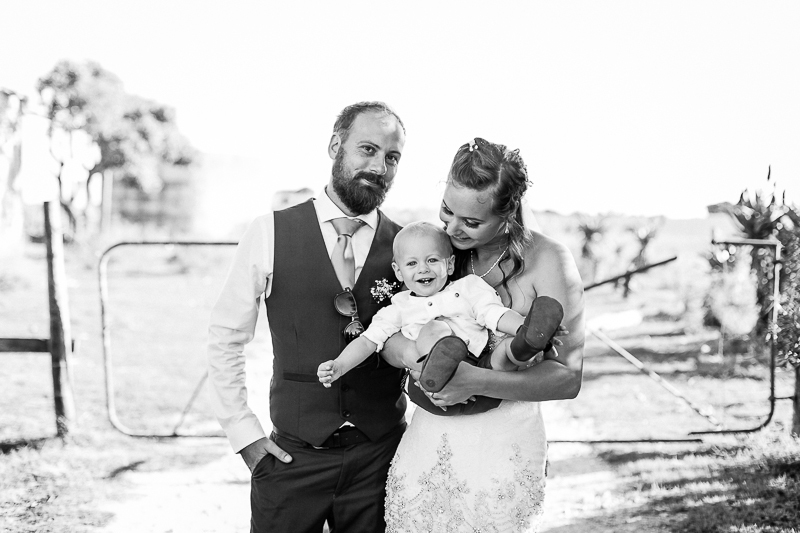 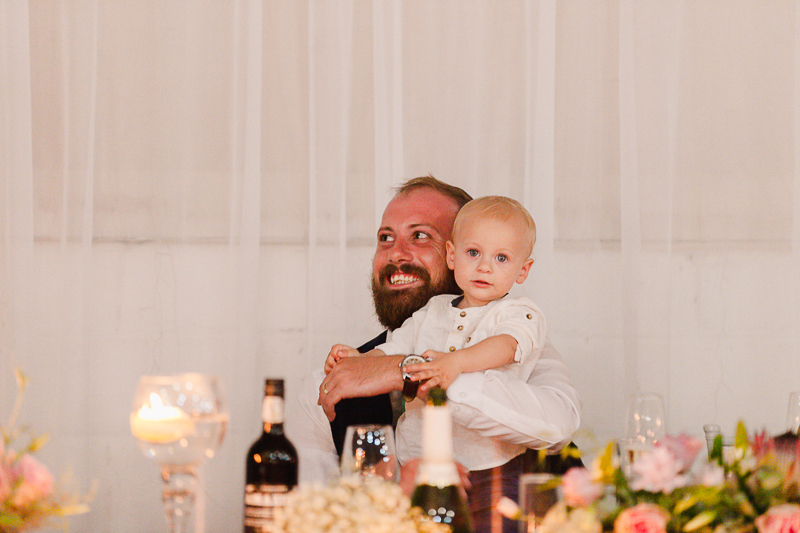 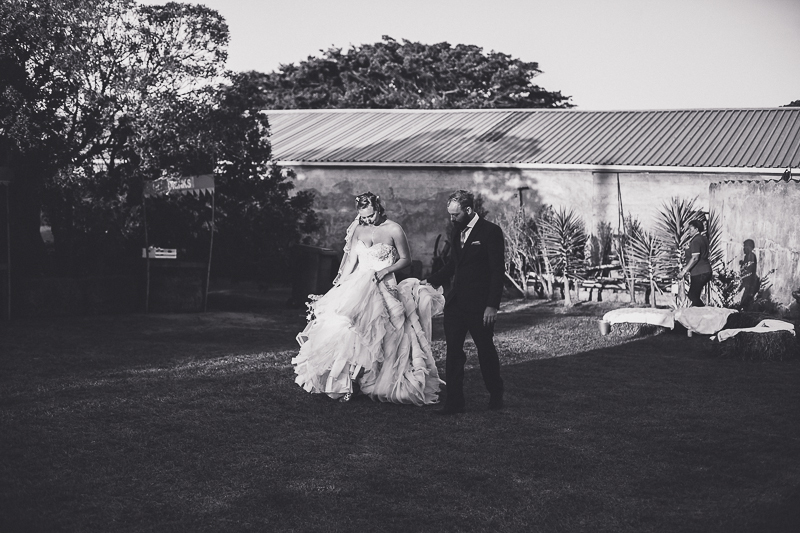 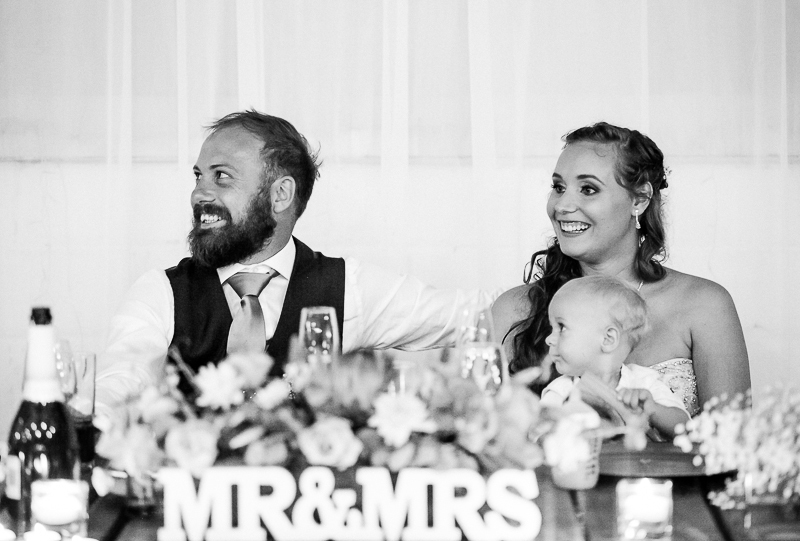 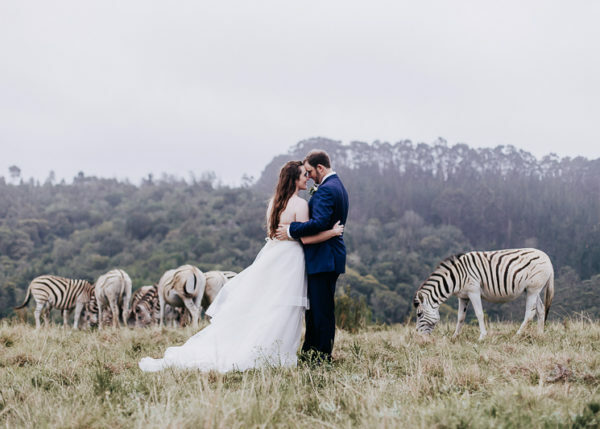 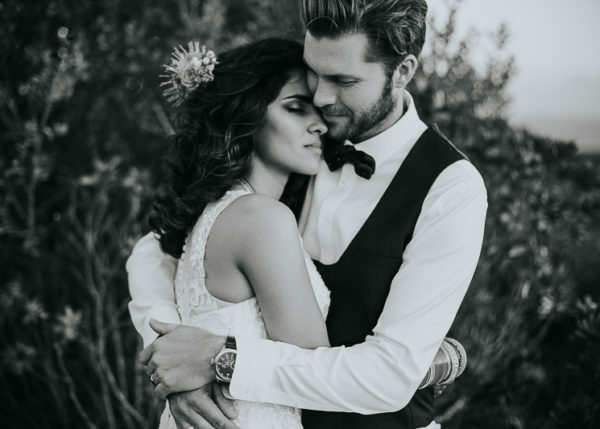 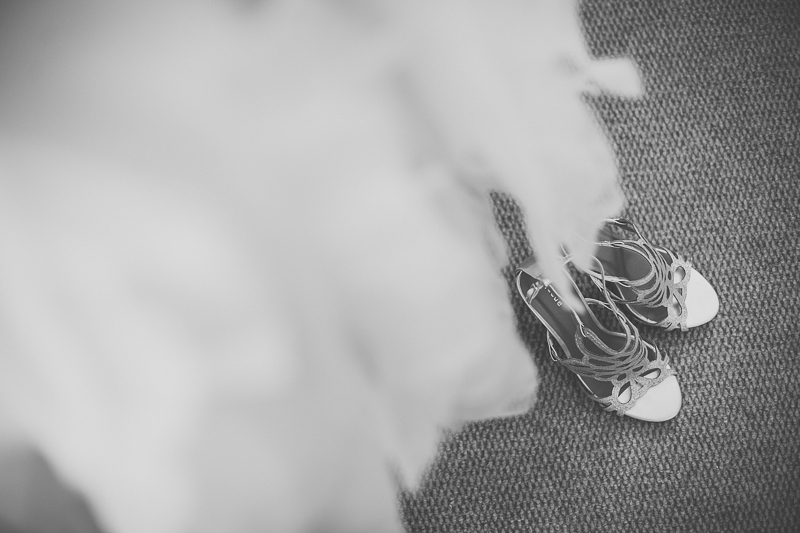 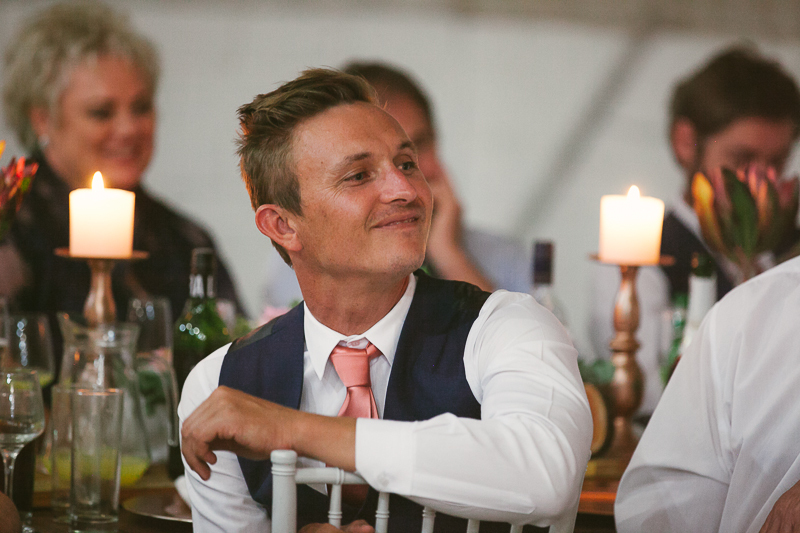 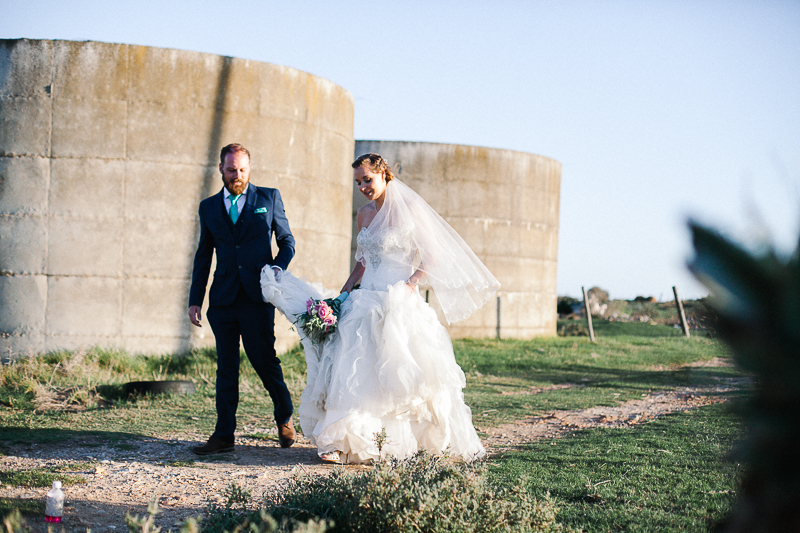 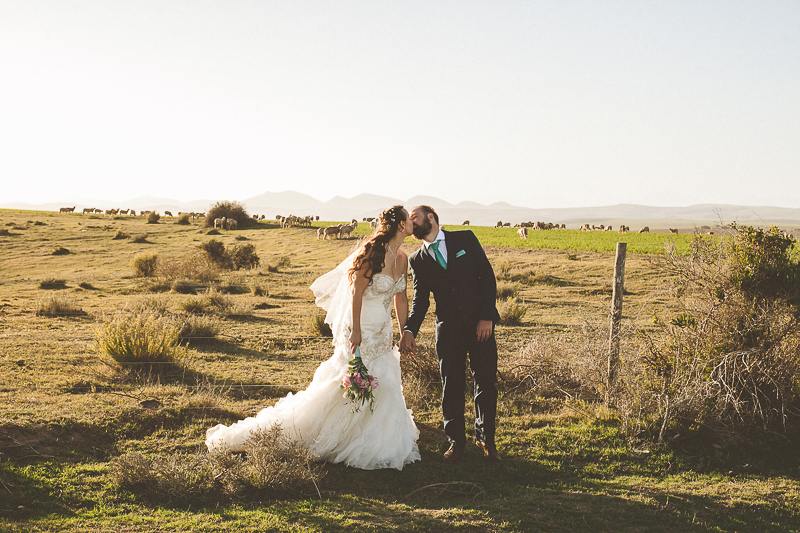 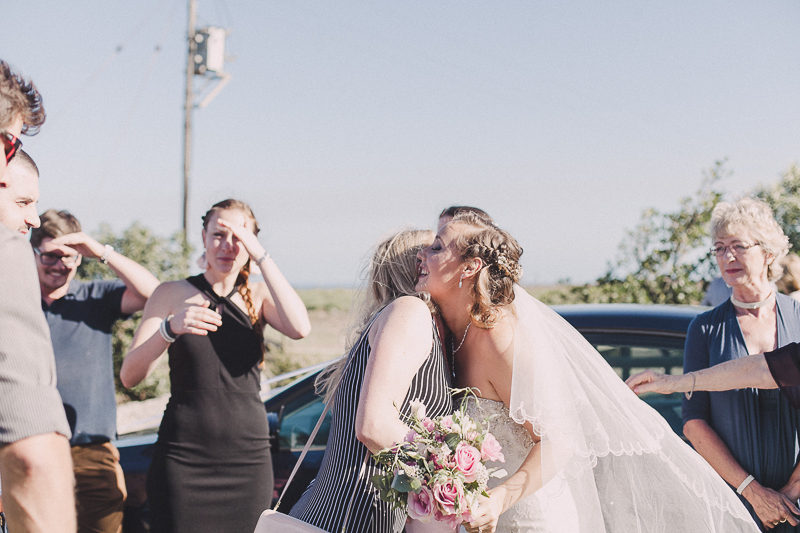 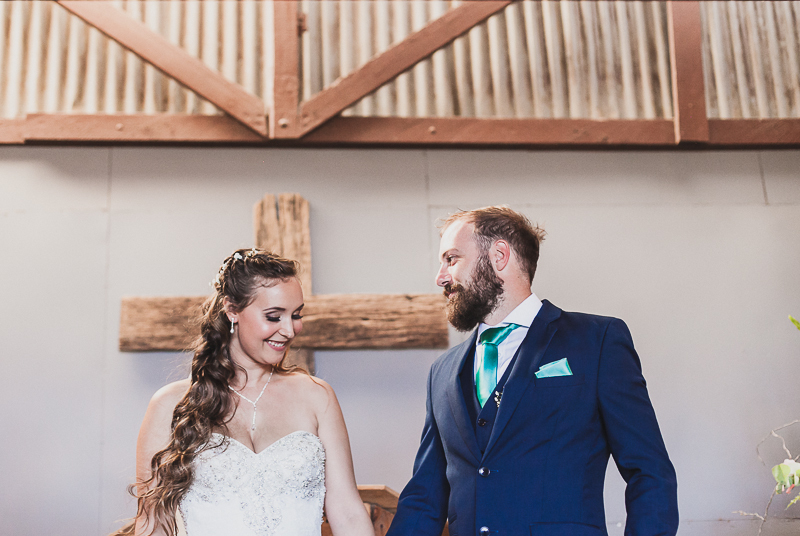 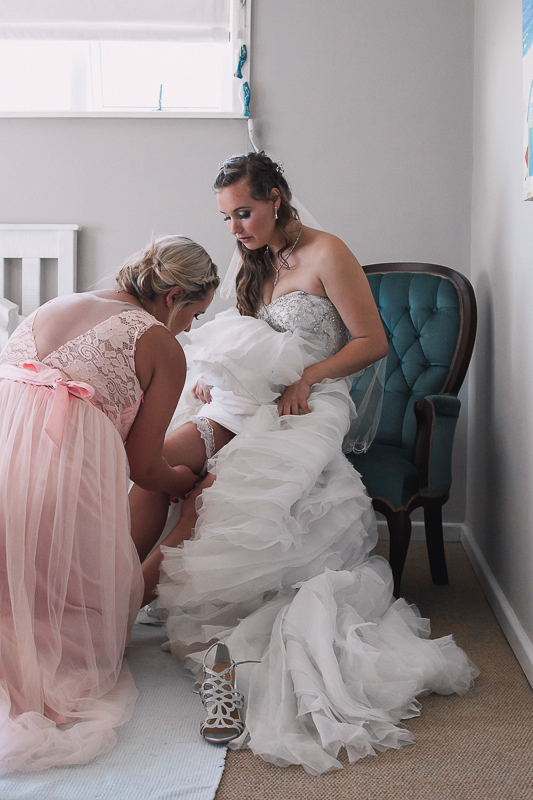 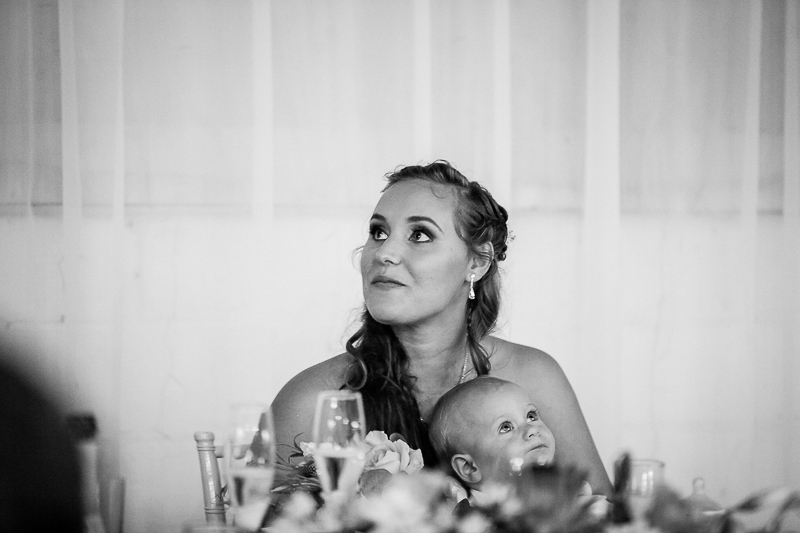 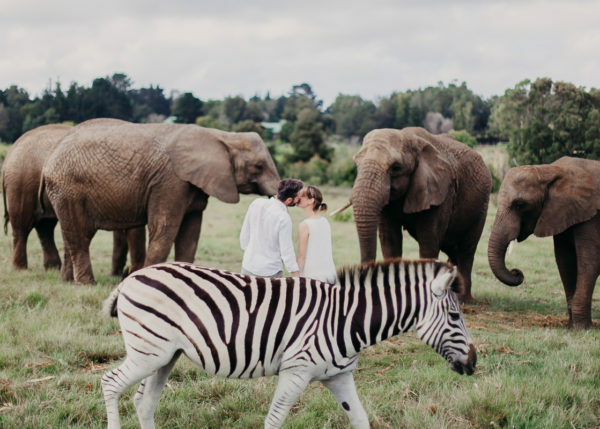 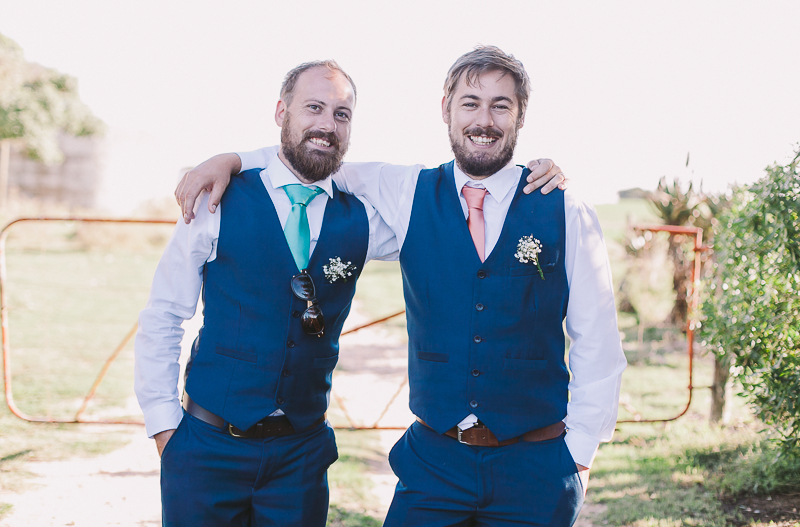 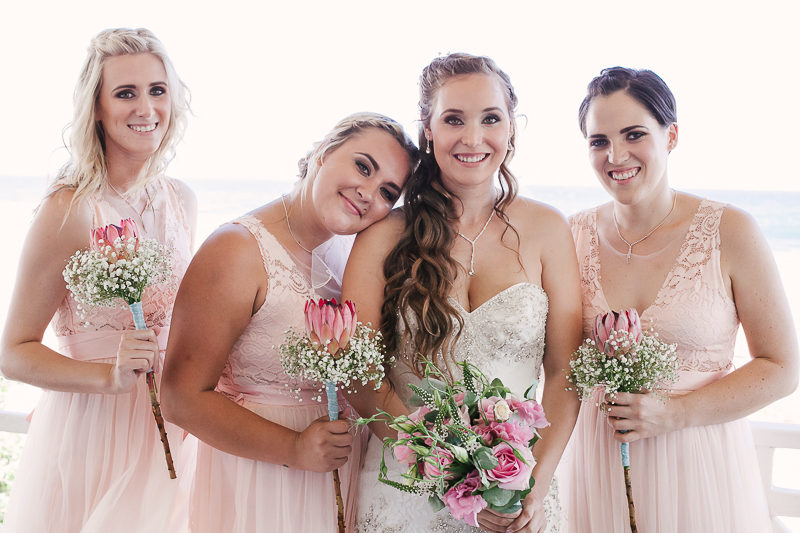 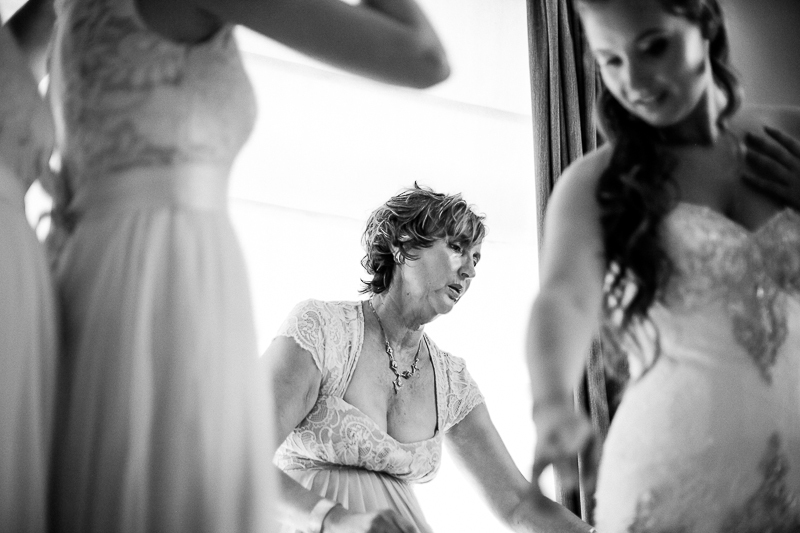 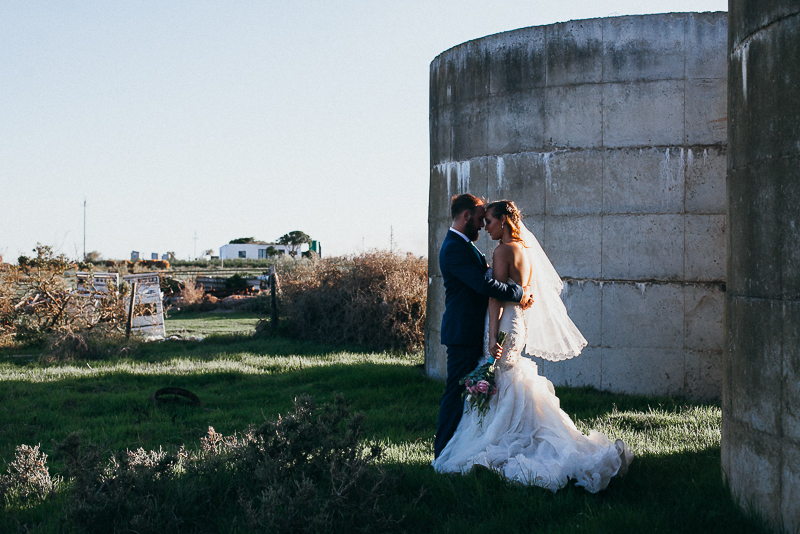 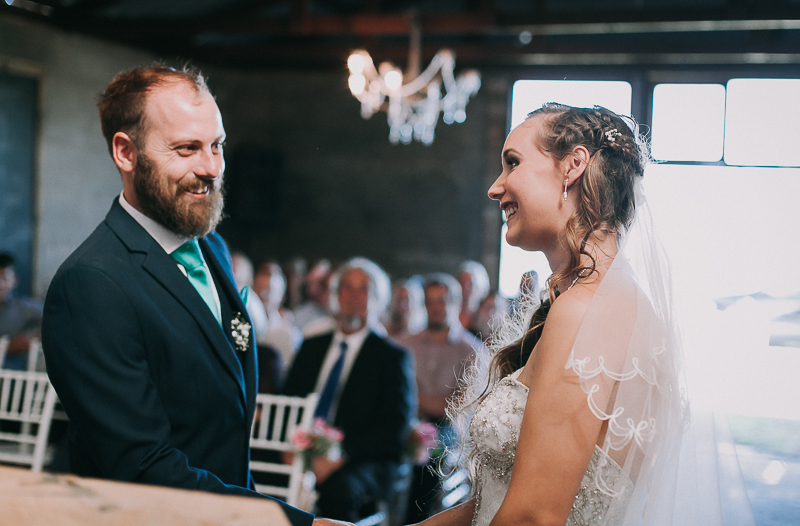 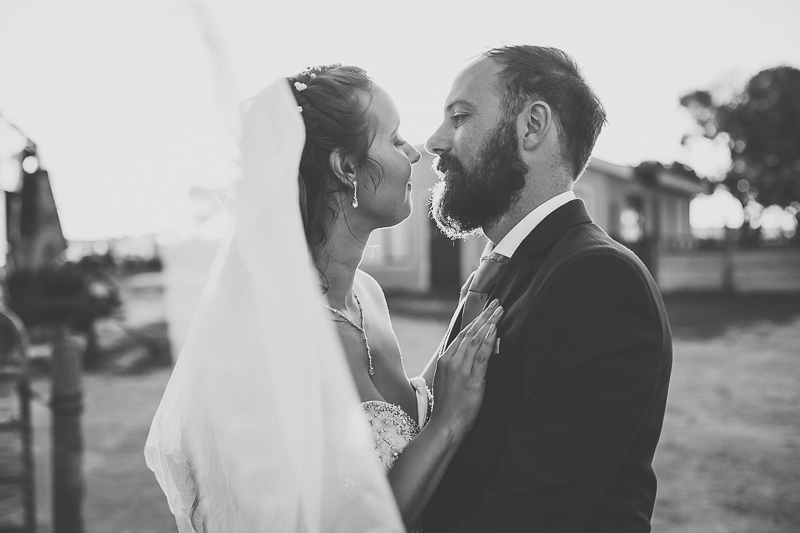 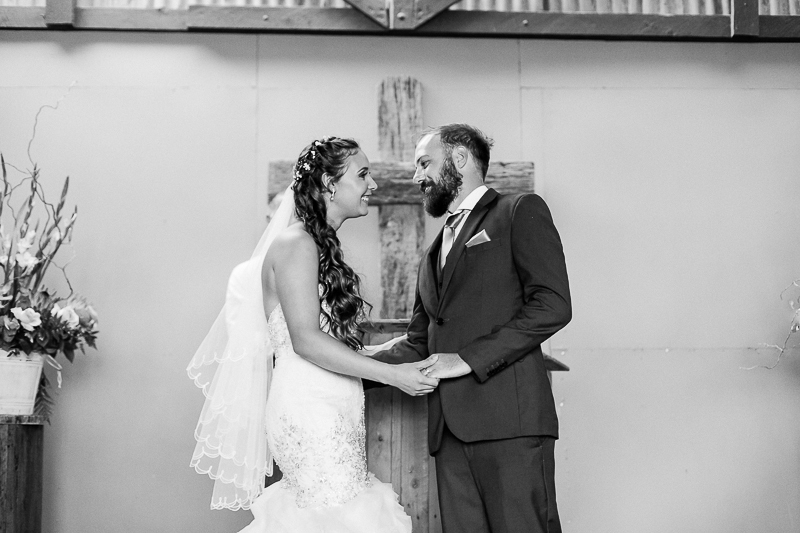 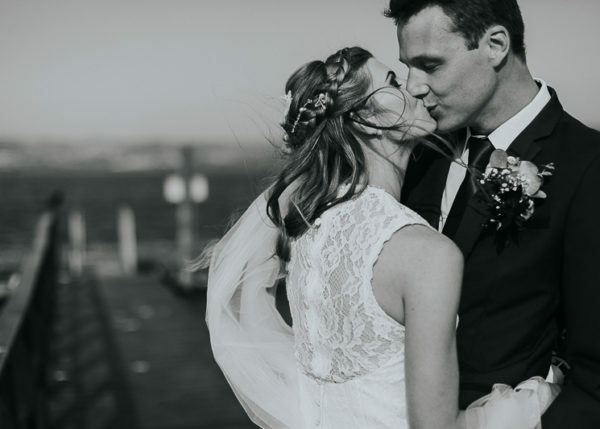 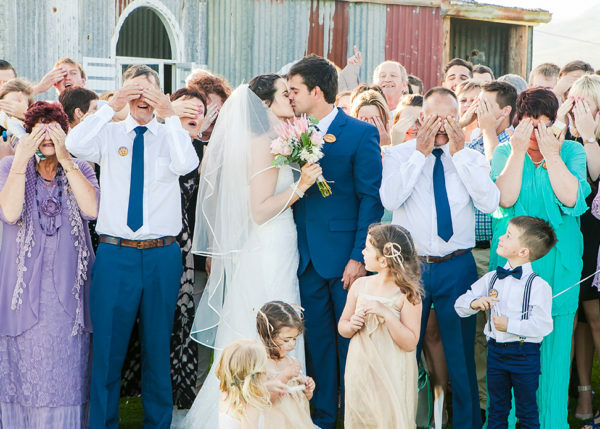 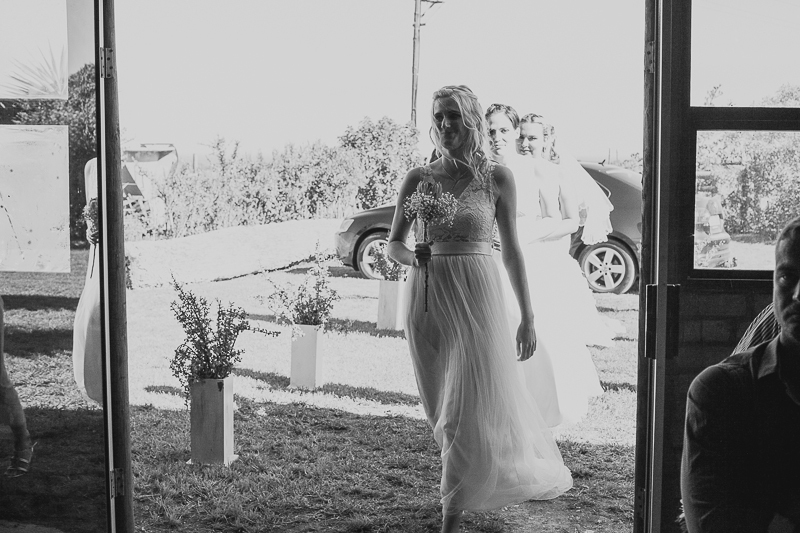 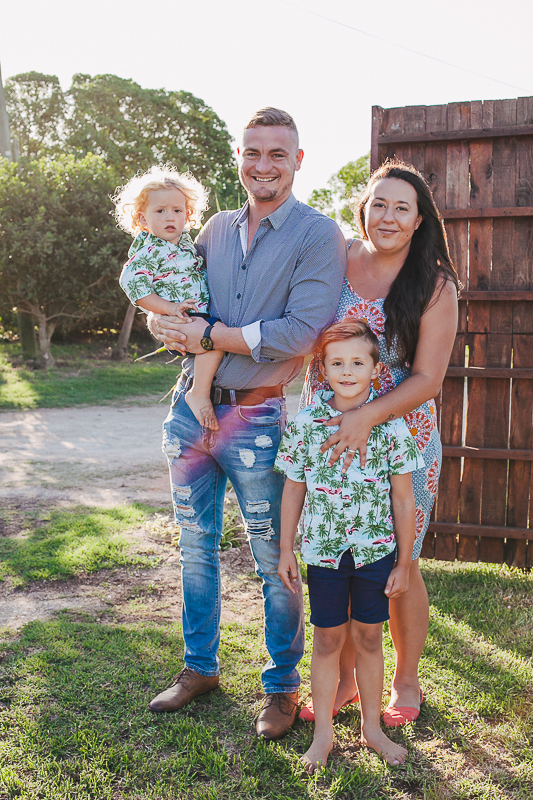 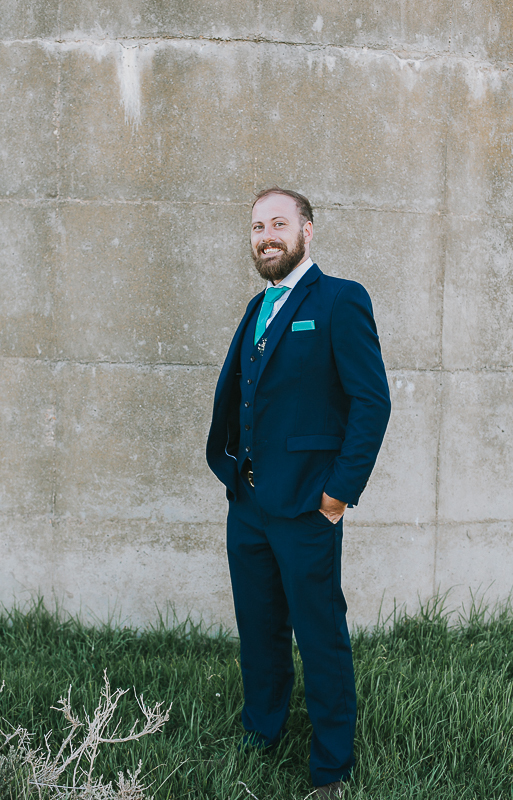 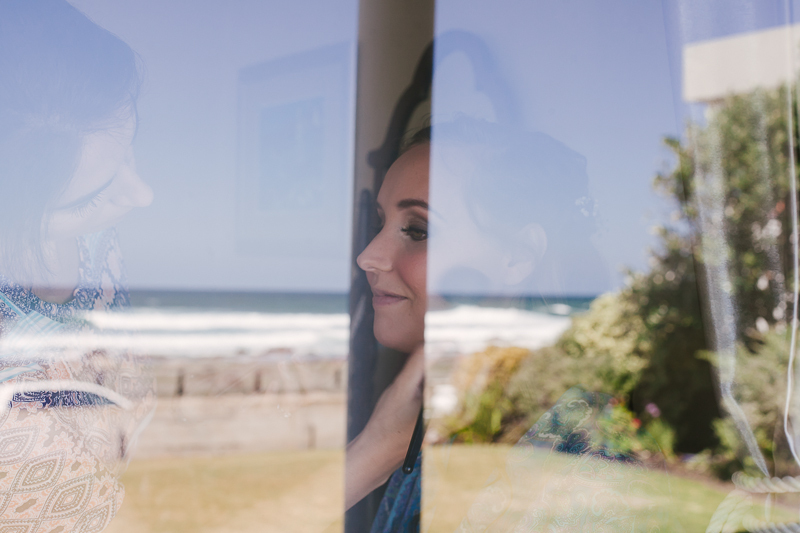 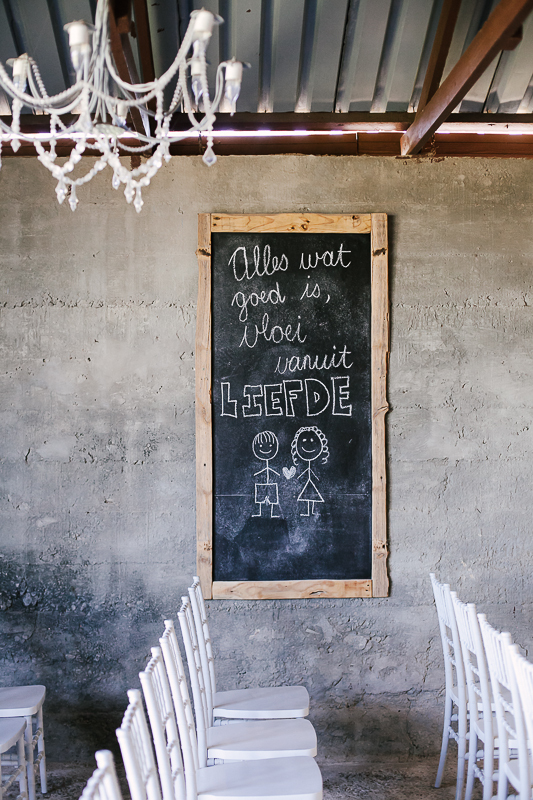 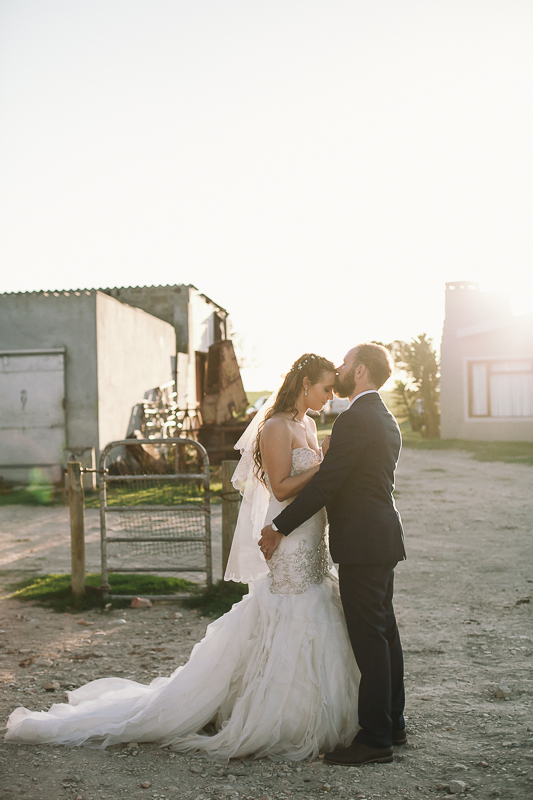 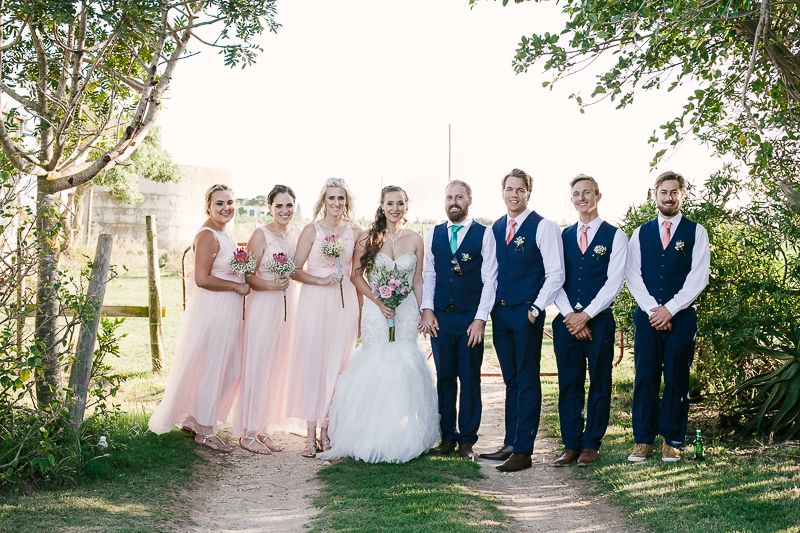 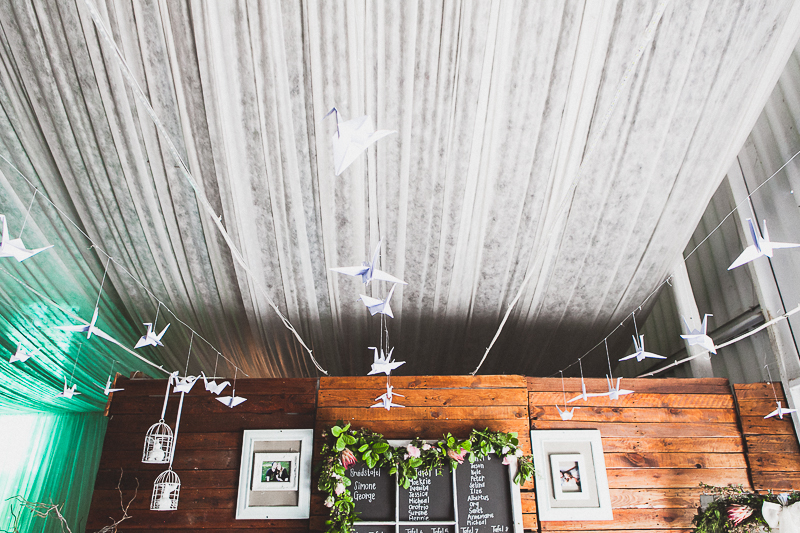 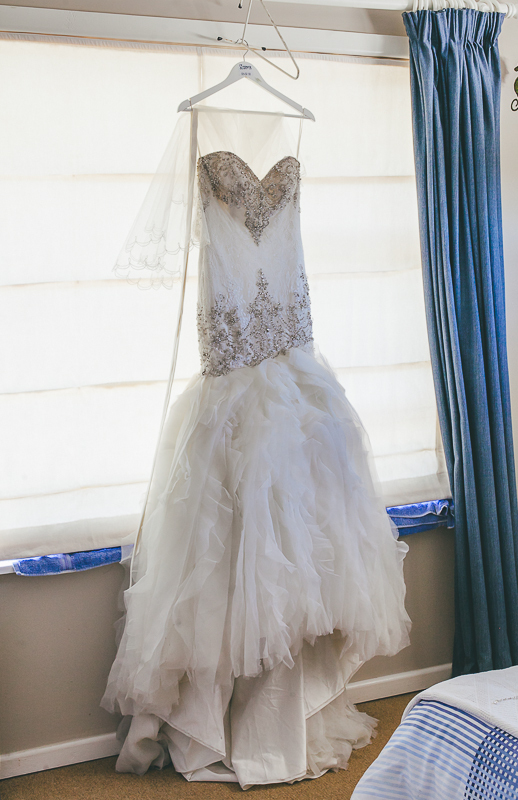 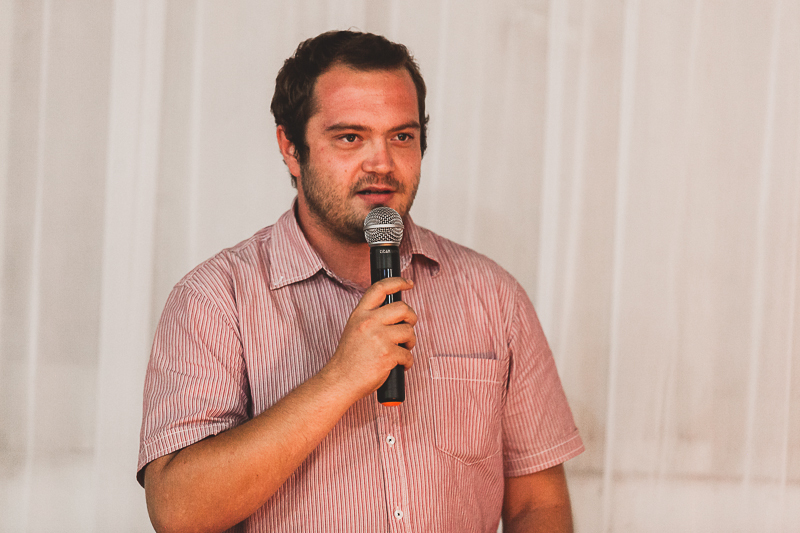 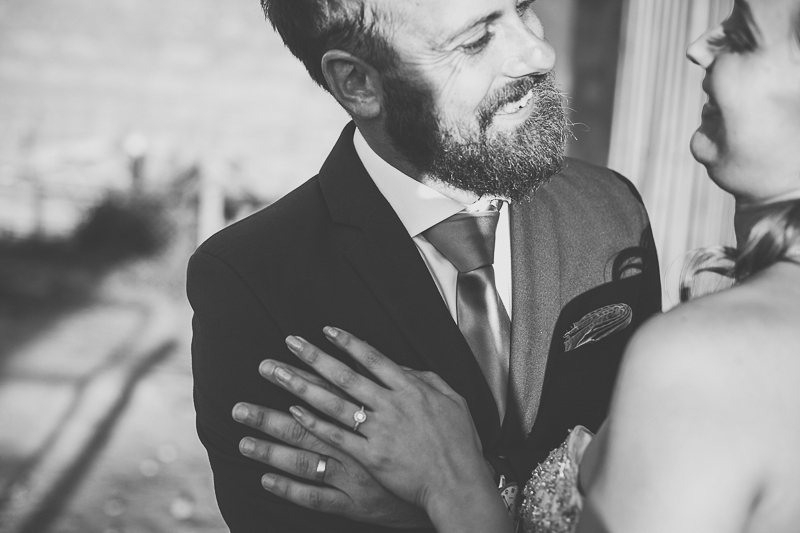 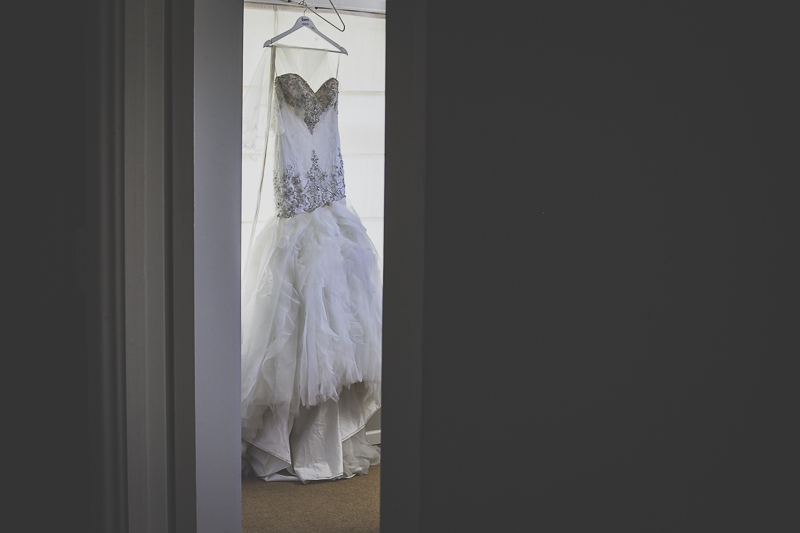 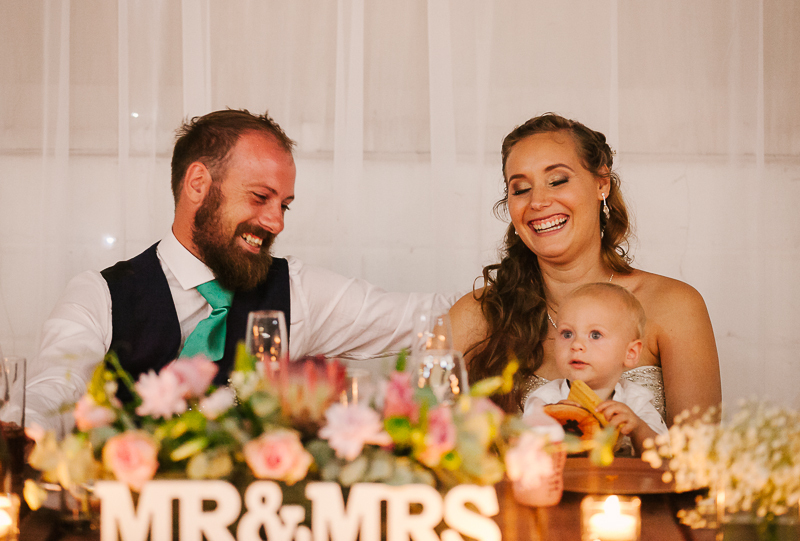 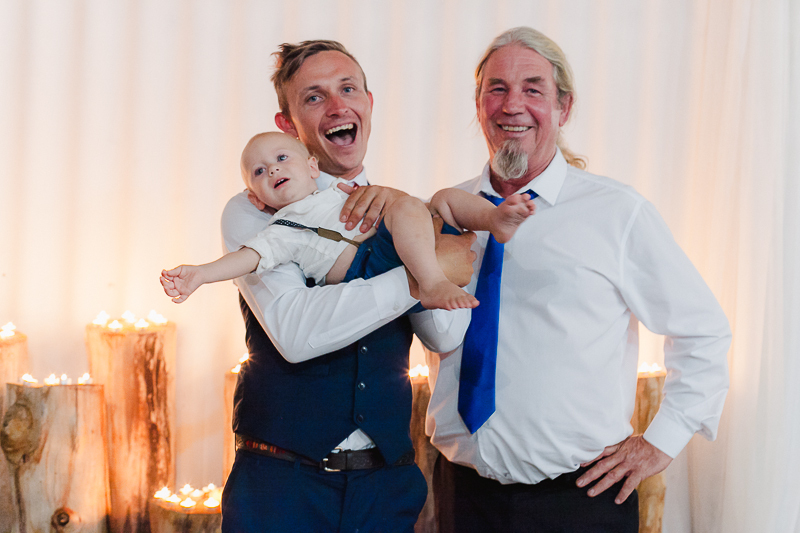 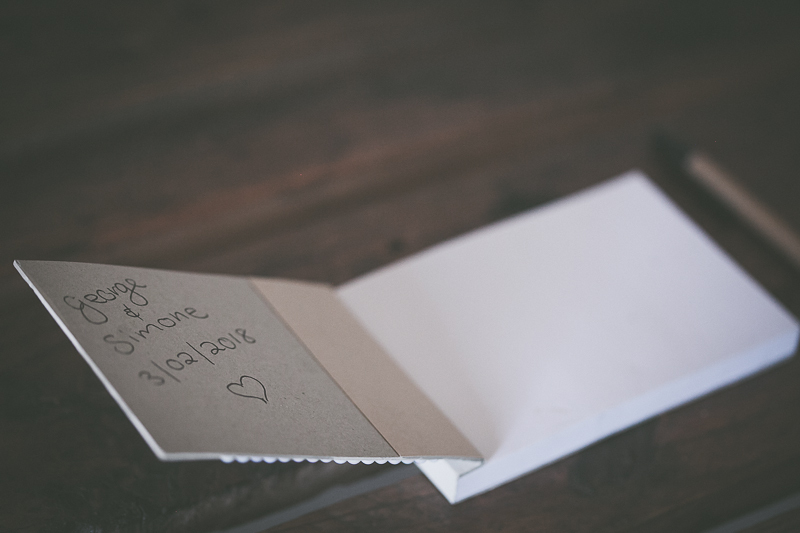 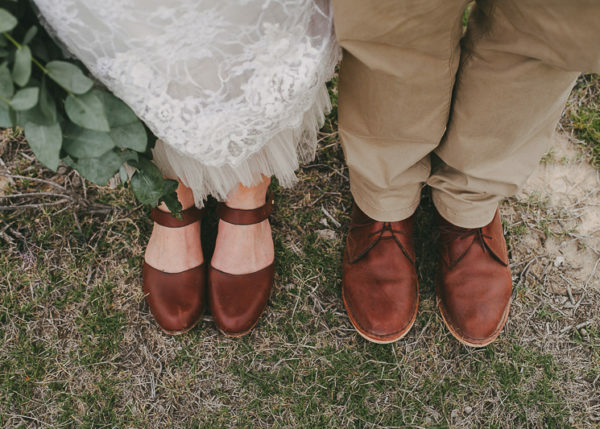 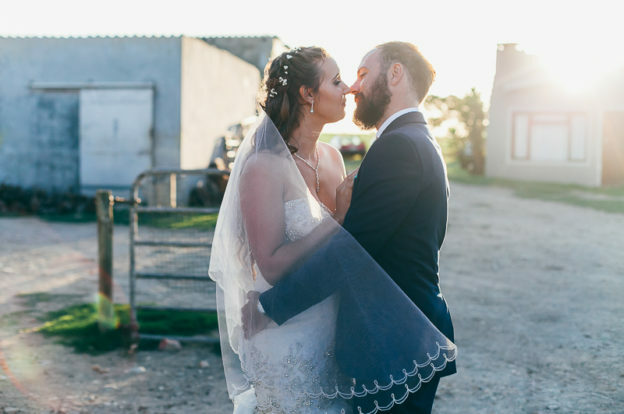 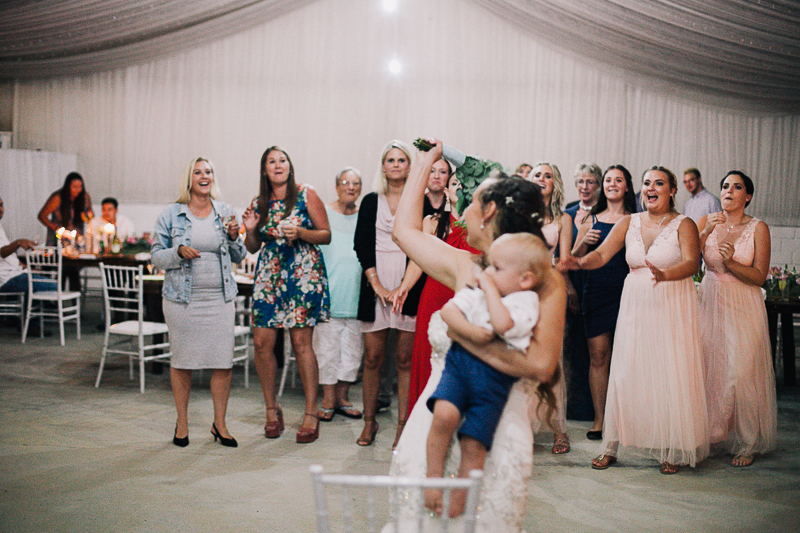 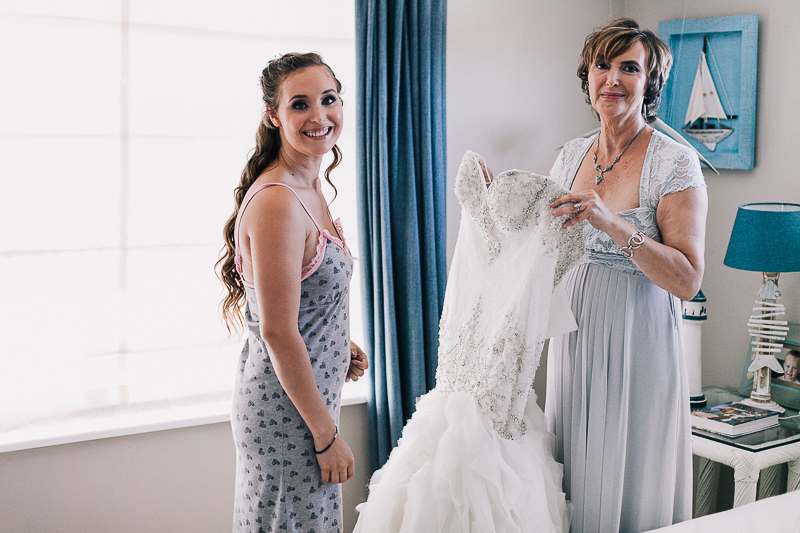 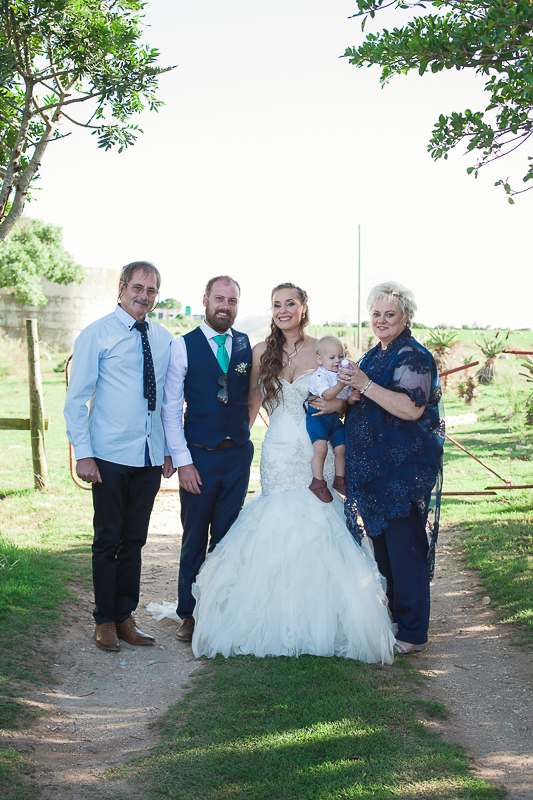 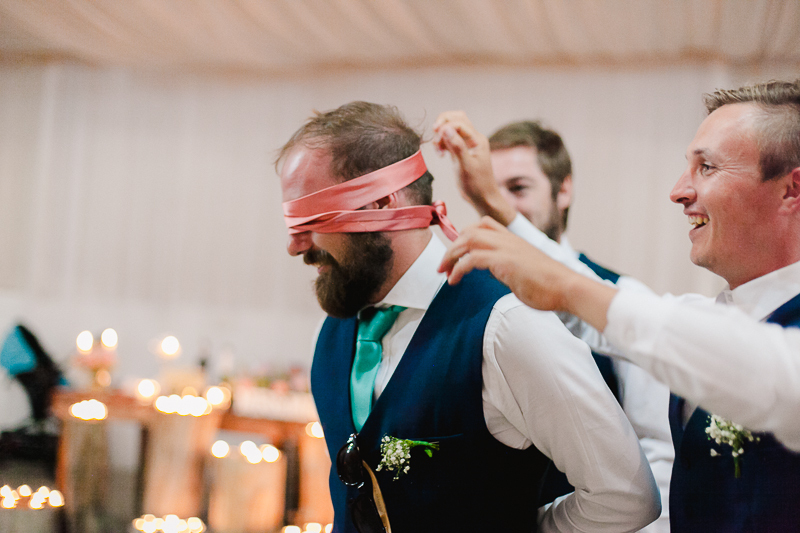 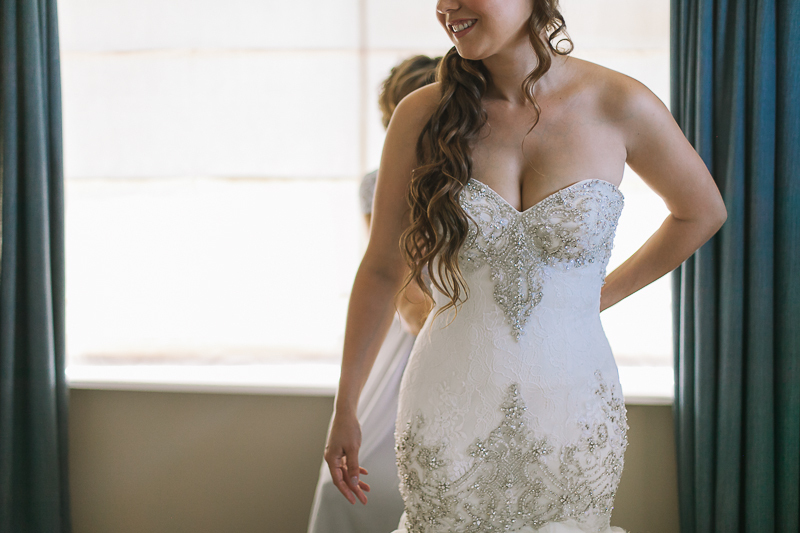 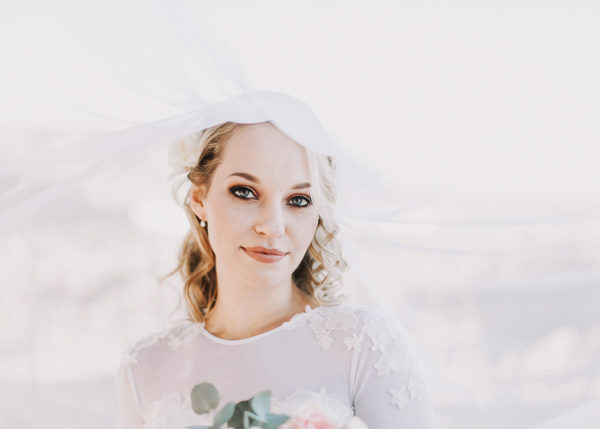 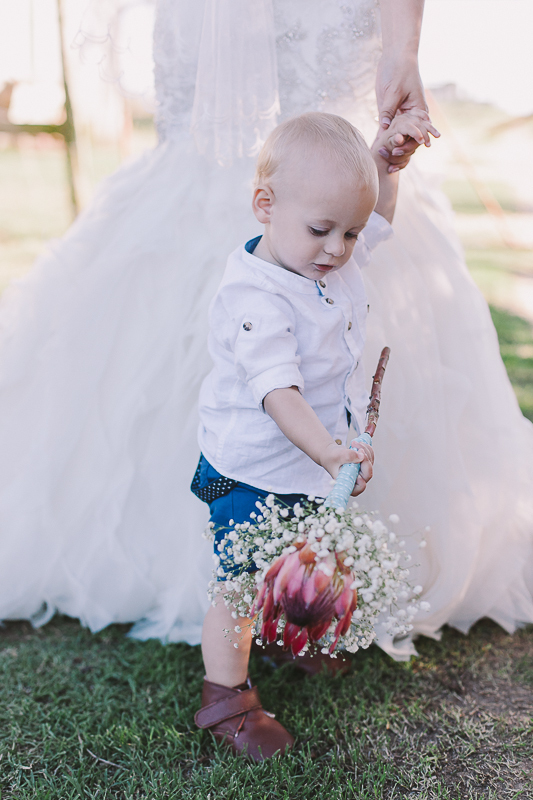 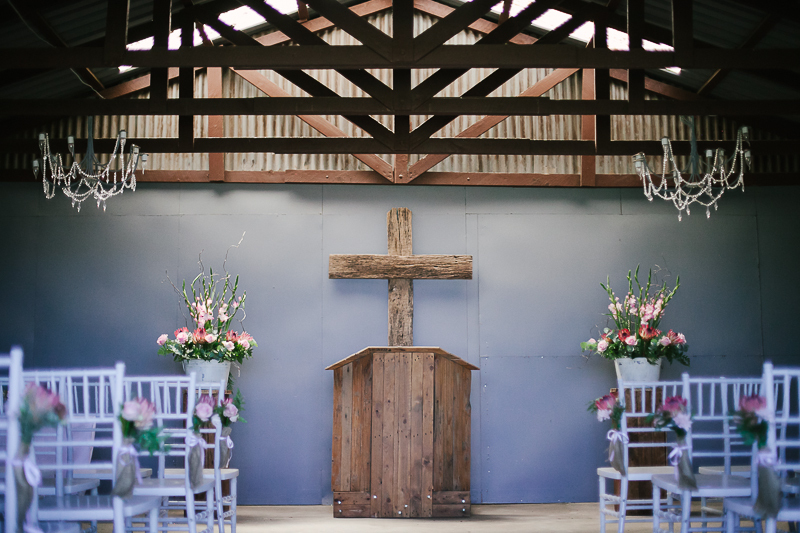 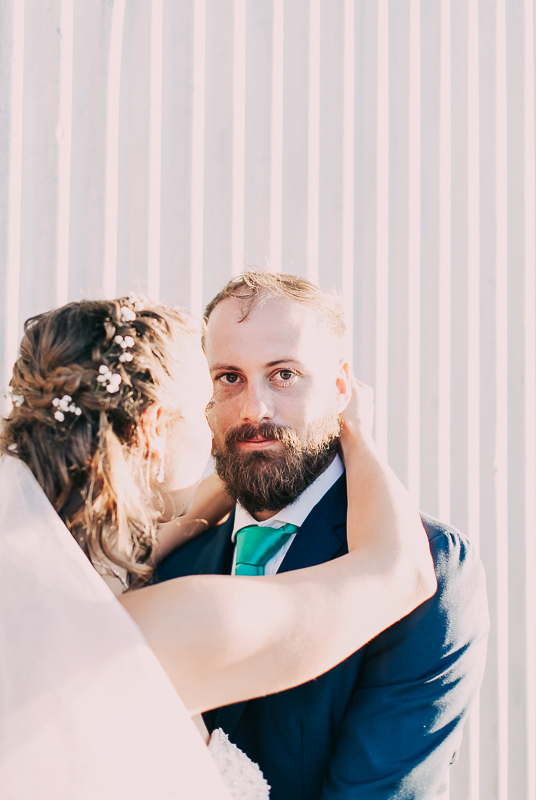 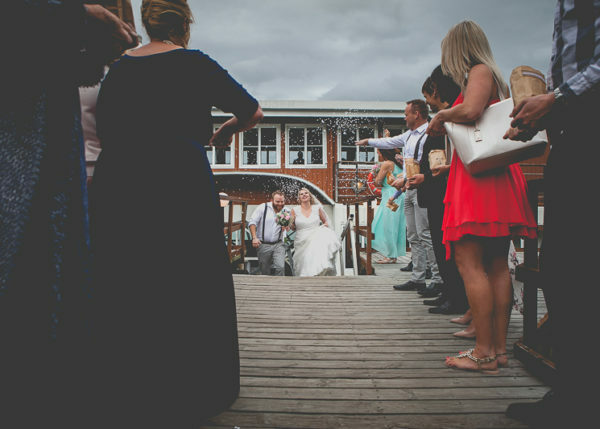 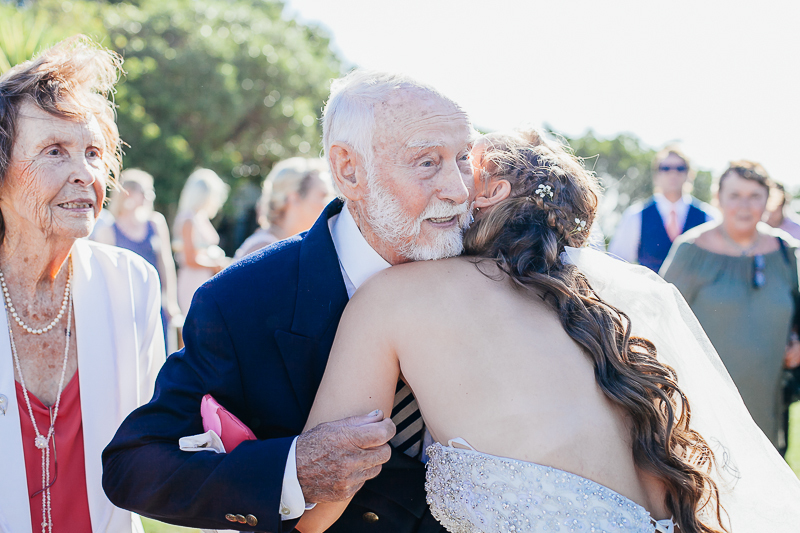 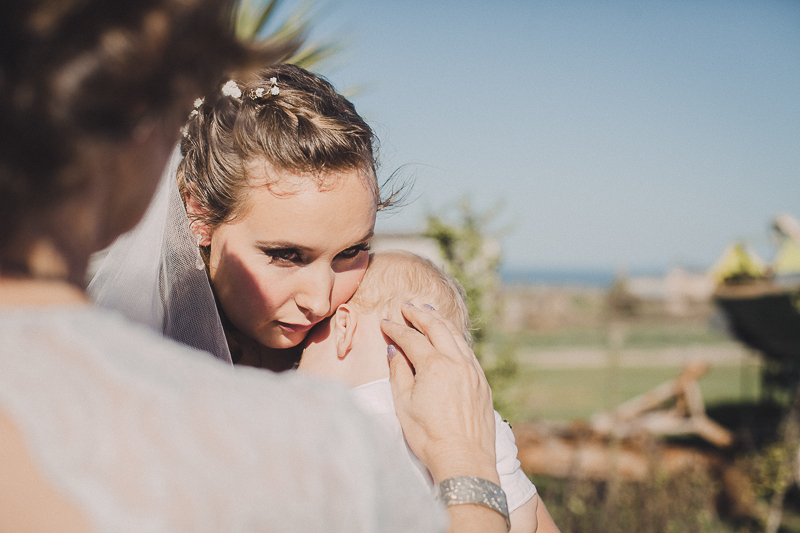 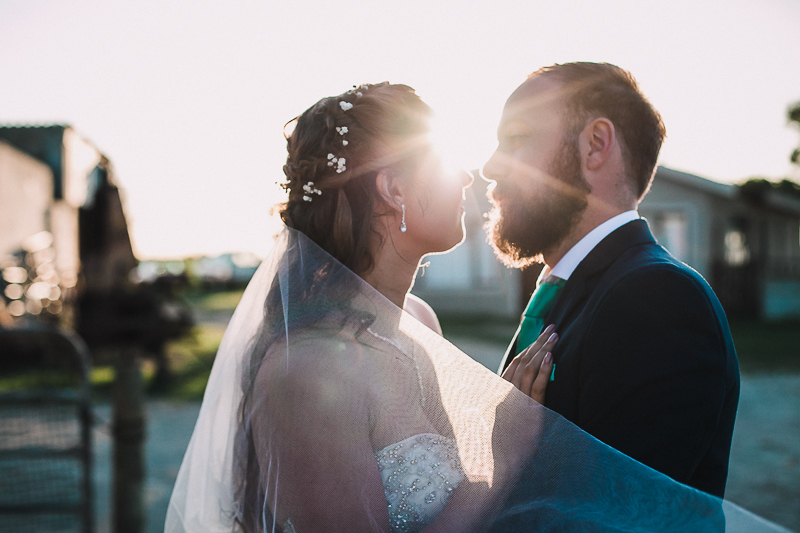 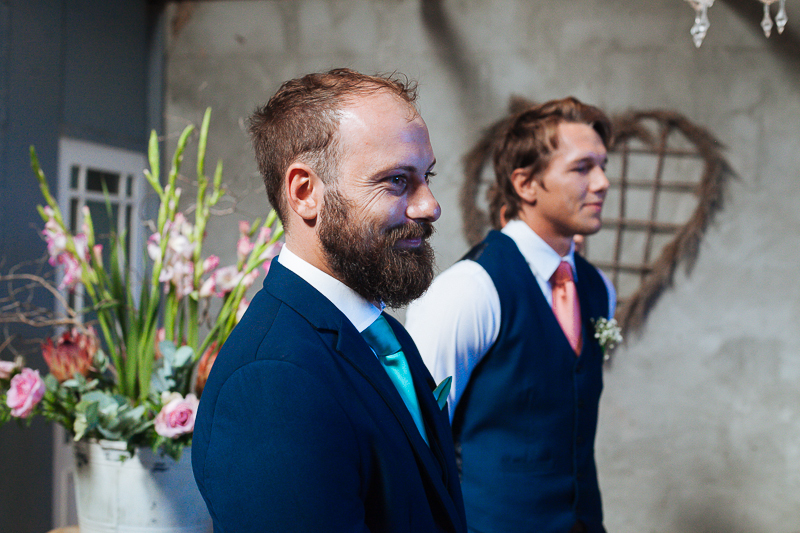 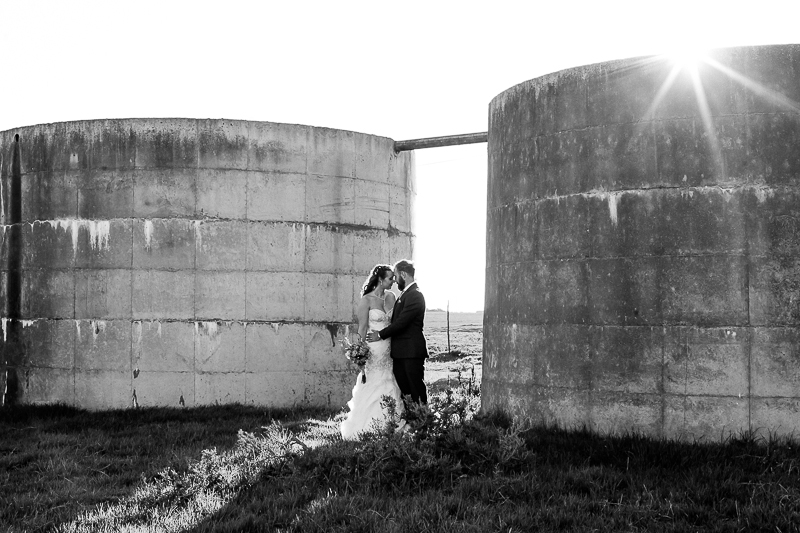 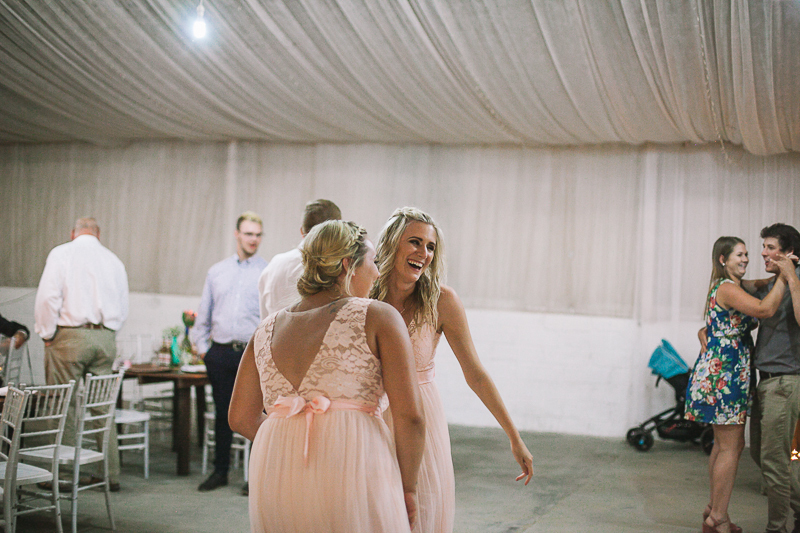 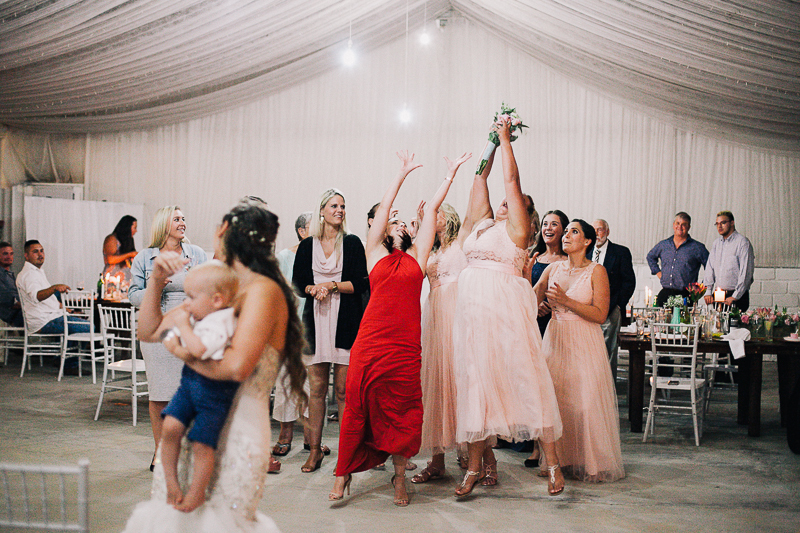 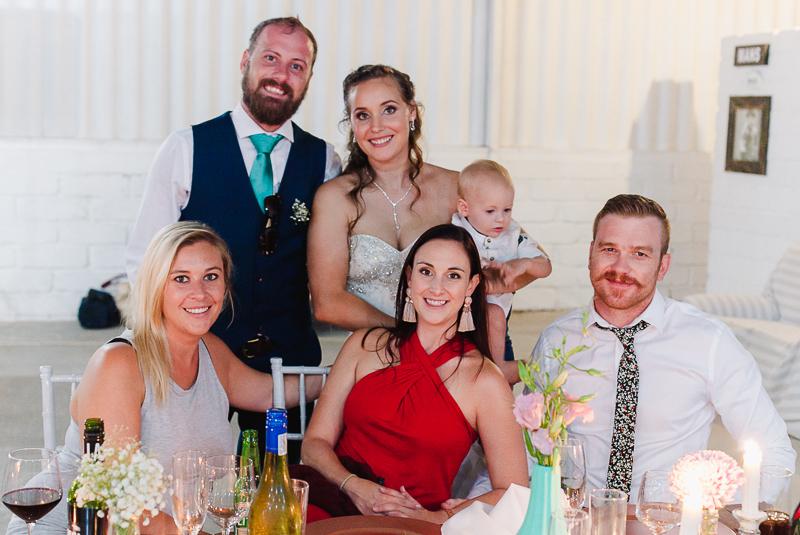 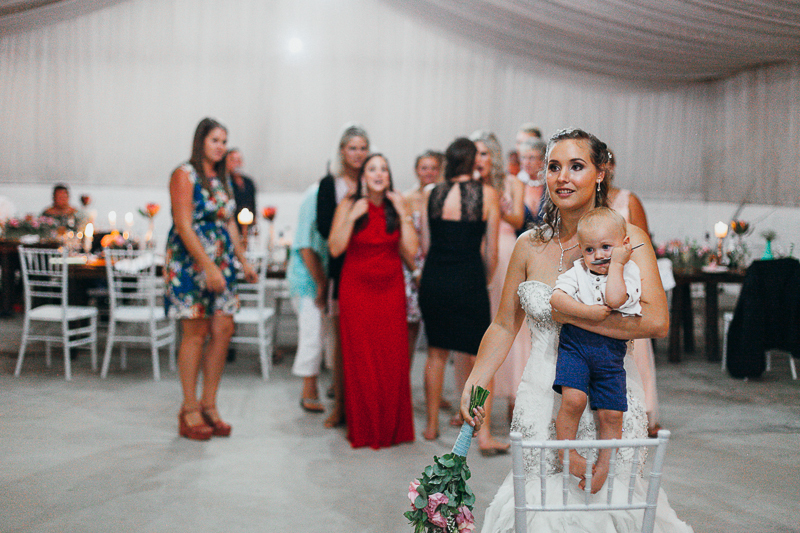 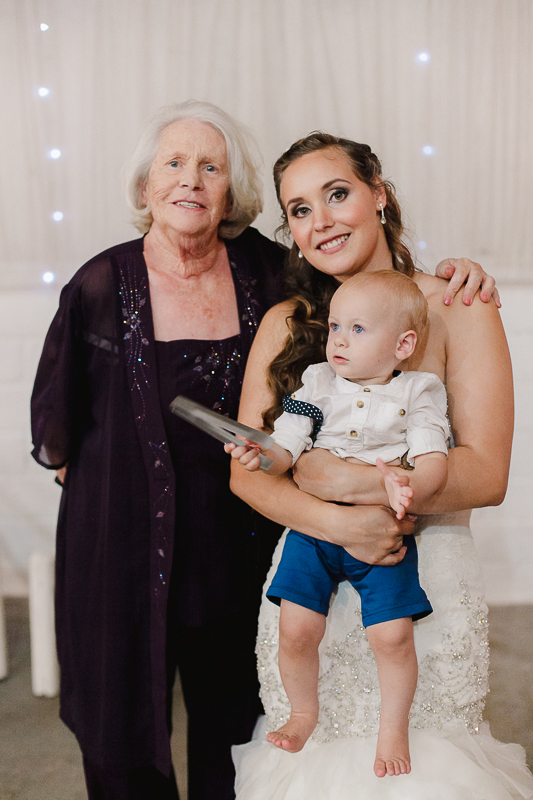 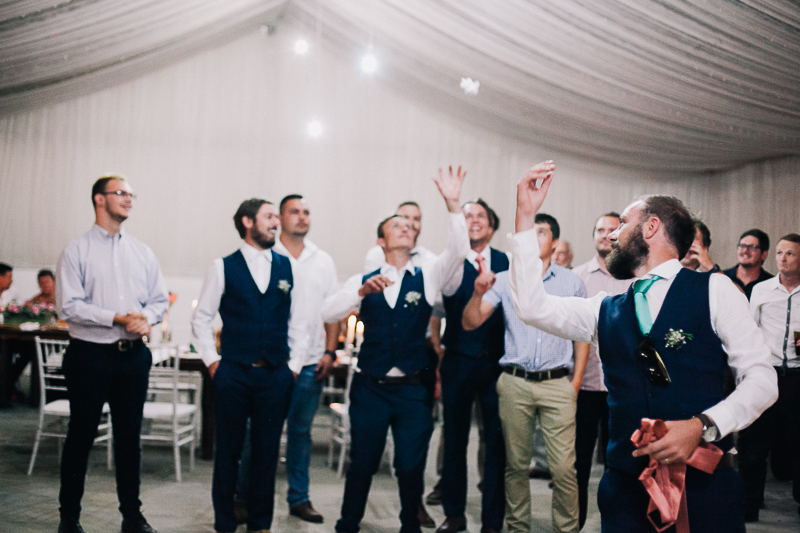 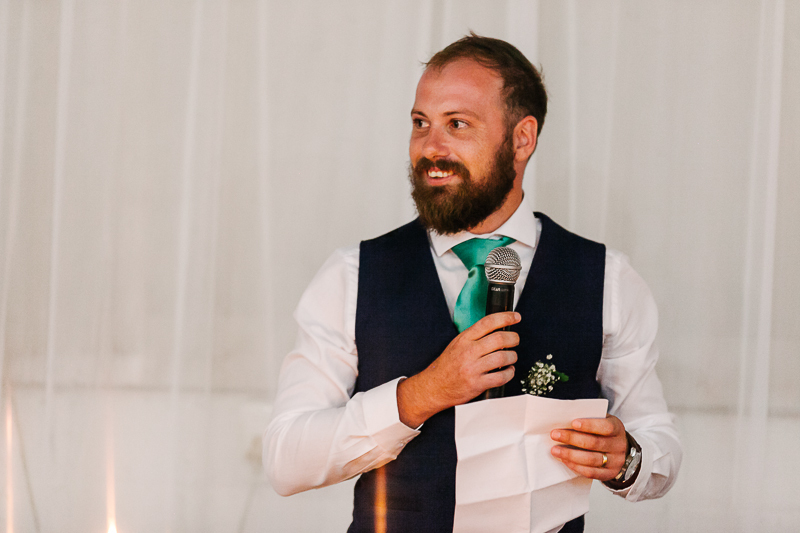 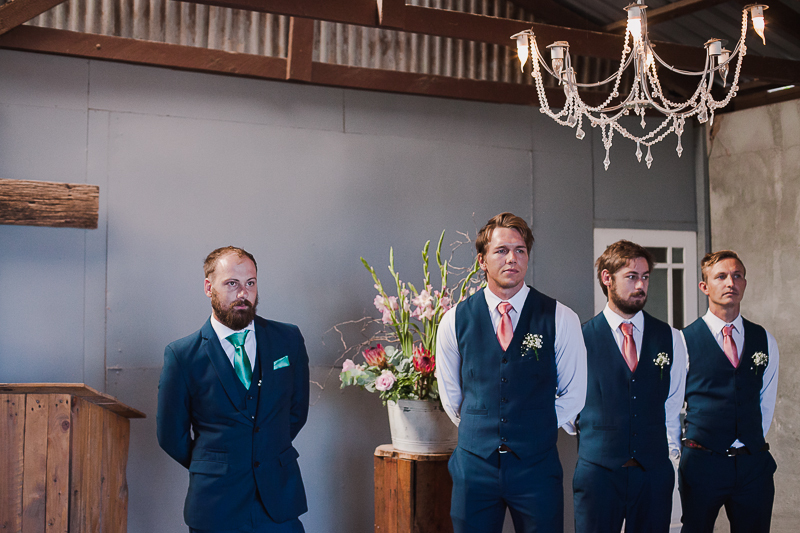 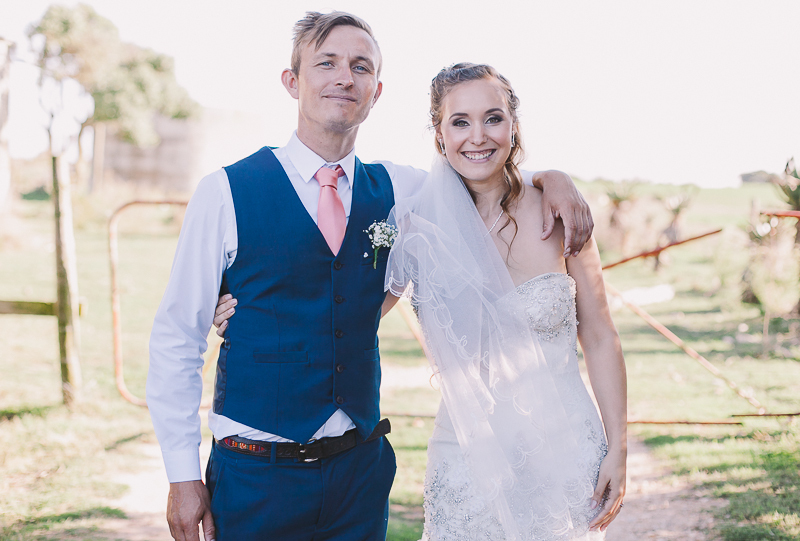 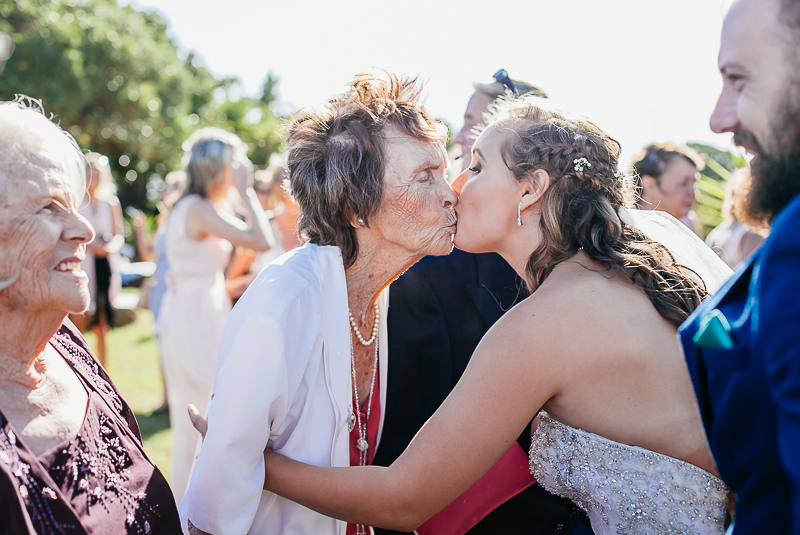 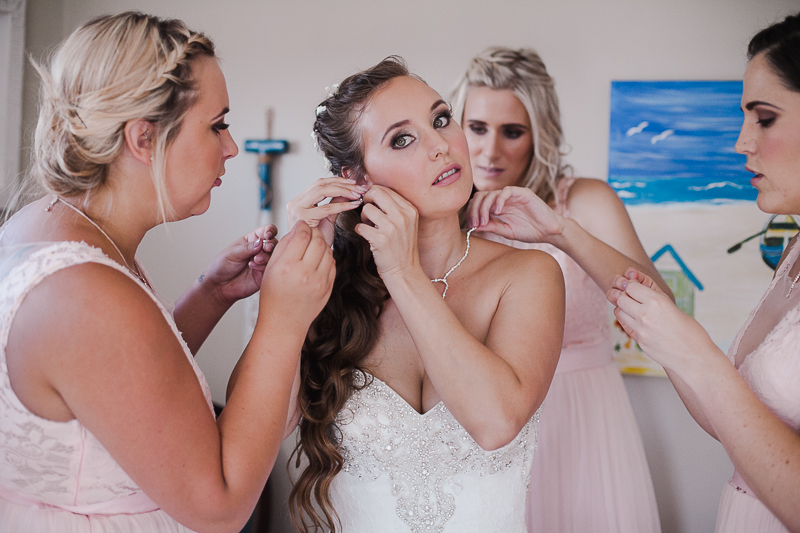 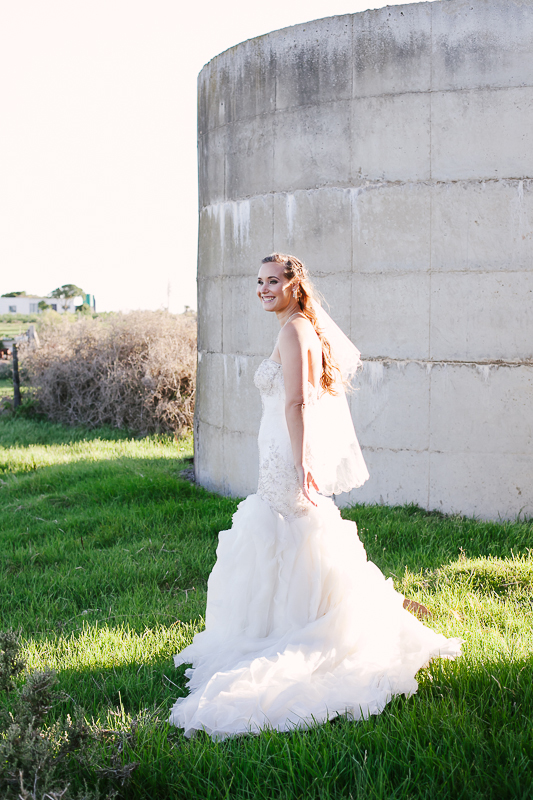 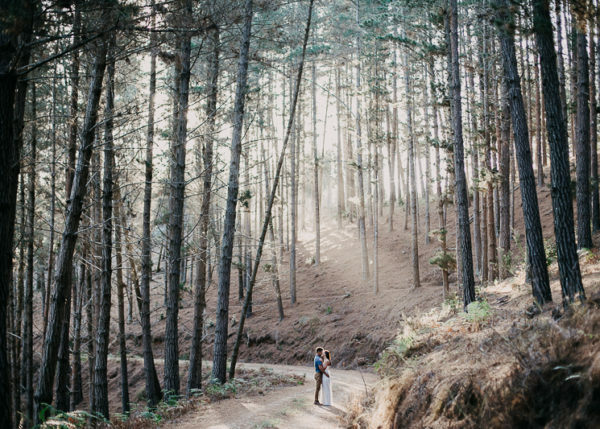 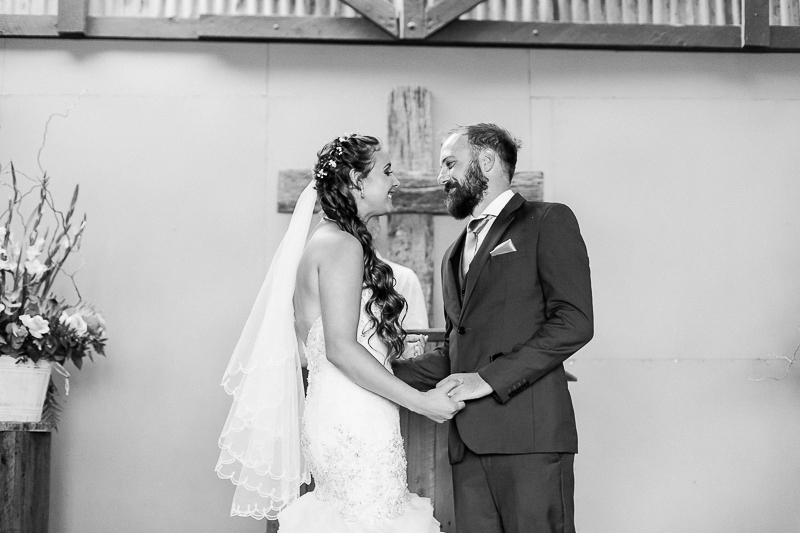 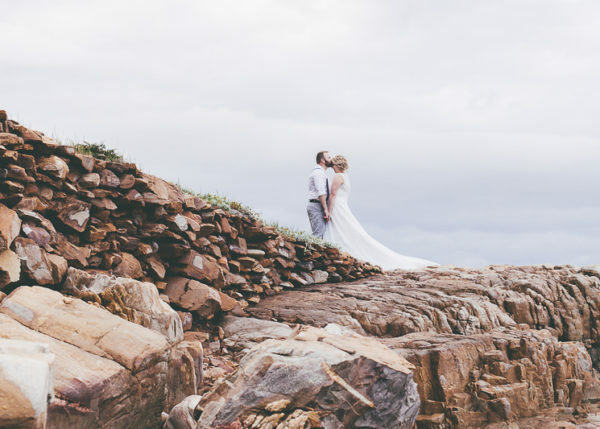 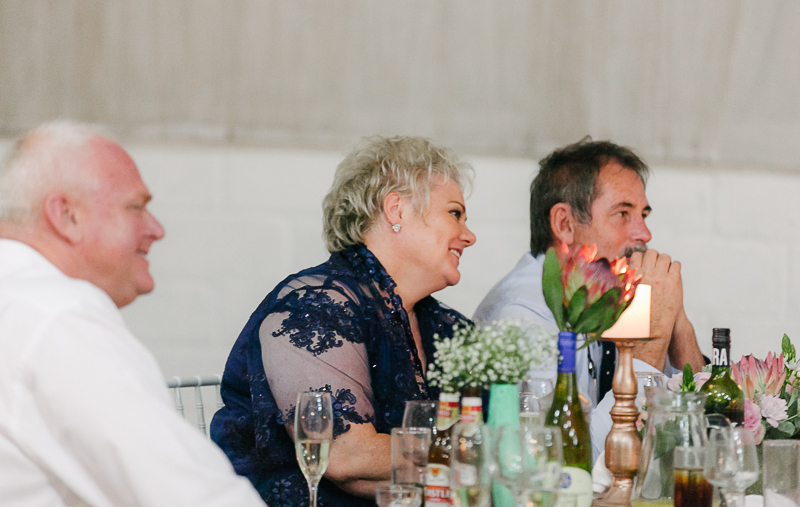 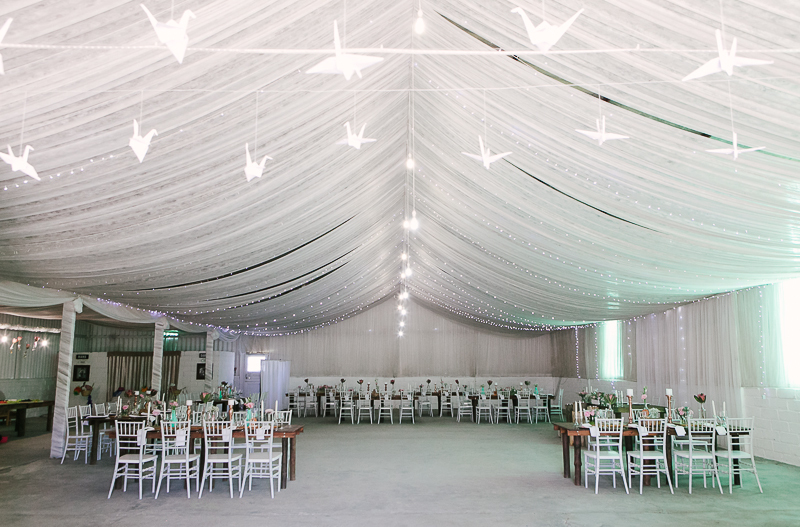 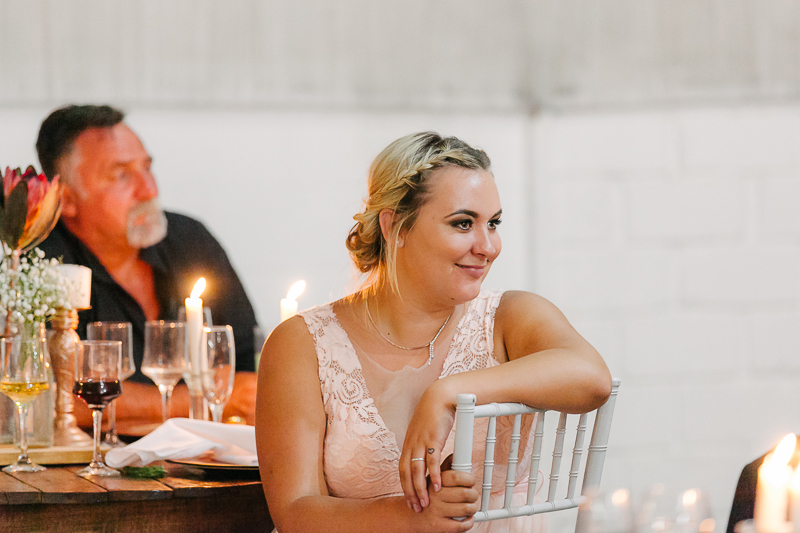 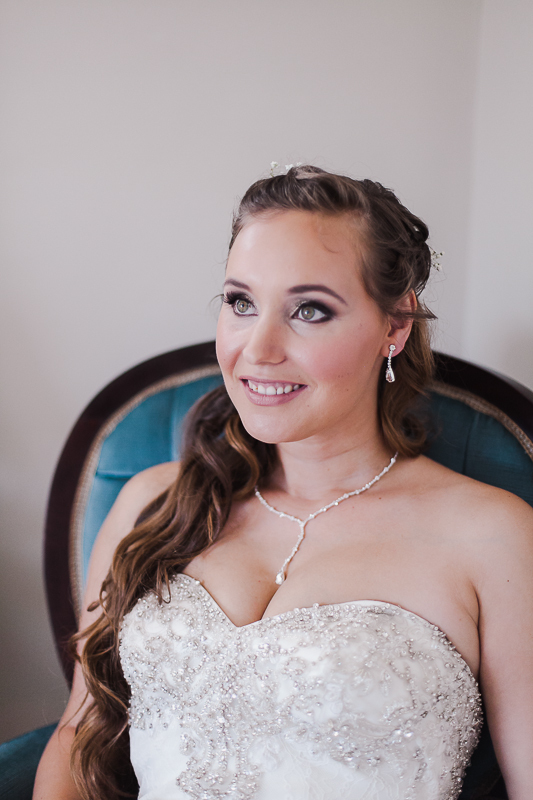 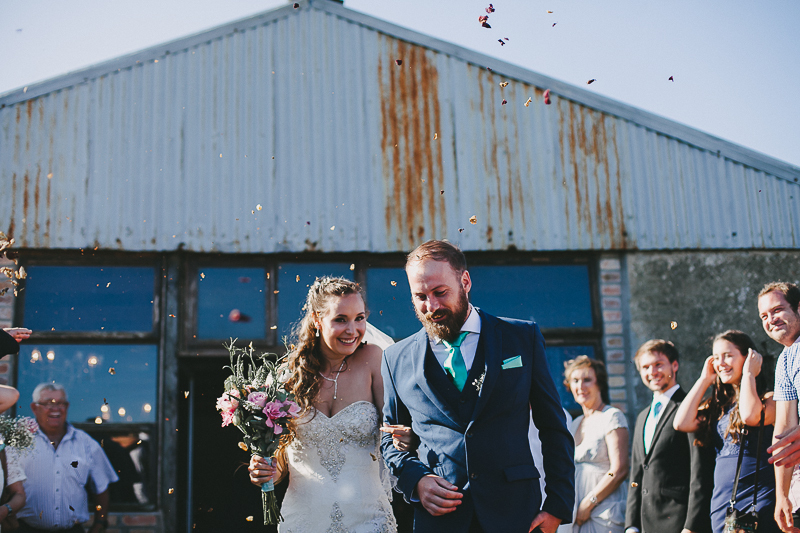 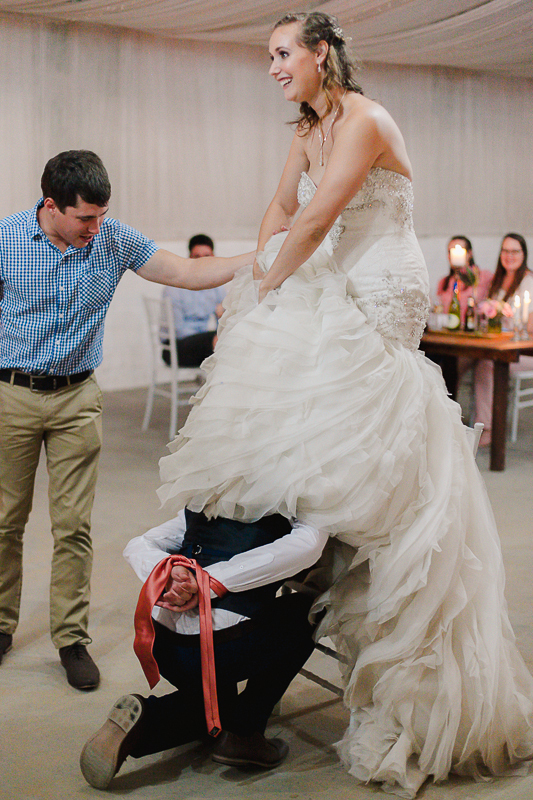 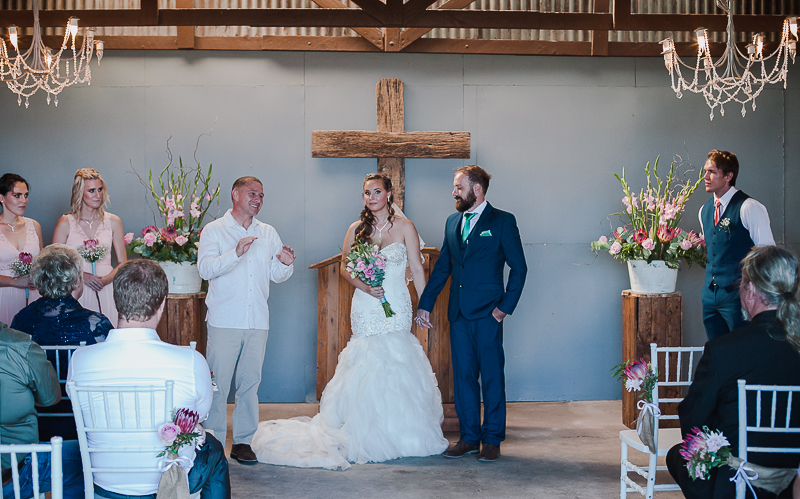 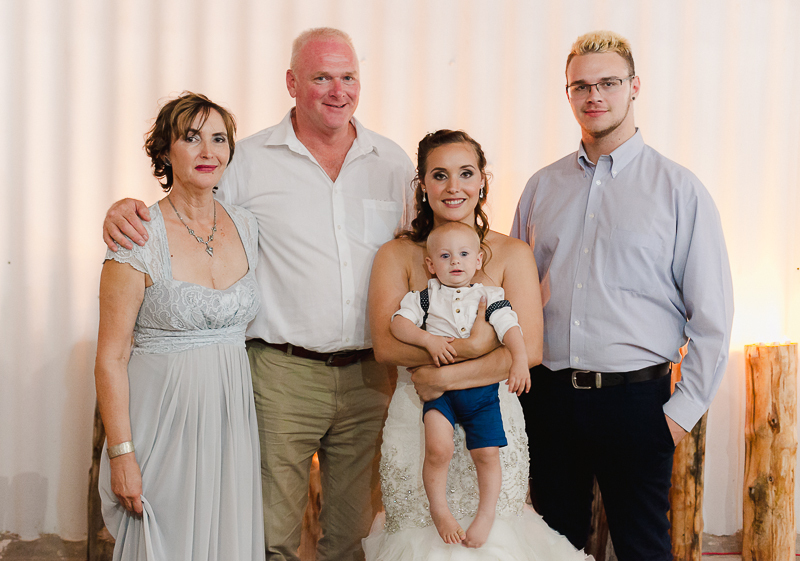 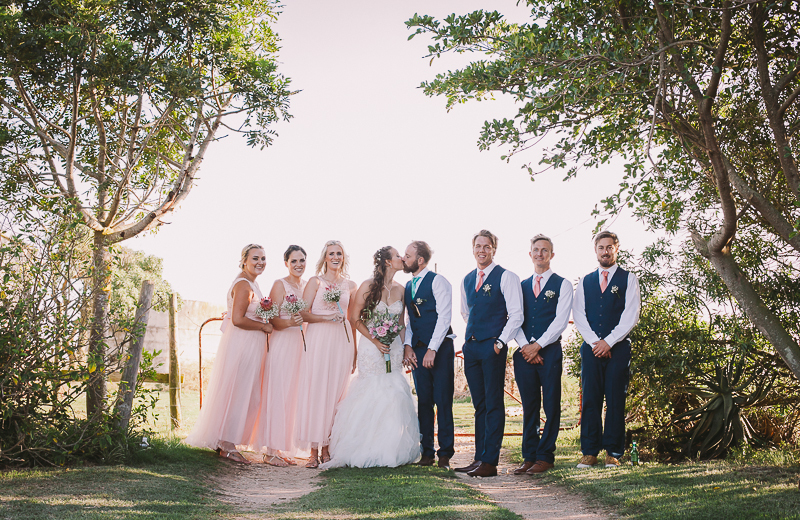 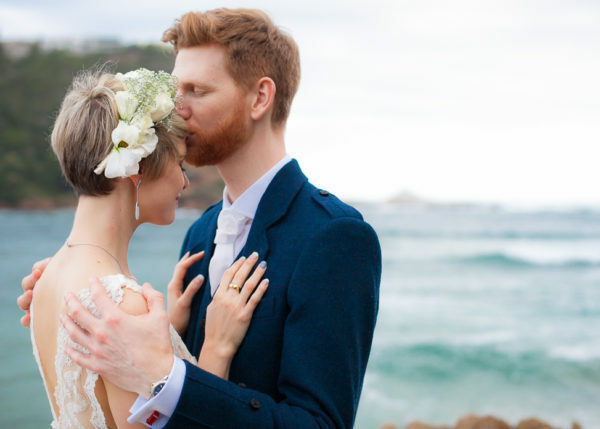 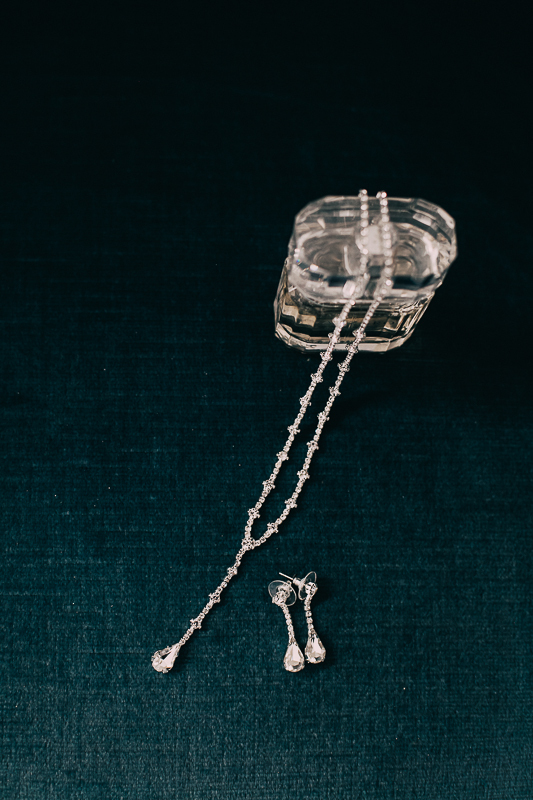 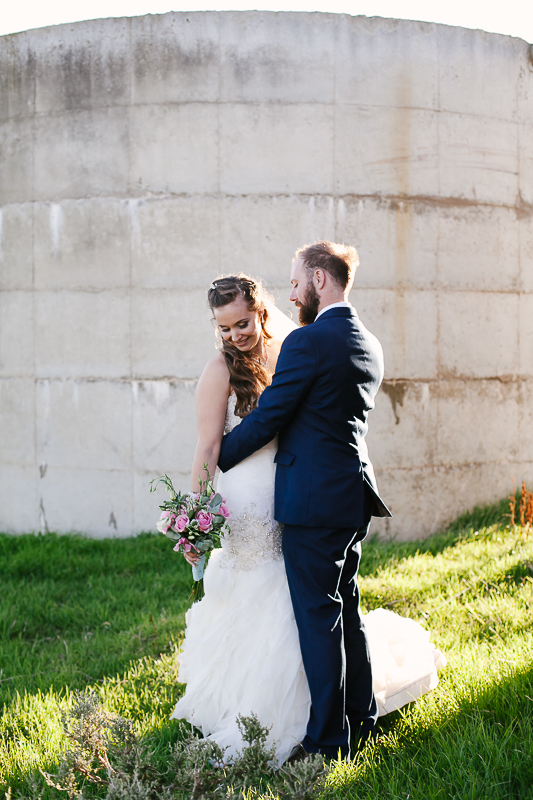 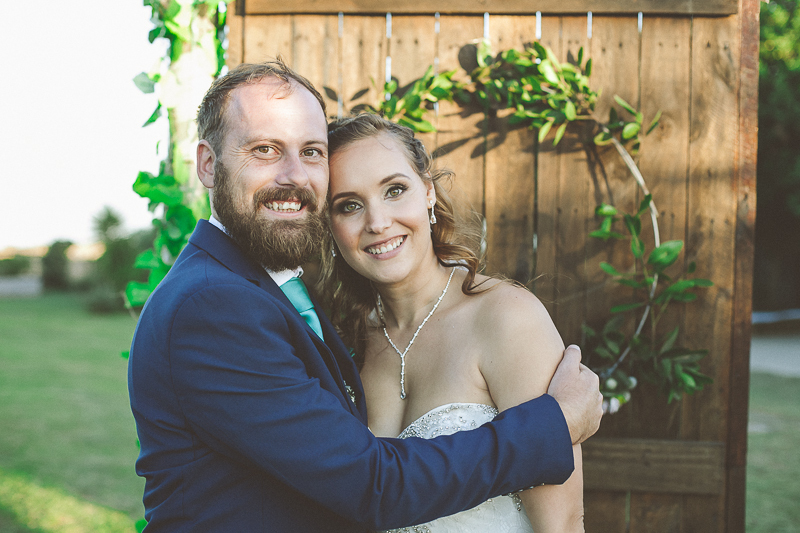 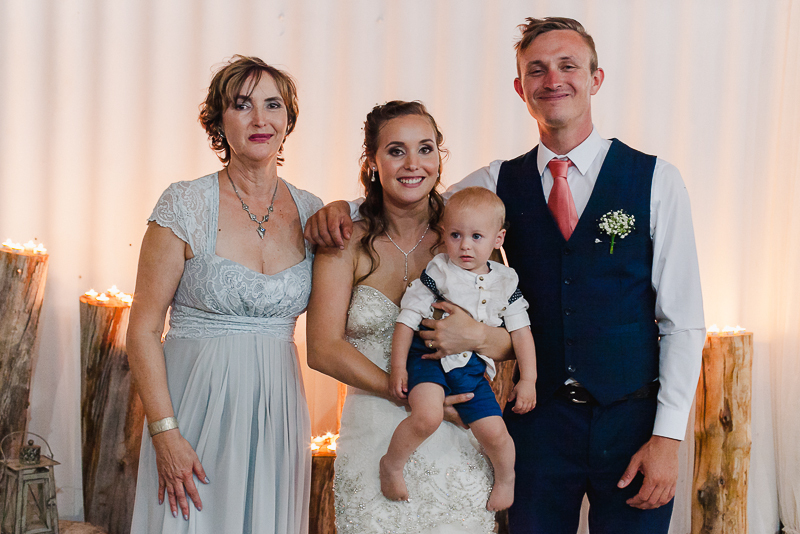 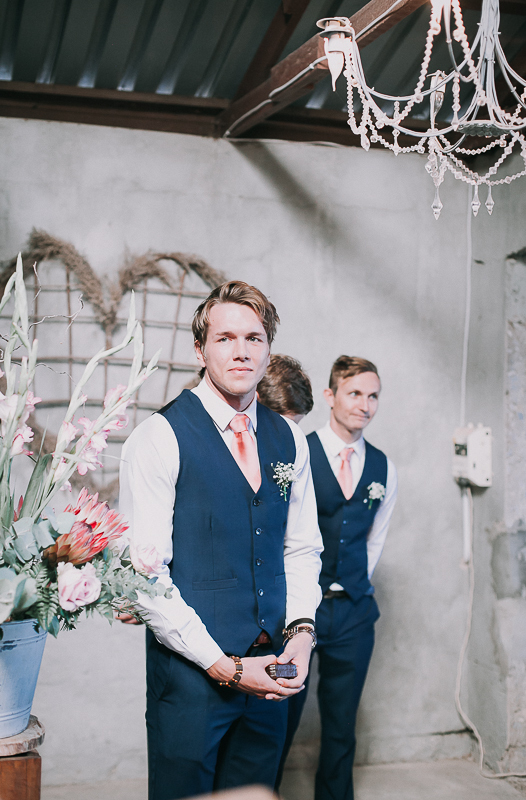 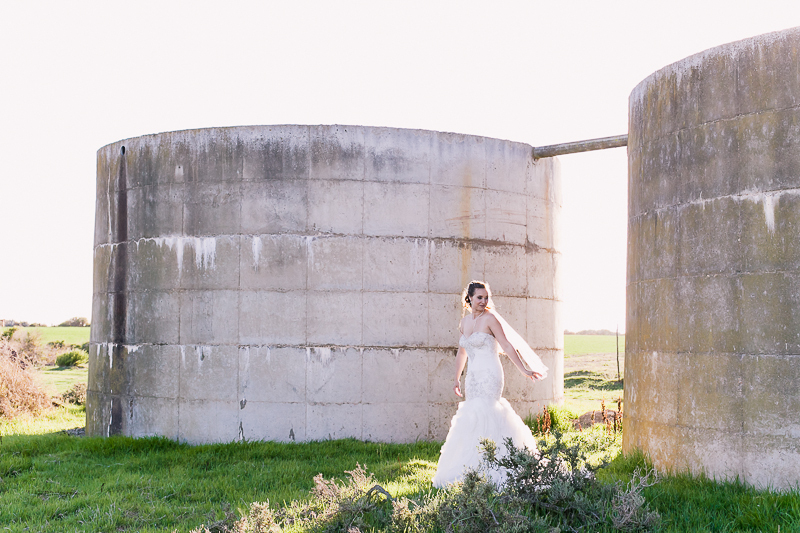 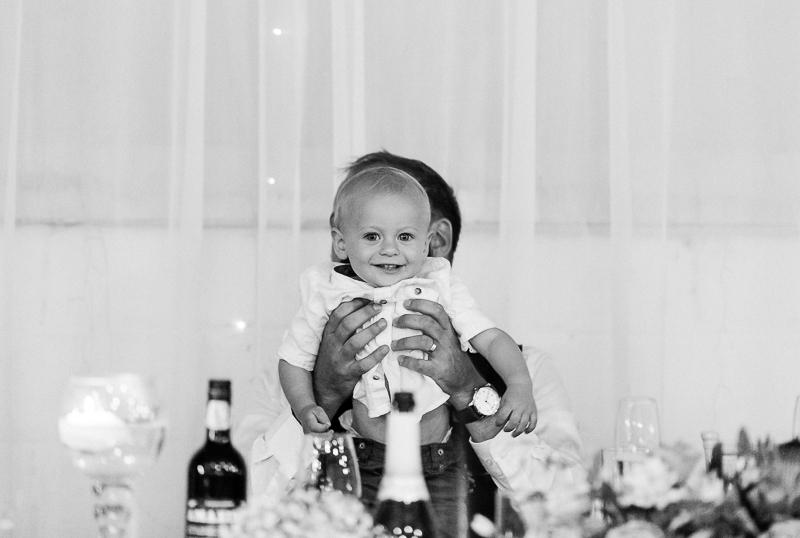 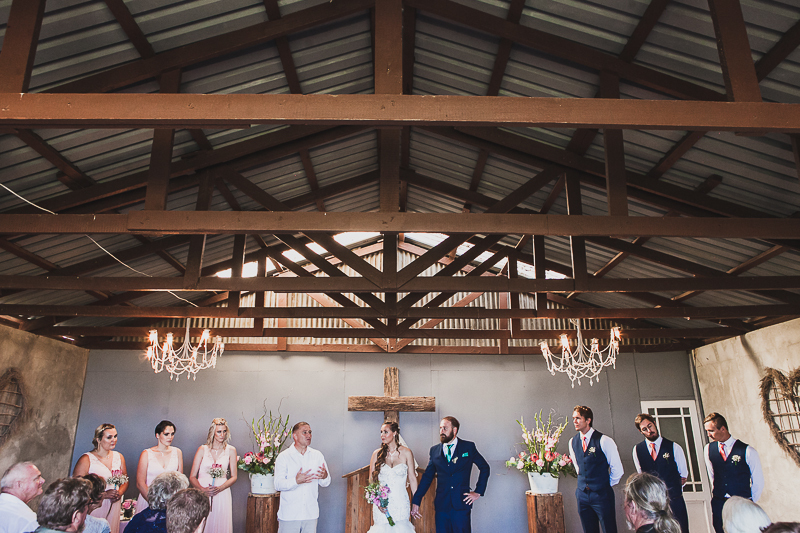 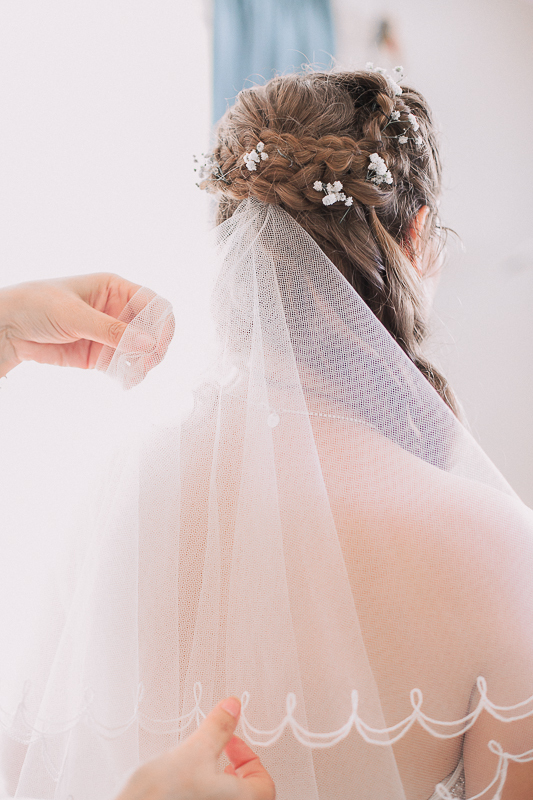 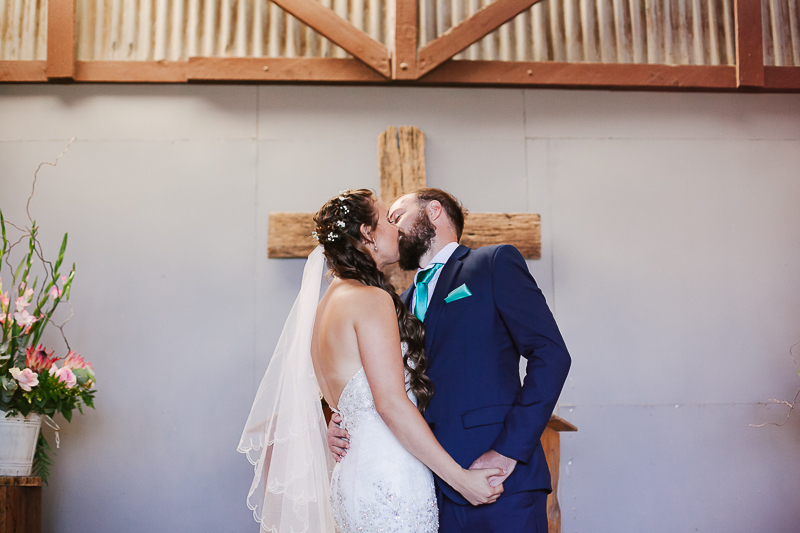 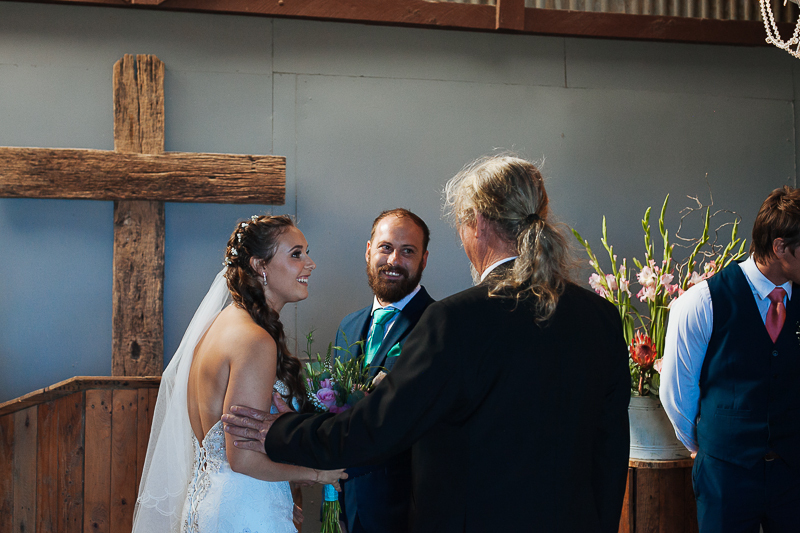 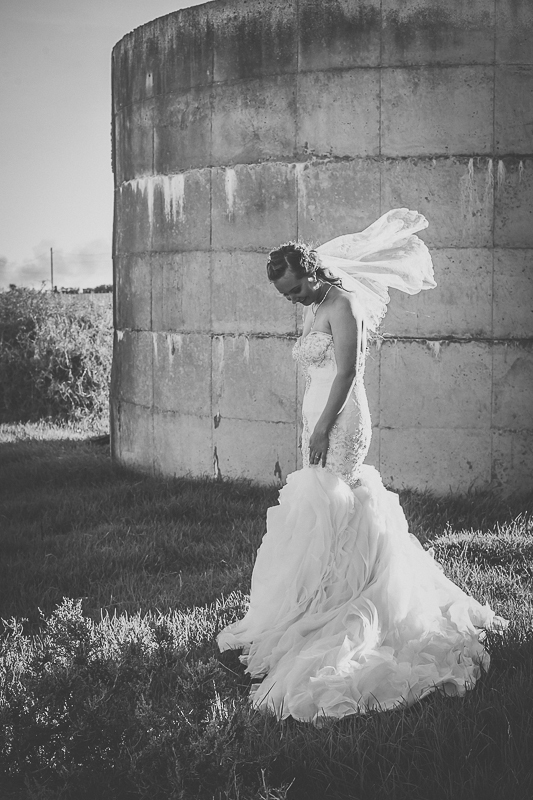 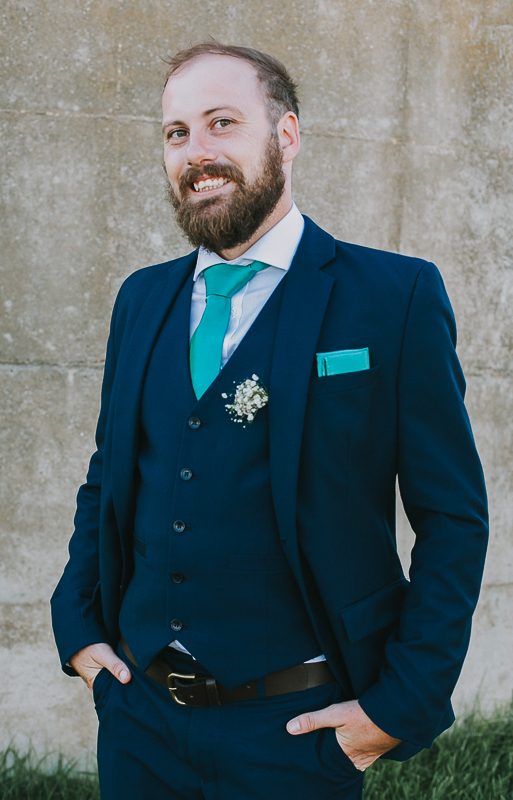 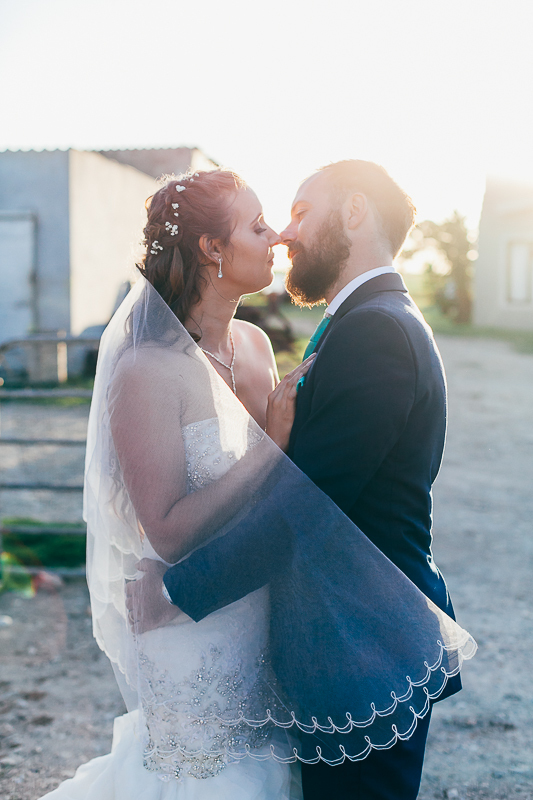 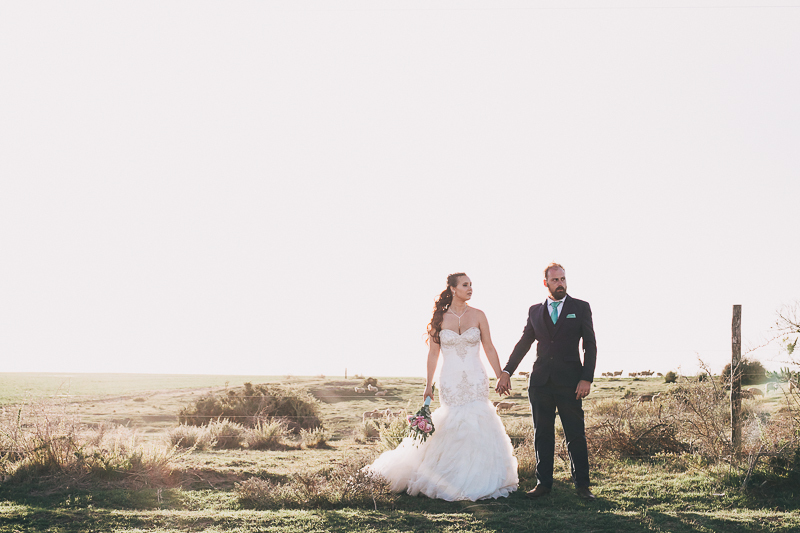 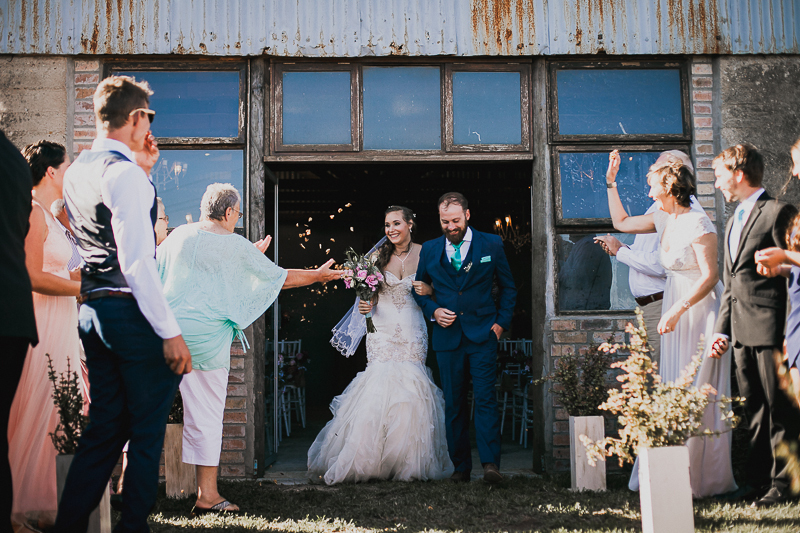 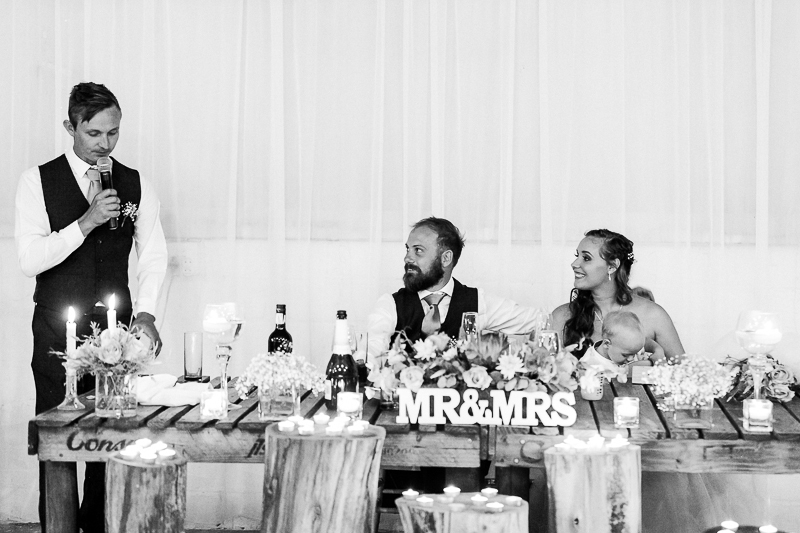 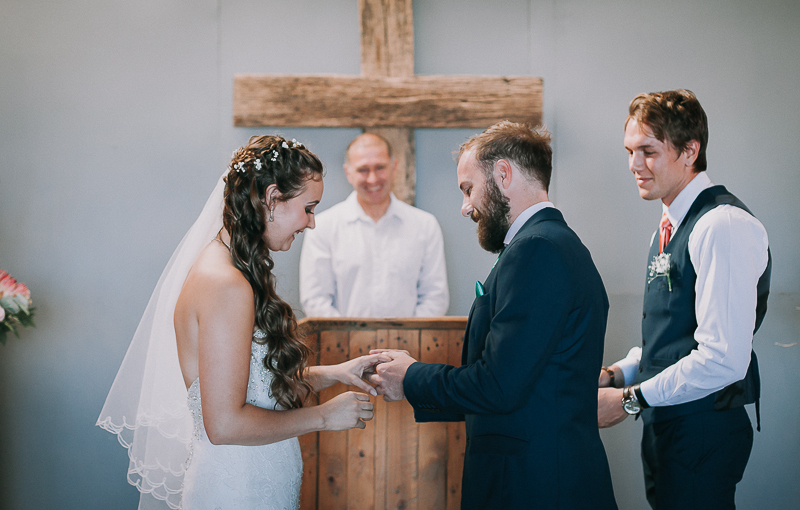 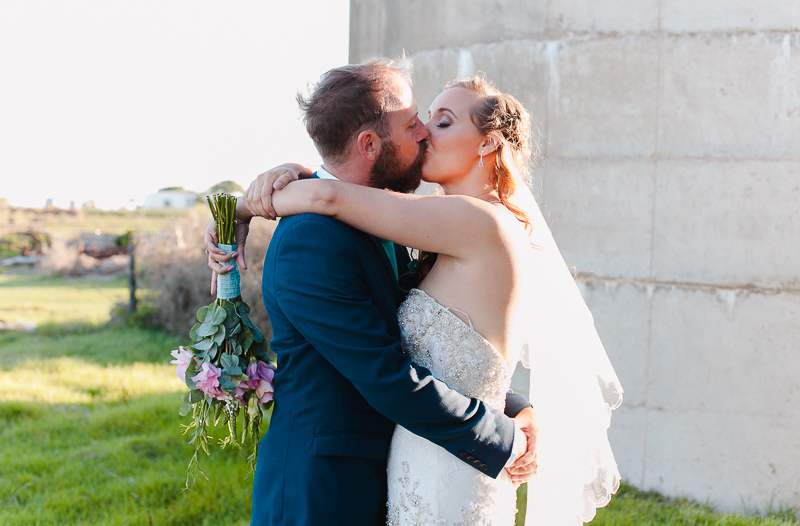 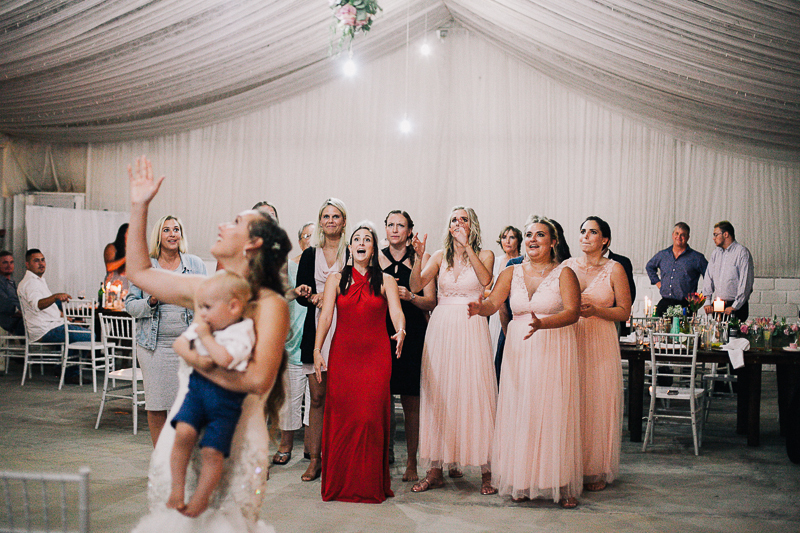 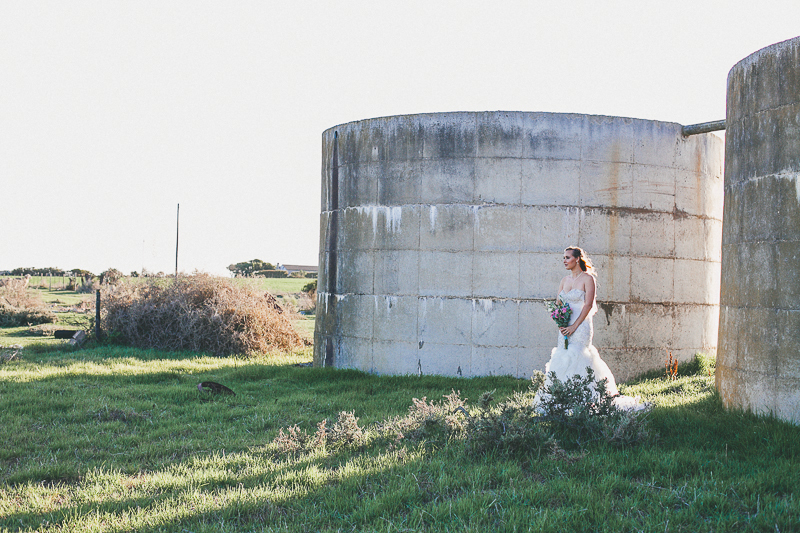 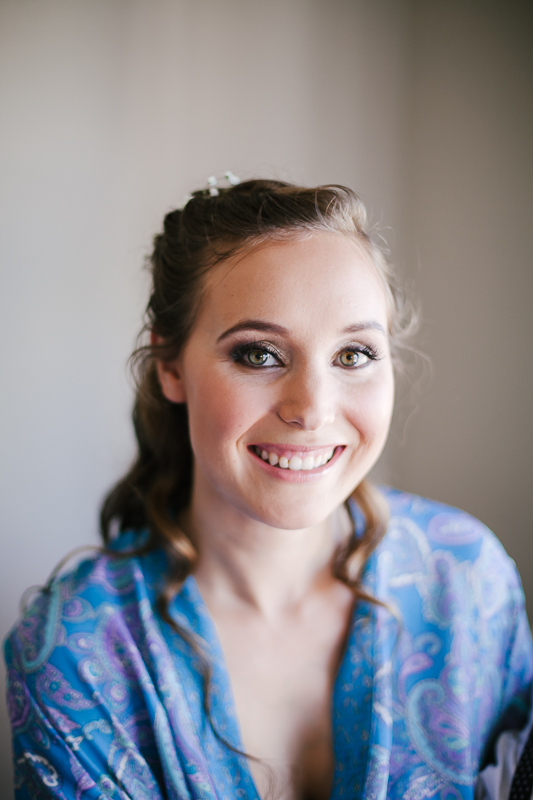 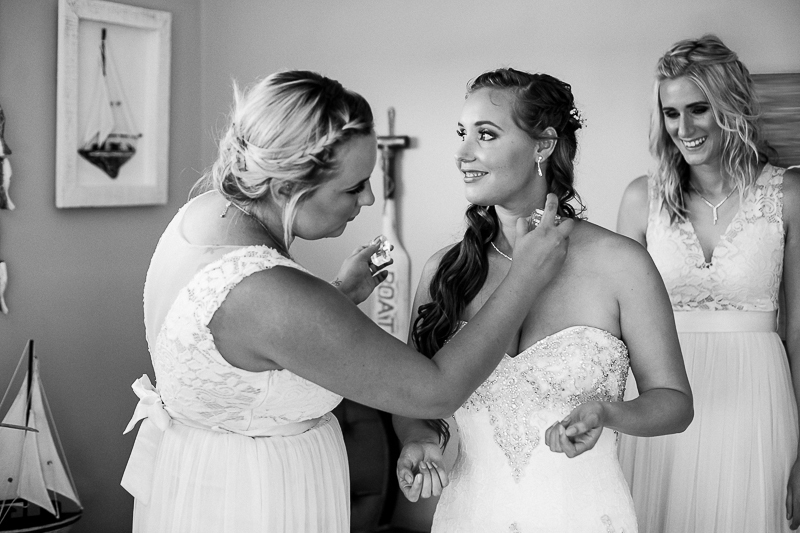 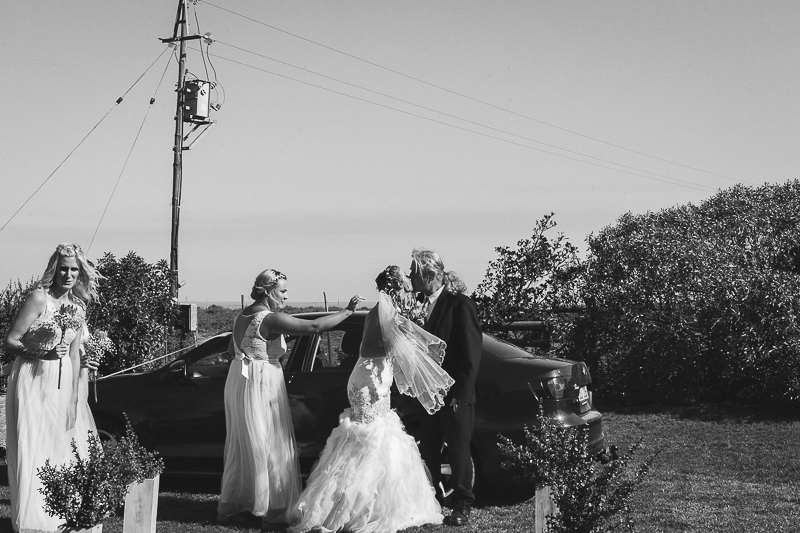 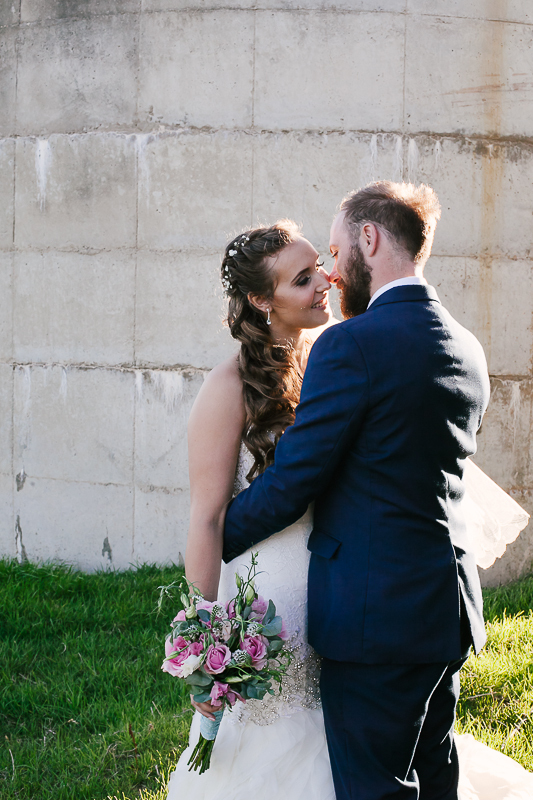 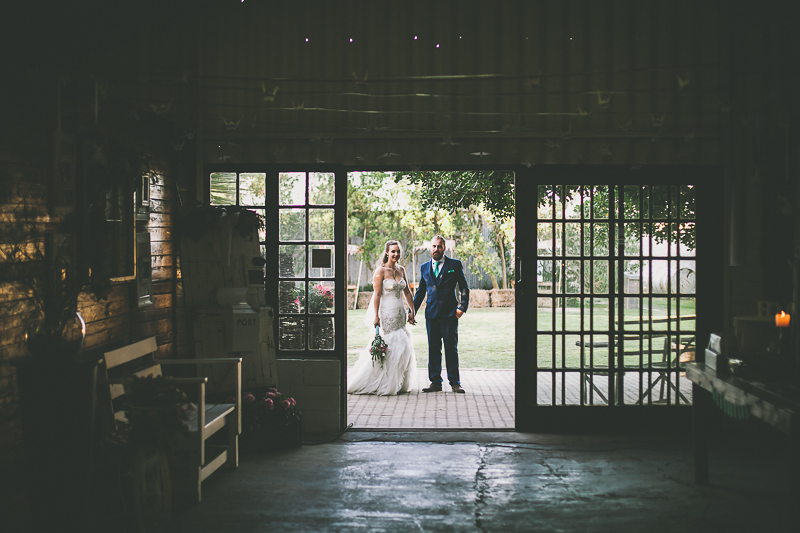 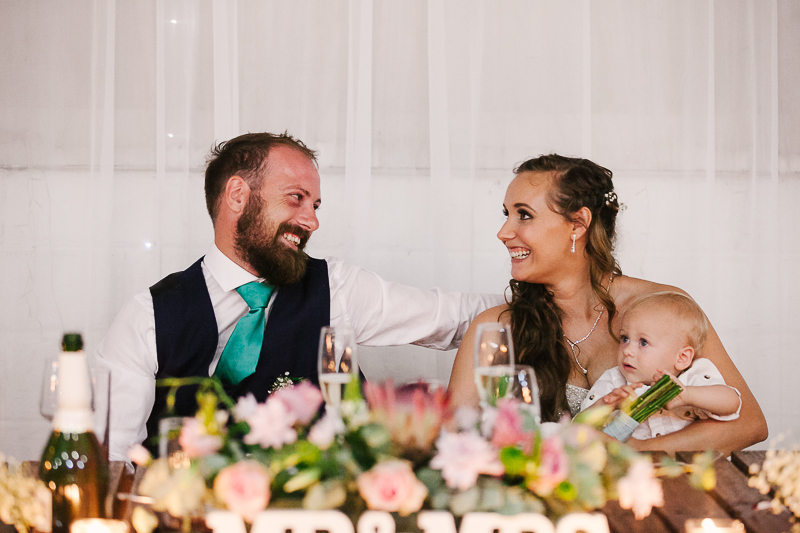 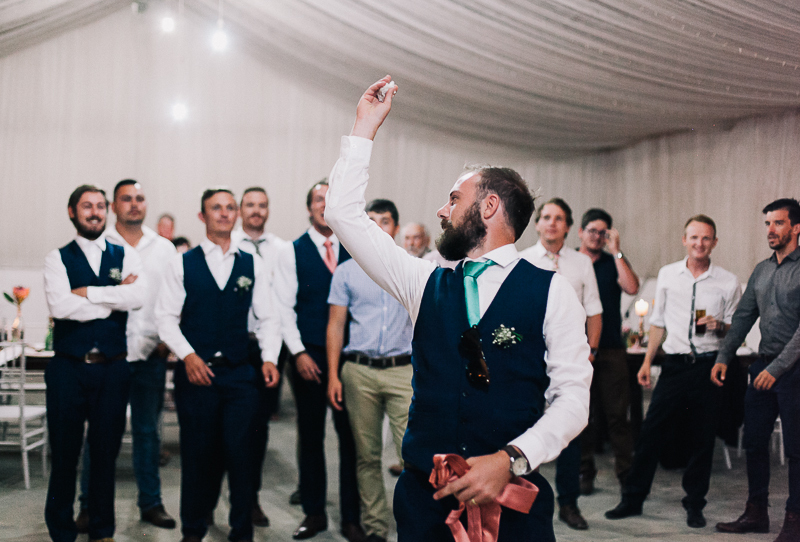 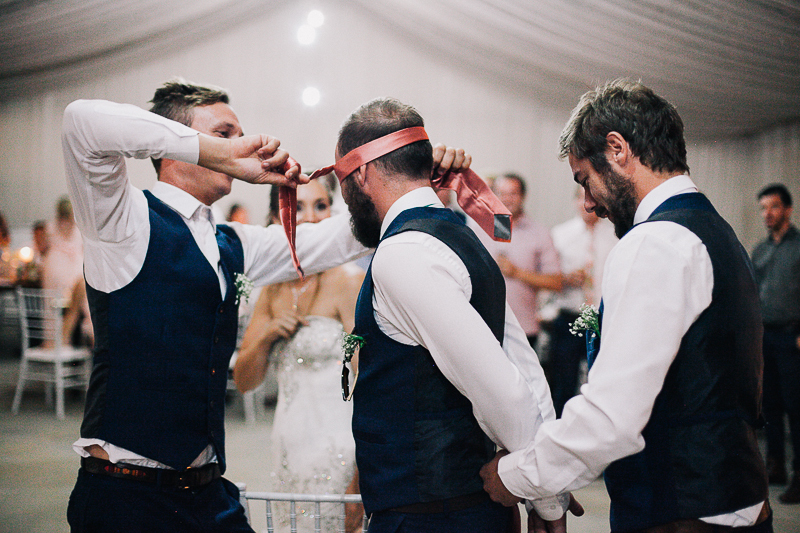 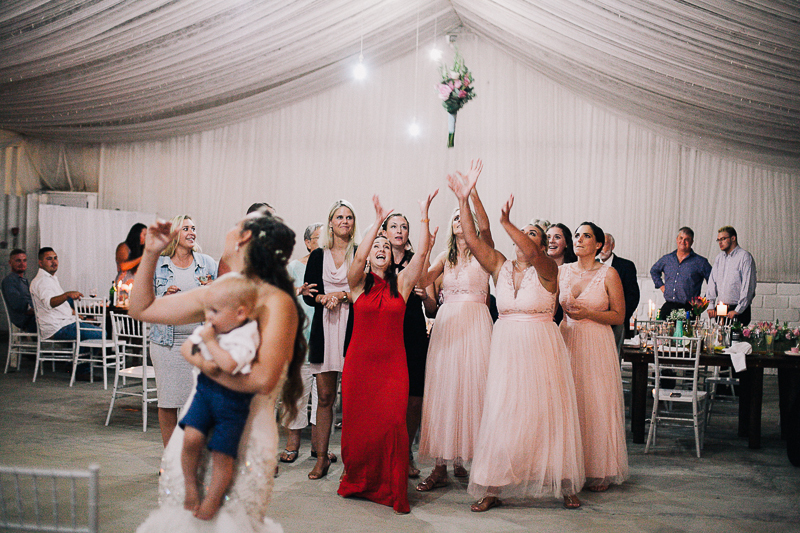 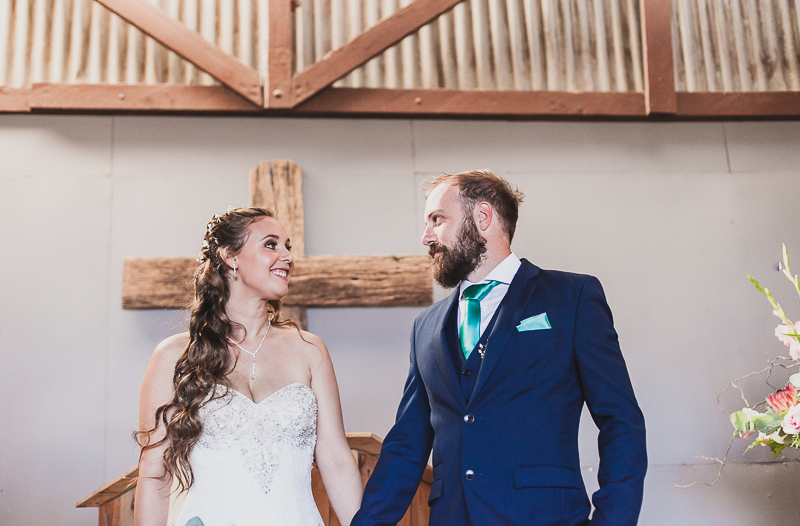 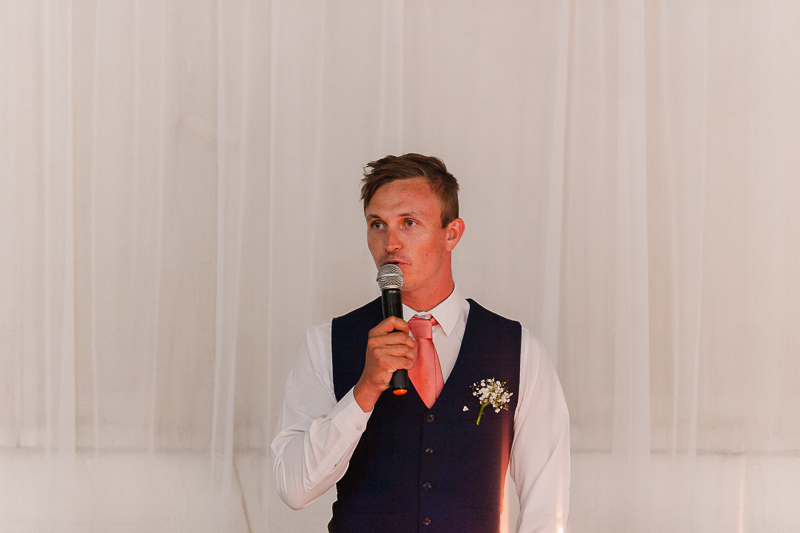 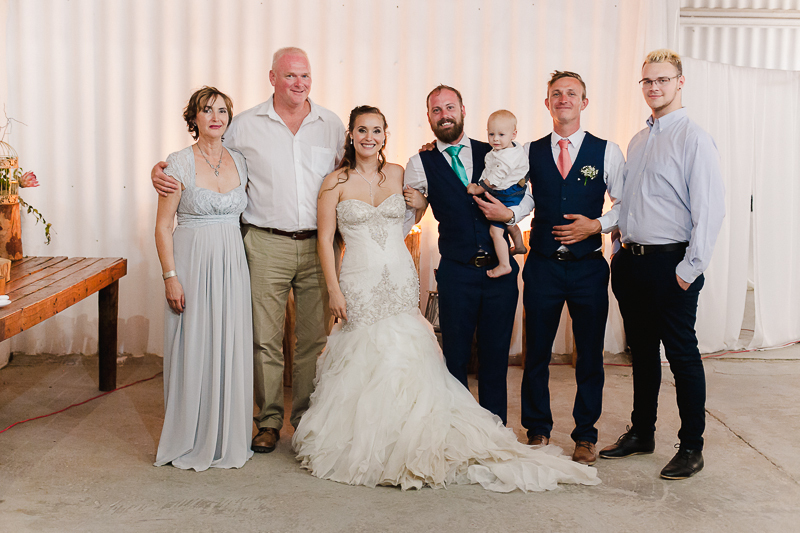 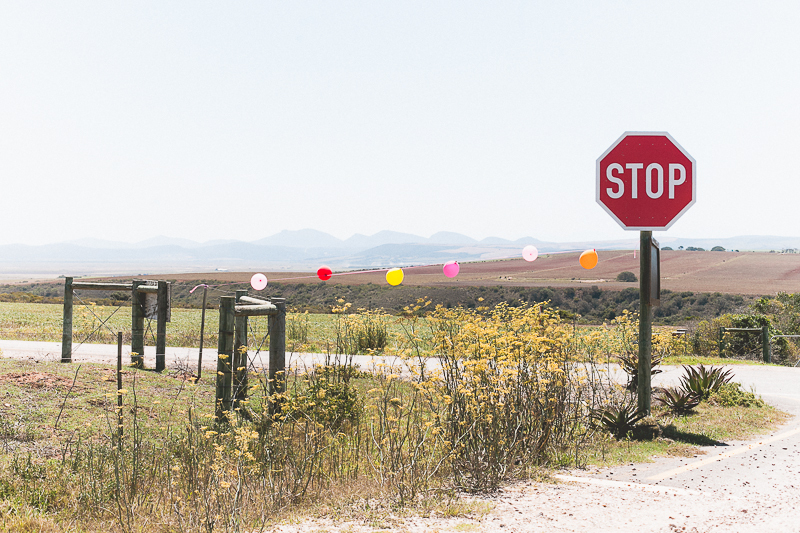 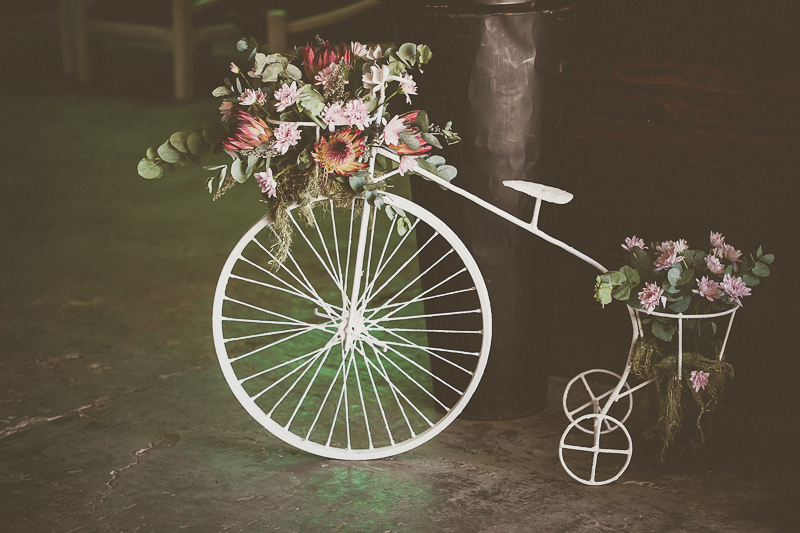 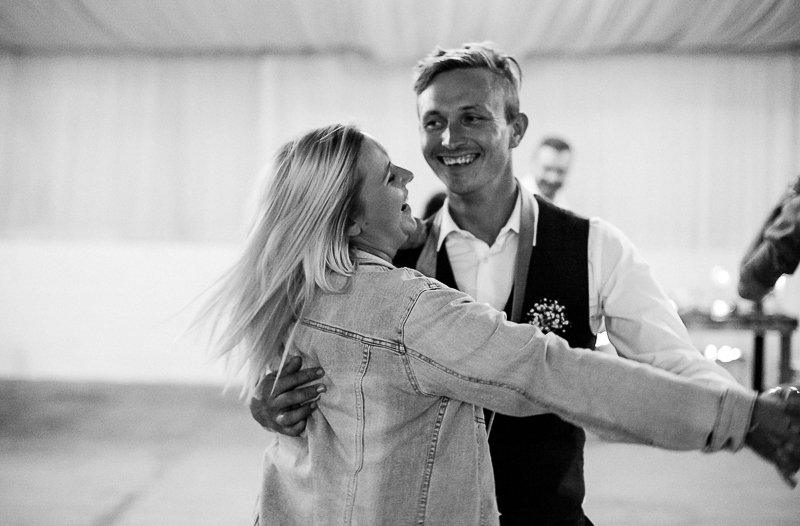 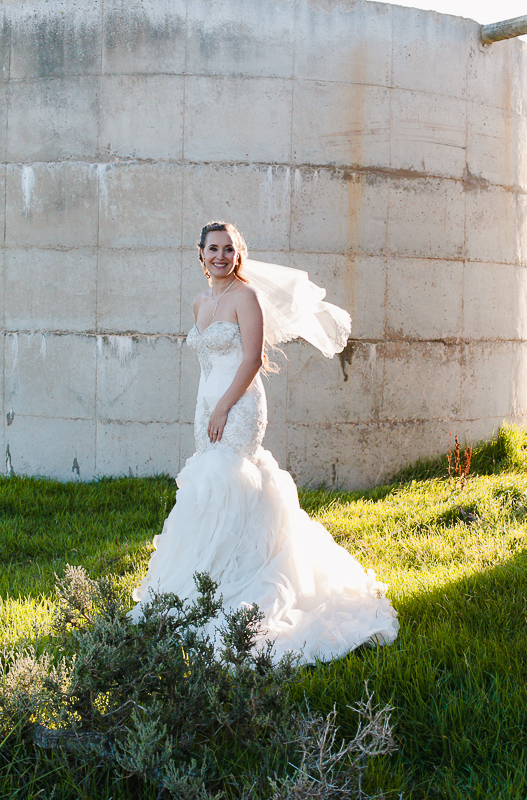 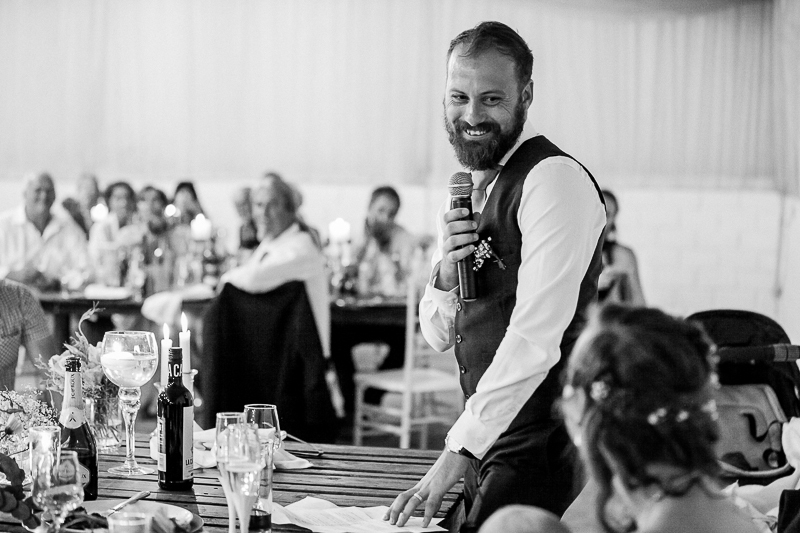 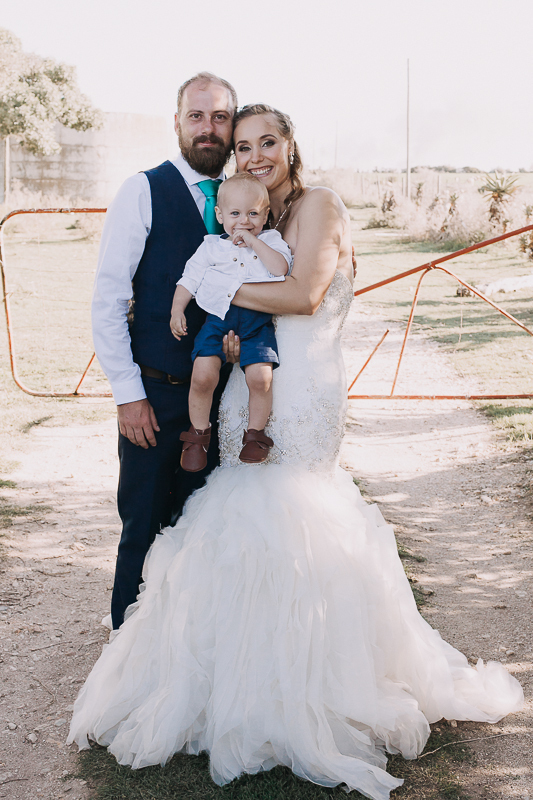 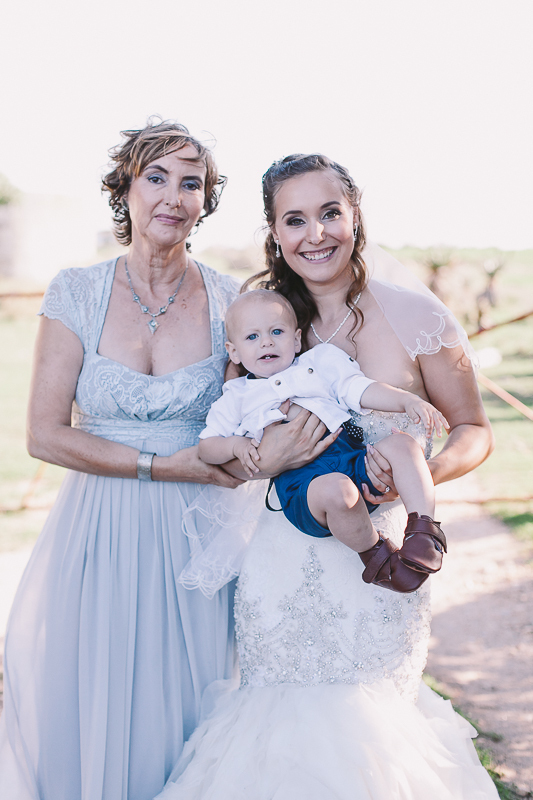 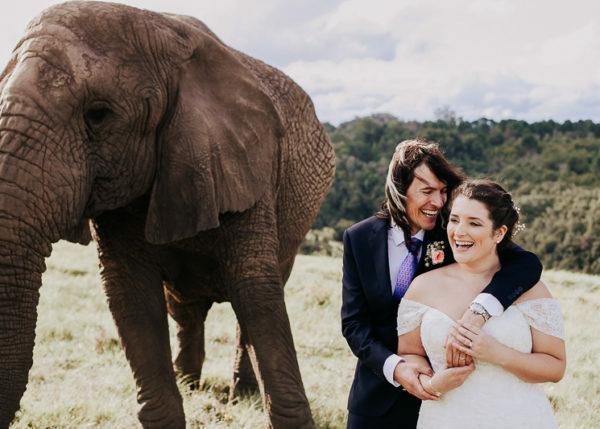 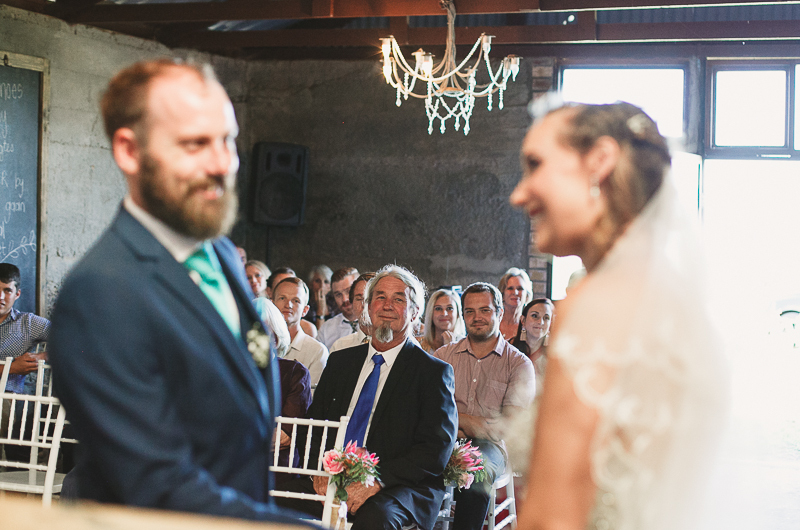 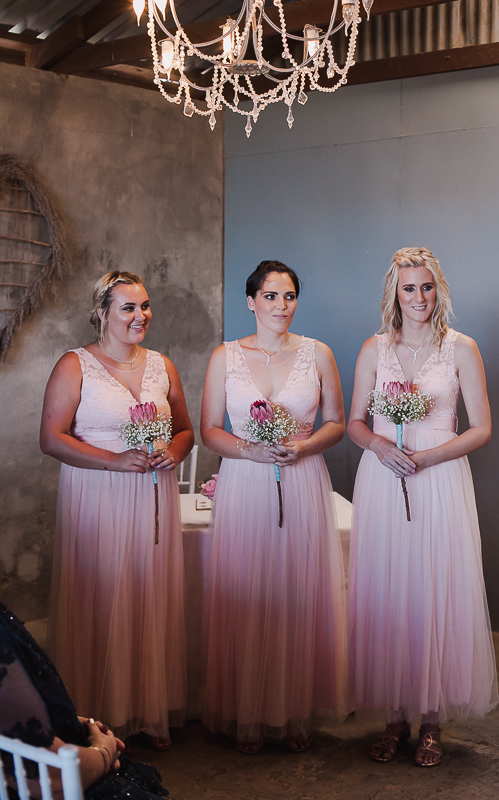 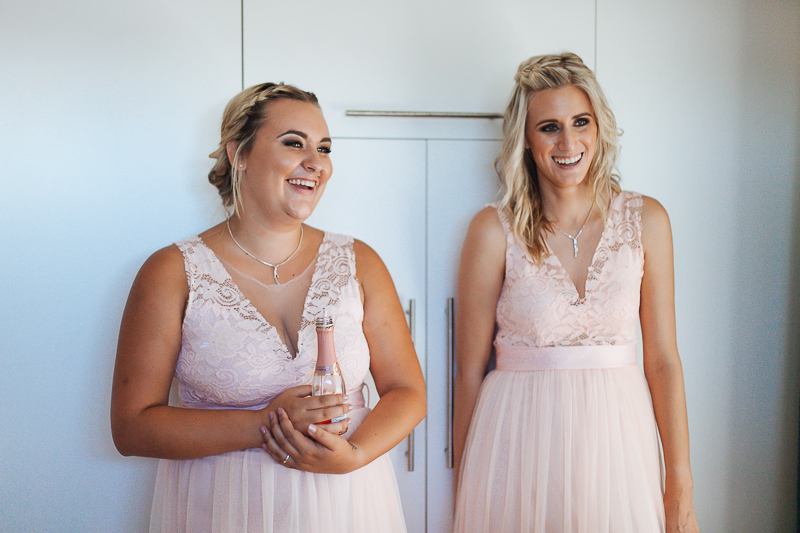 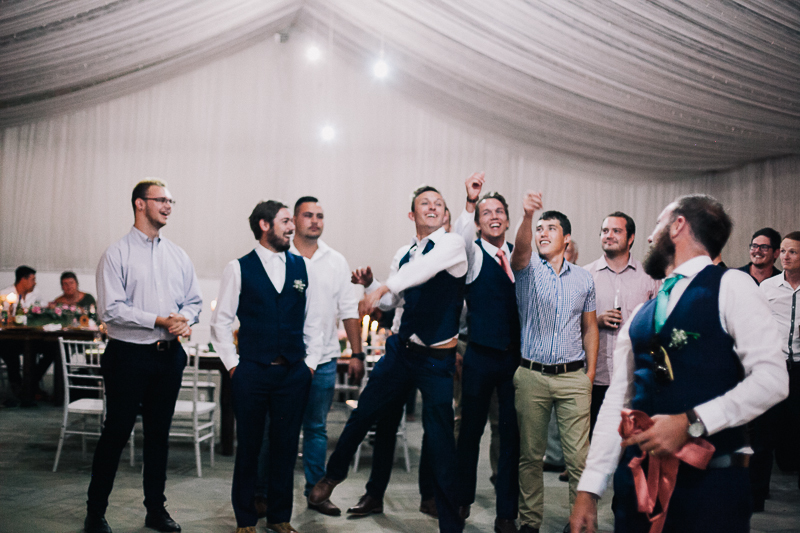 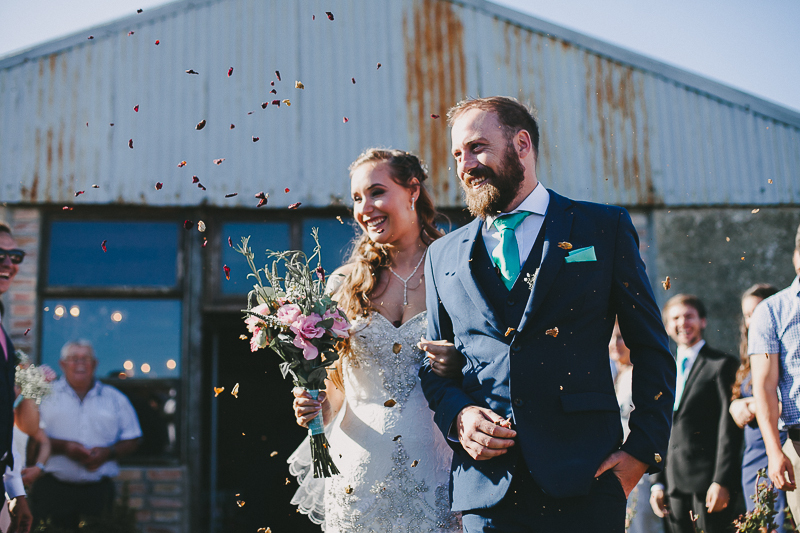 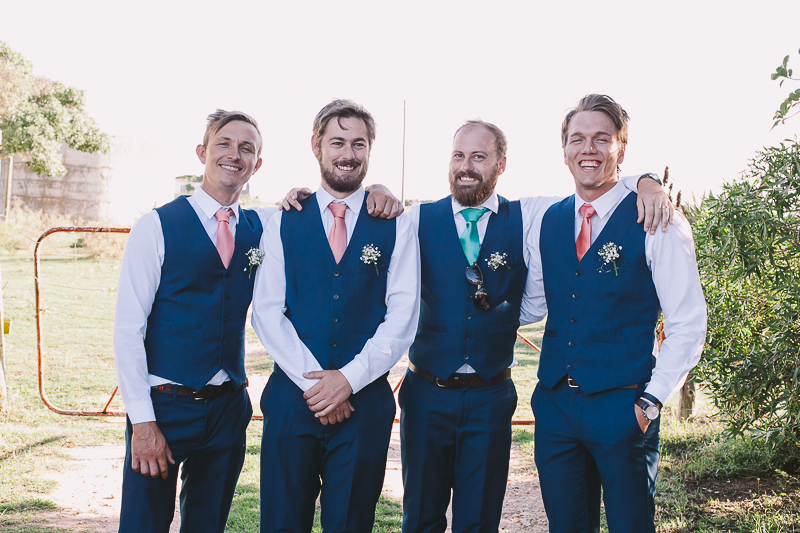 We chose Francois van Coke – Die Wêreld is Mal as the song, but the day before the wedding we just decided not to do the dance as it was stressing us both out. 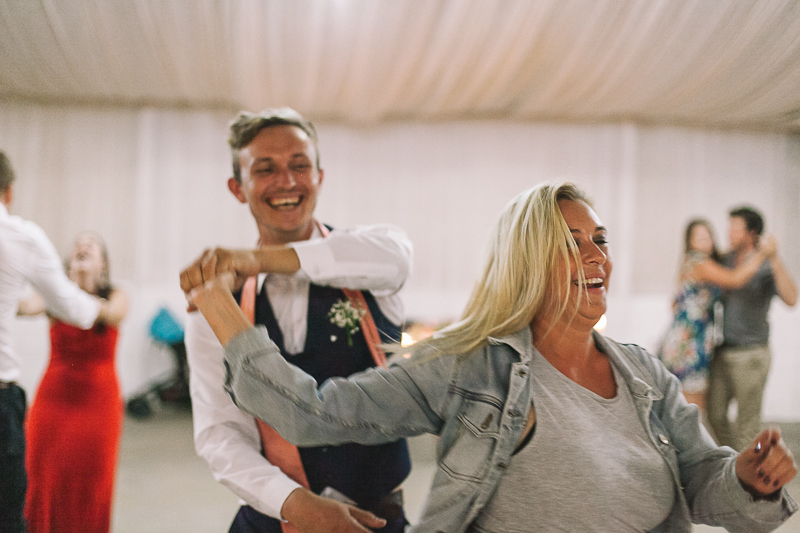 Some of our friends opened the dance floor instead, and it was so fun! 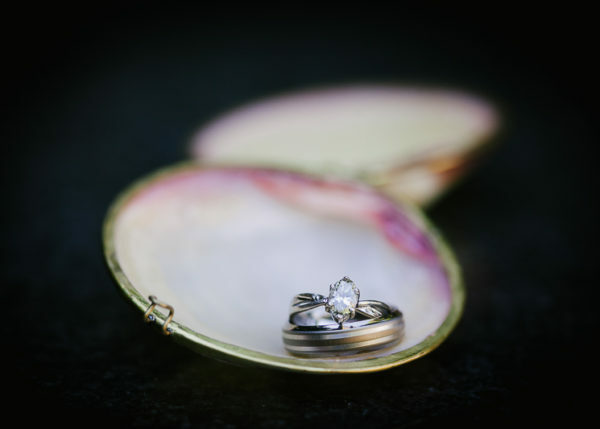 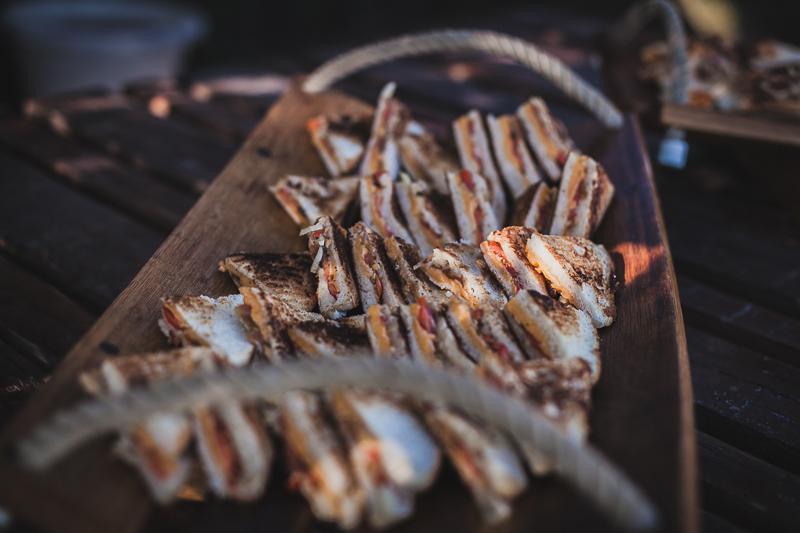 This entry was posted in Recent Work on May 16, 2018 by admin.